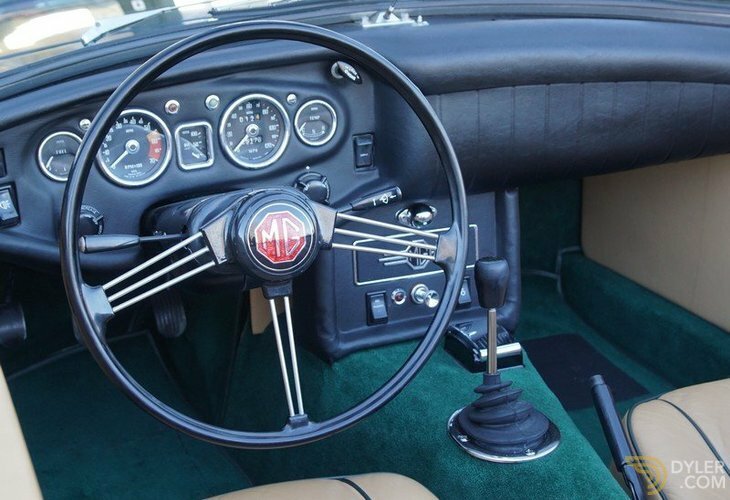 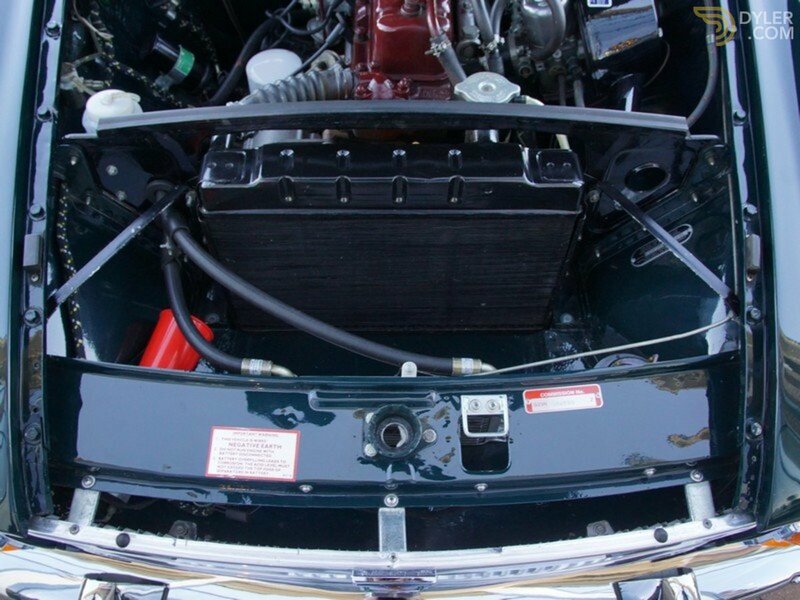 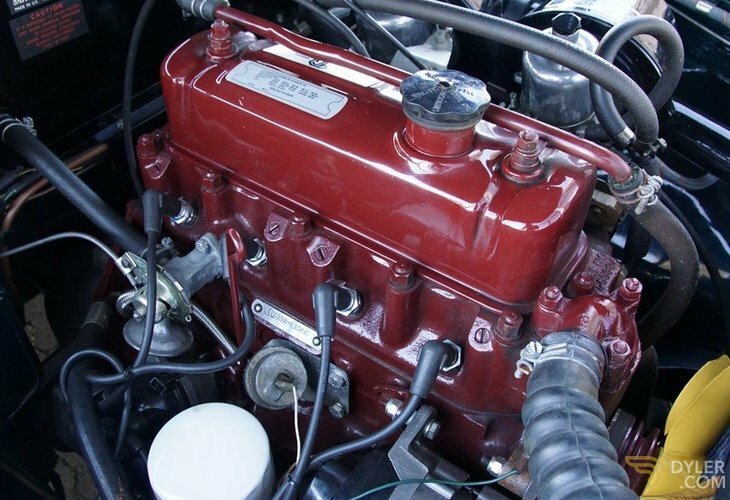 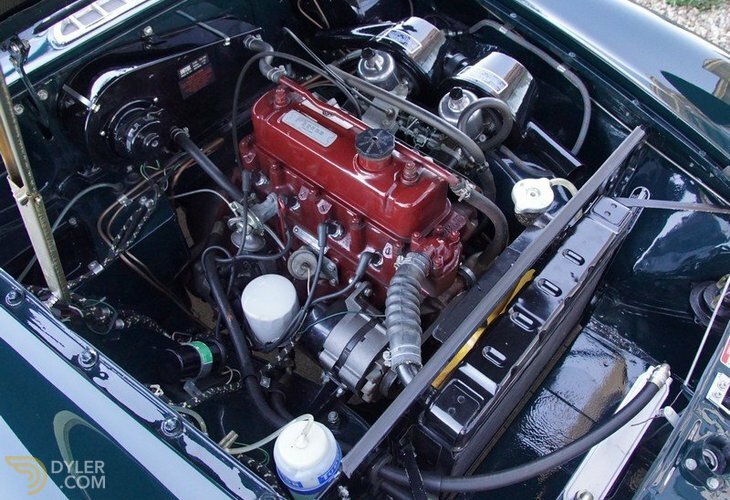 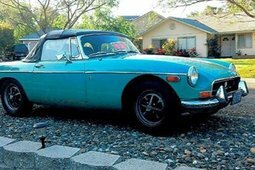 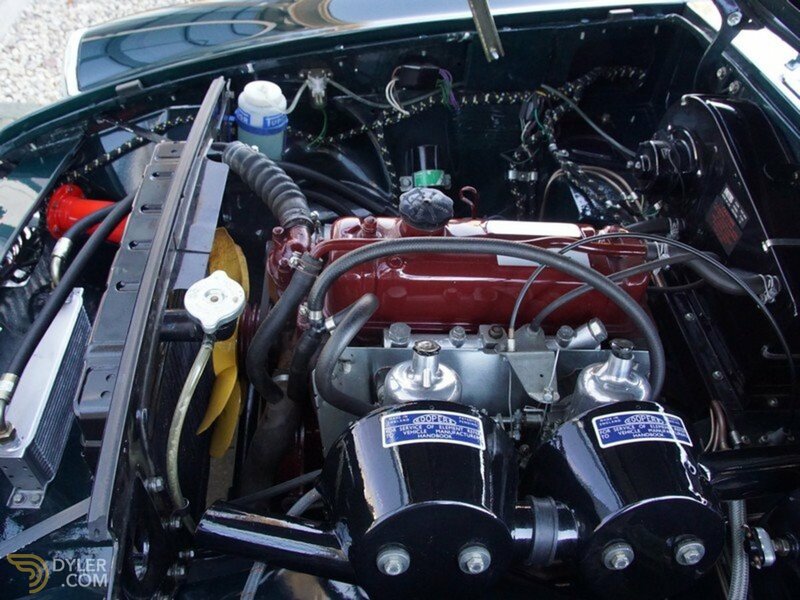 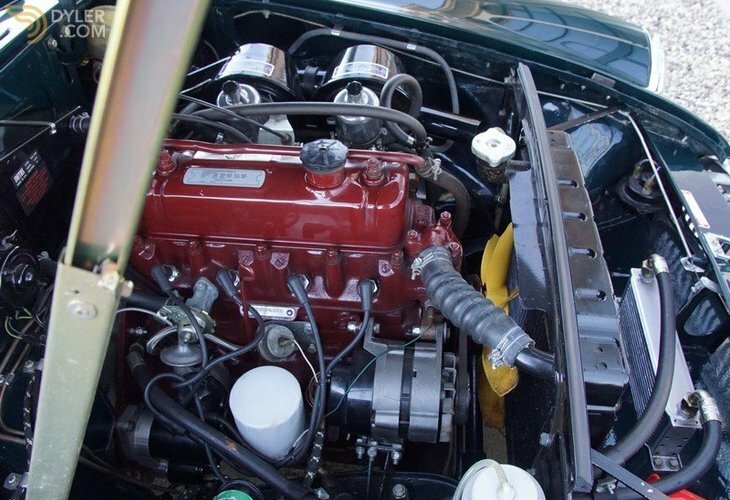 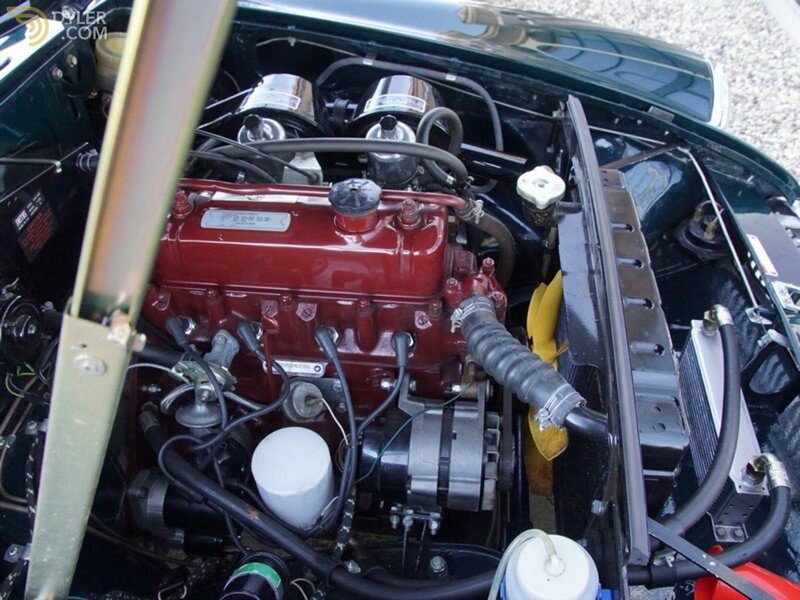 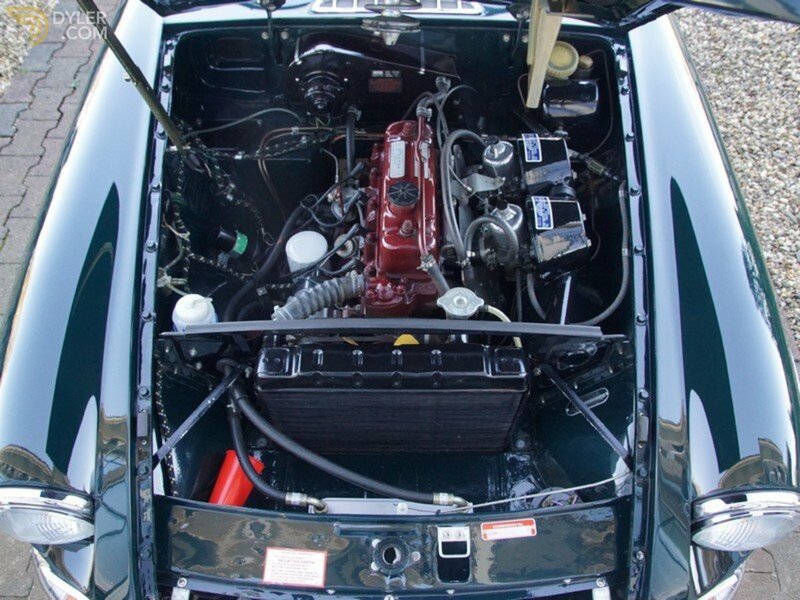 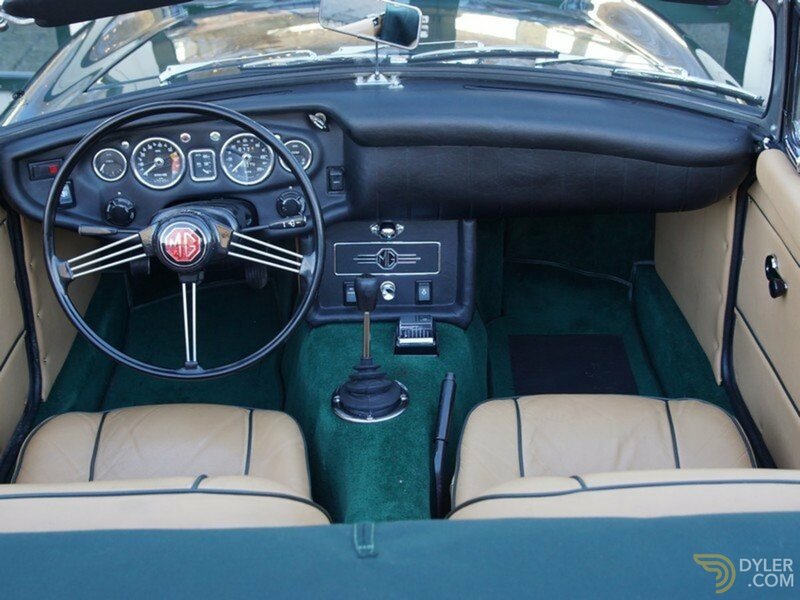 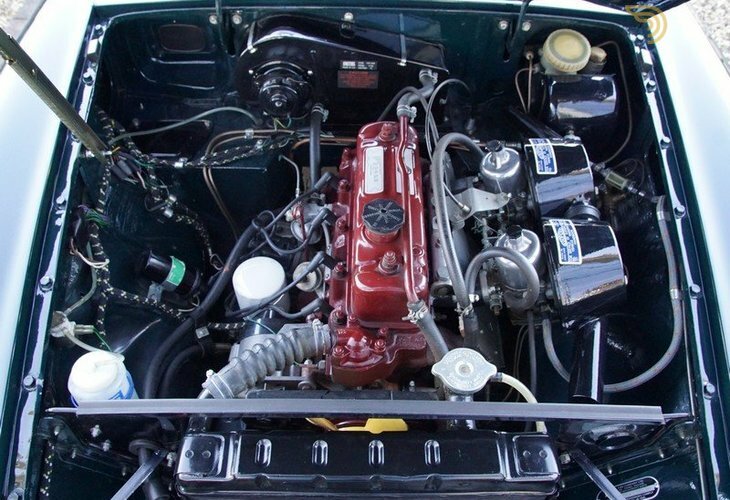 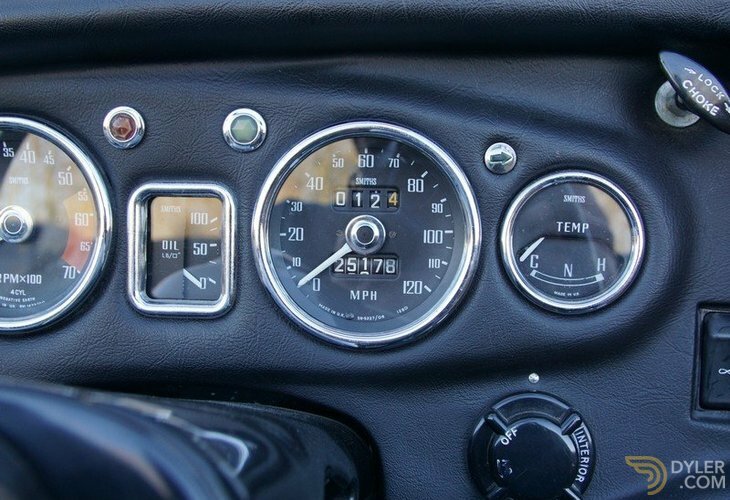 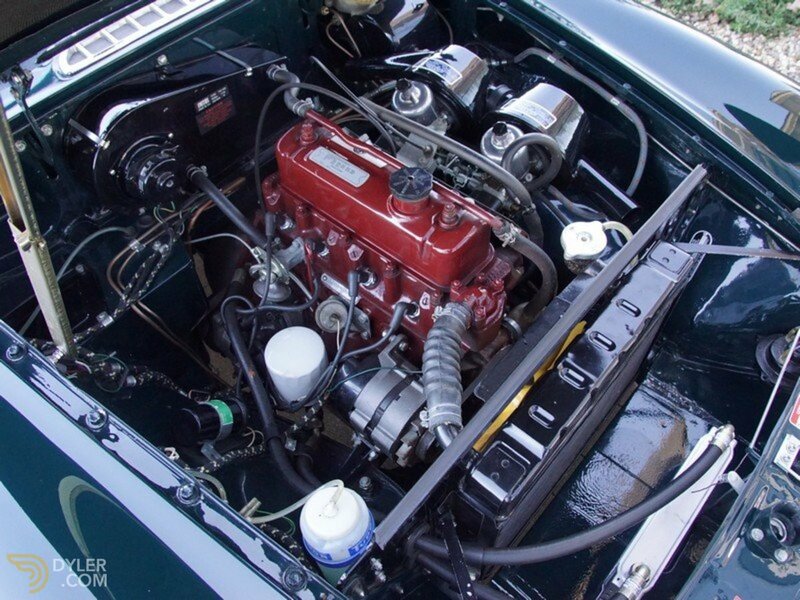 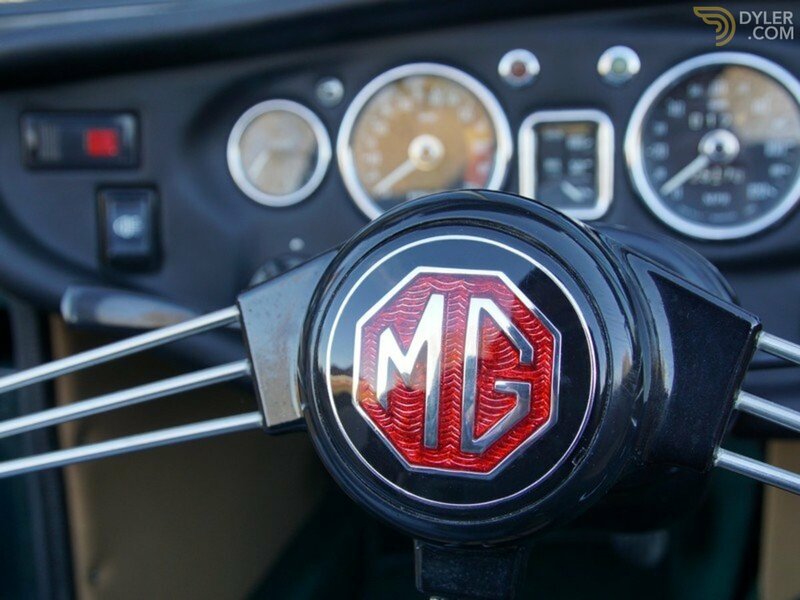 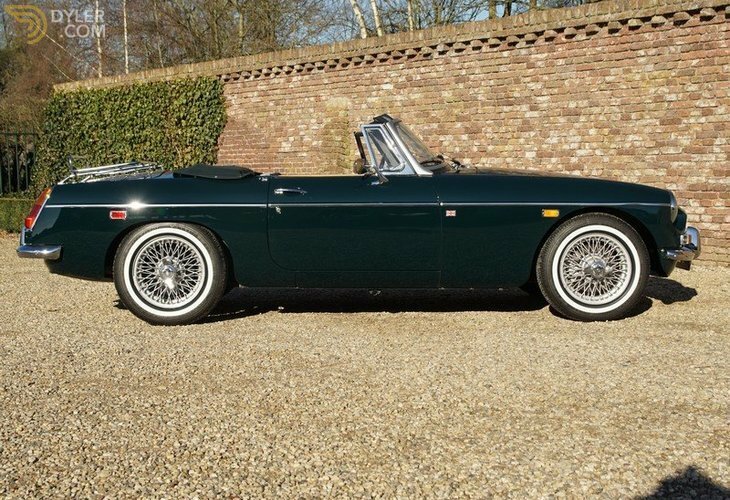 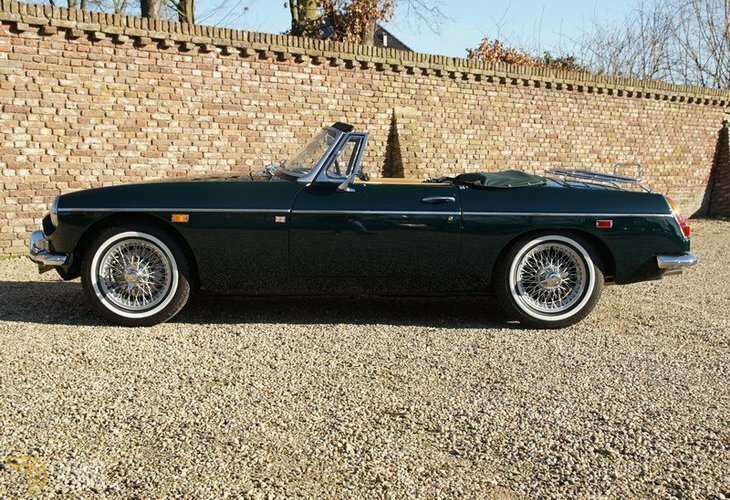 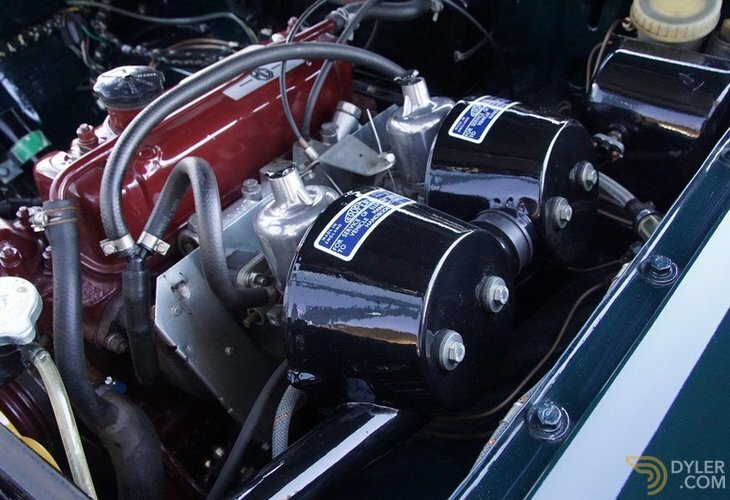 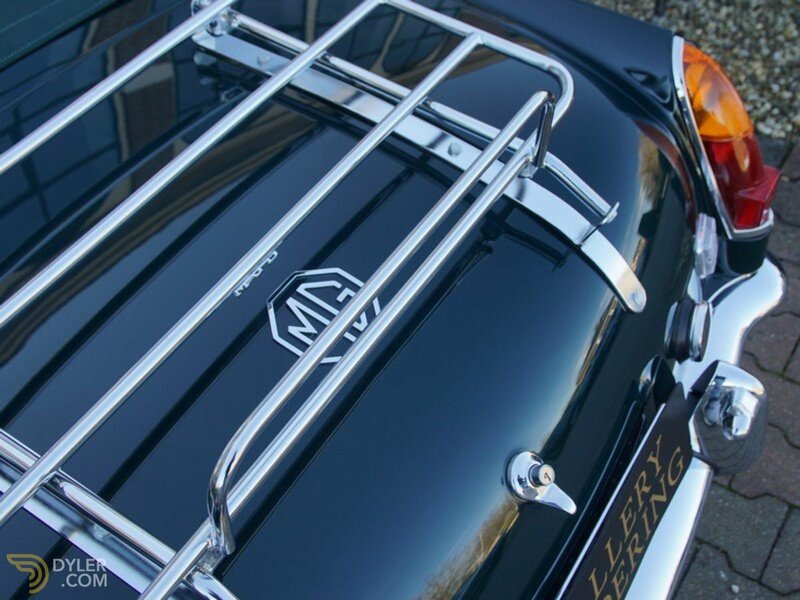 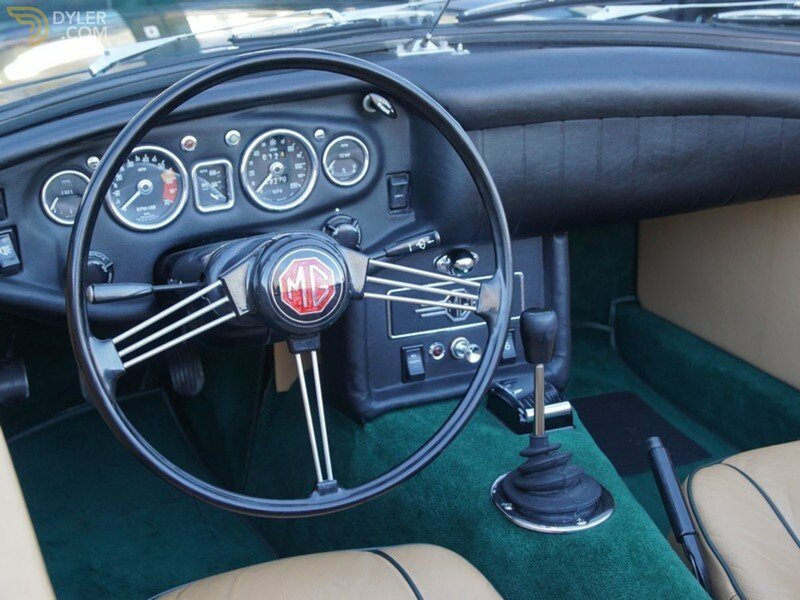 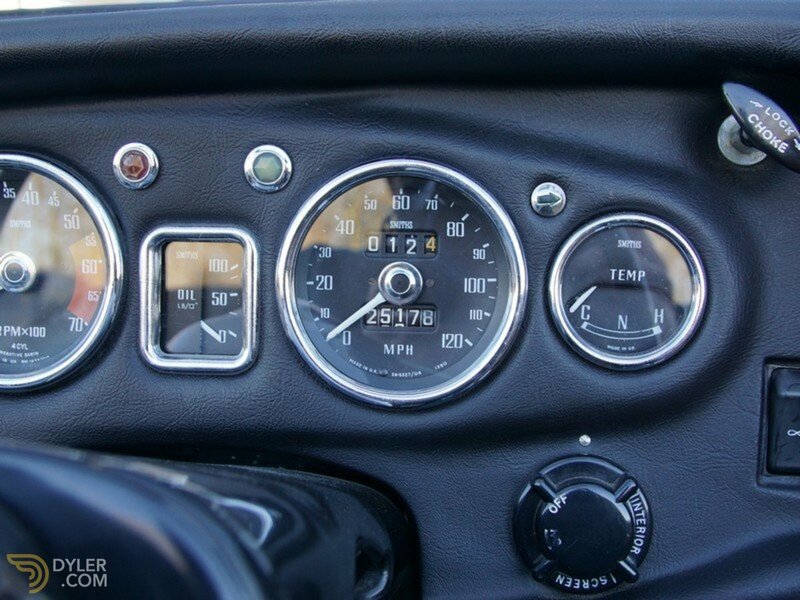 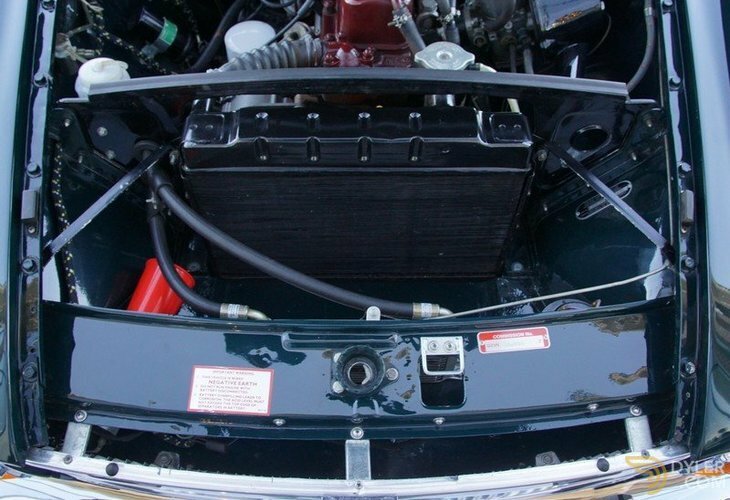 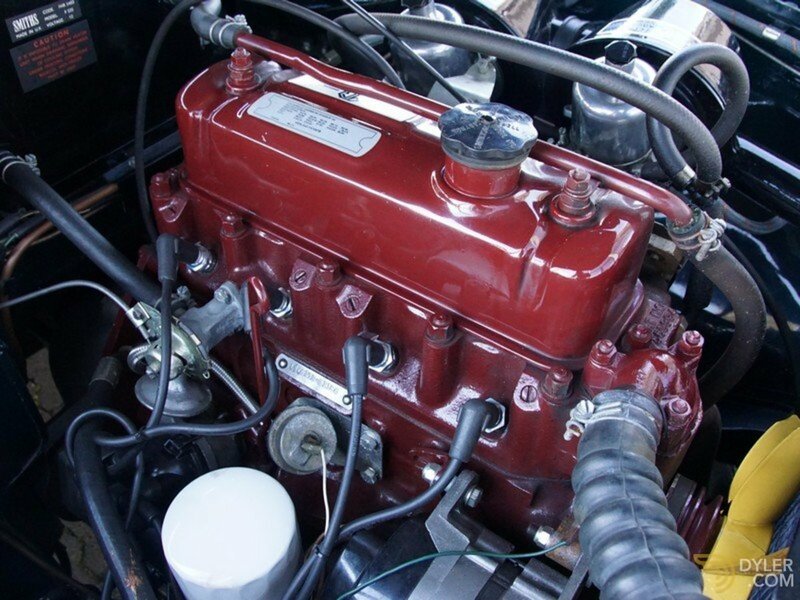 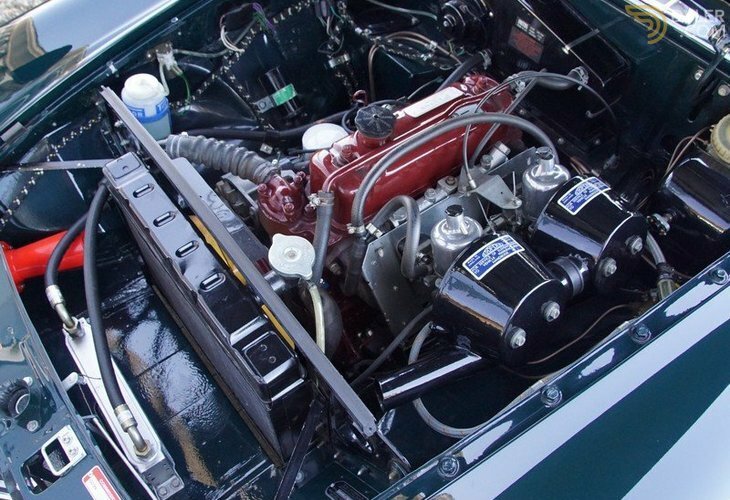 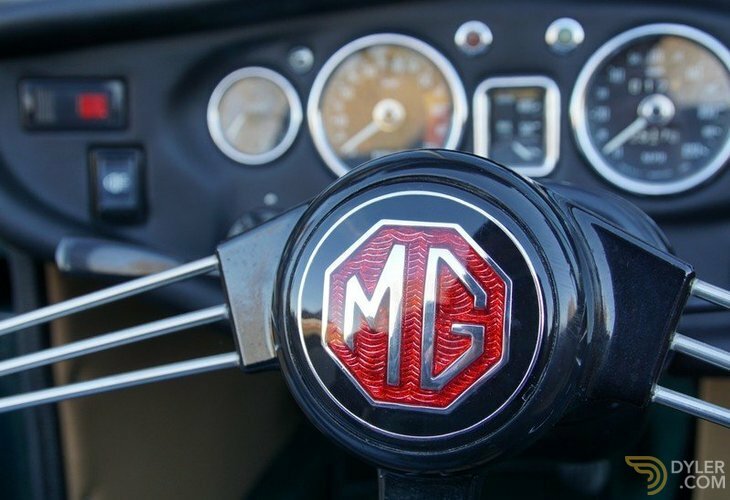 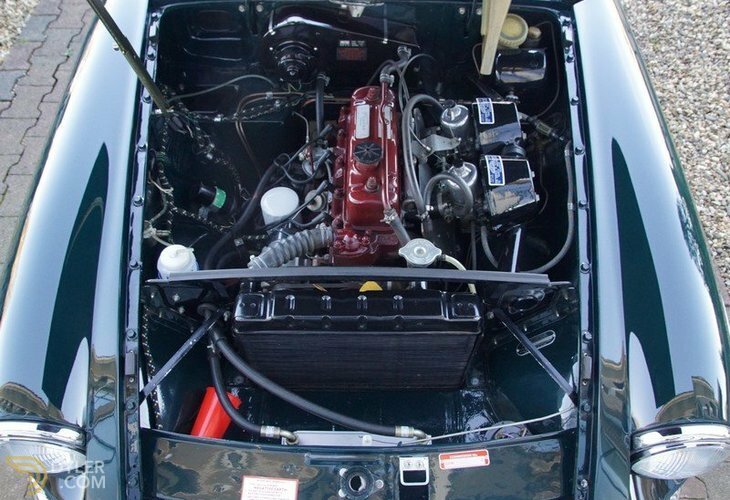 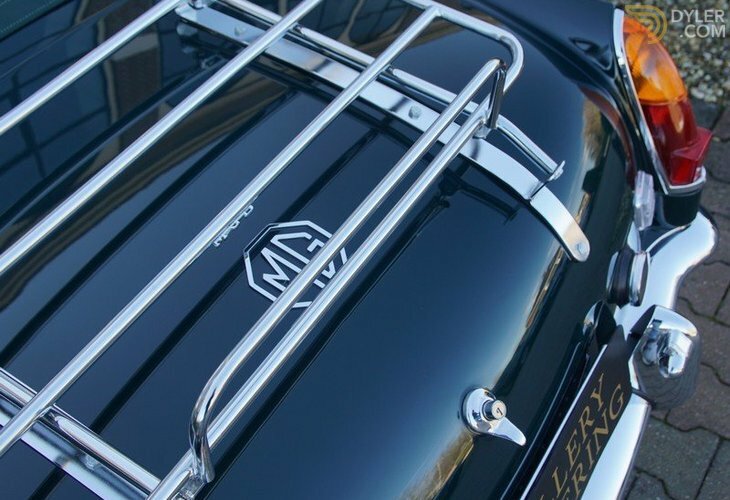 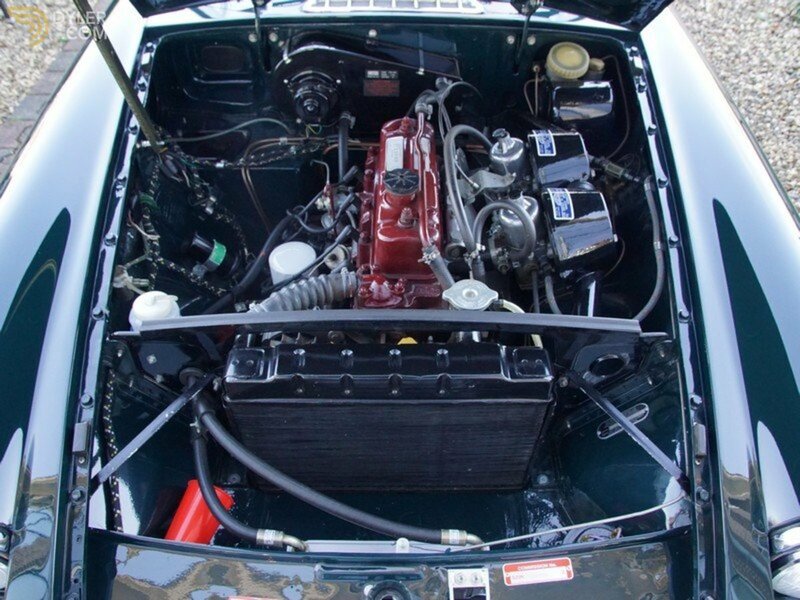 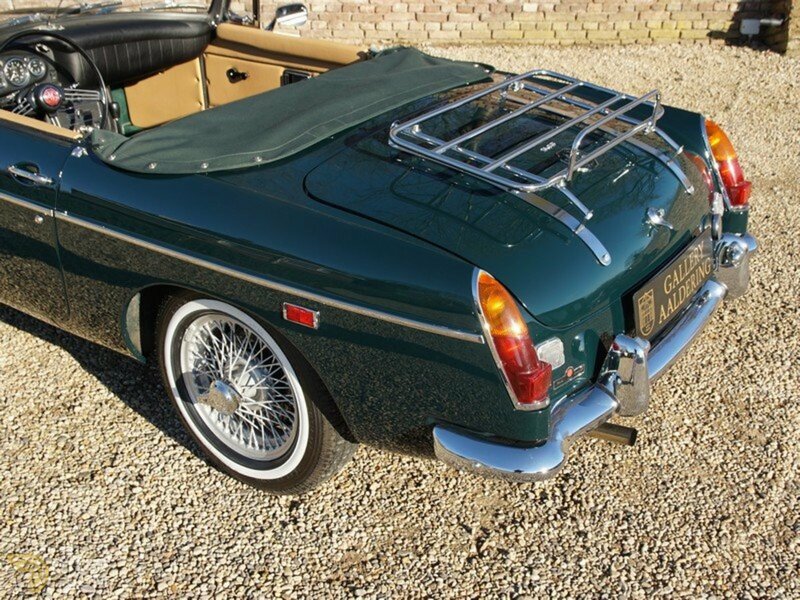 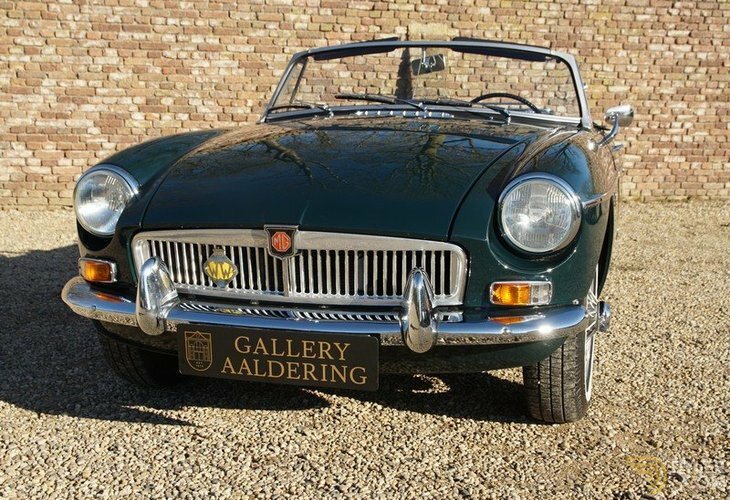 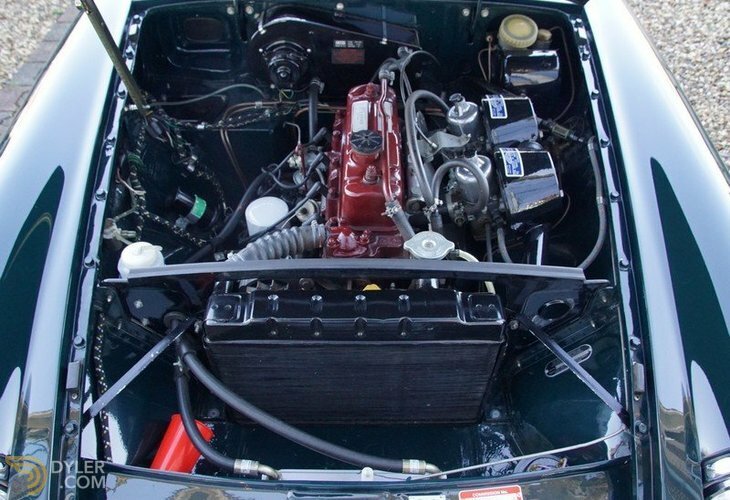 This is a particularly well-maintained and attractive 1969 MGB Roadster. 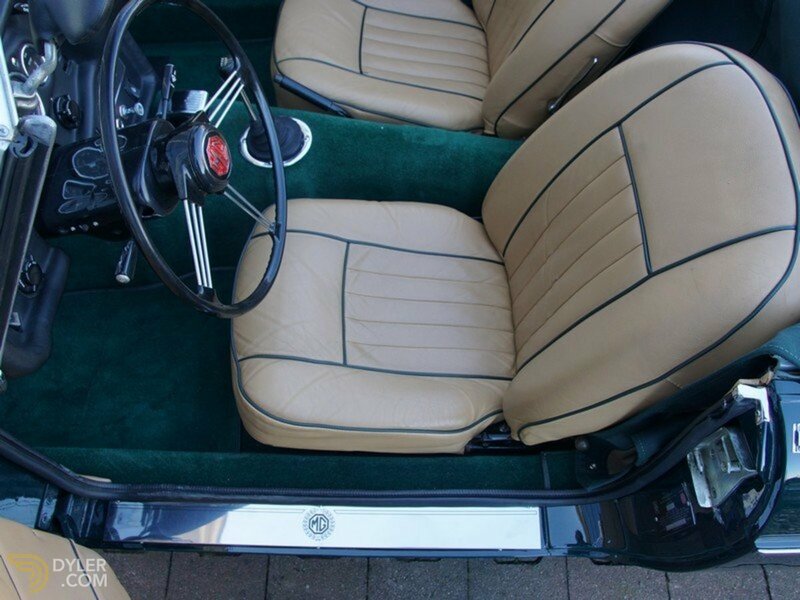 It has recently been expertly restored in every aspect. 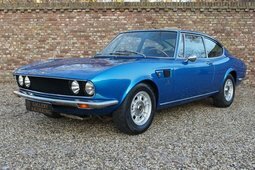 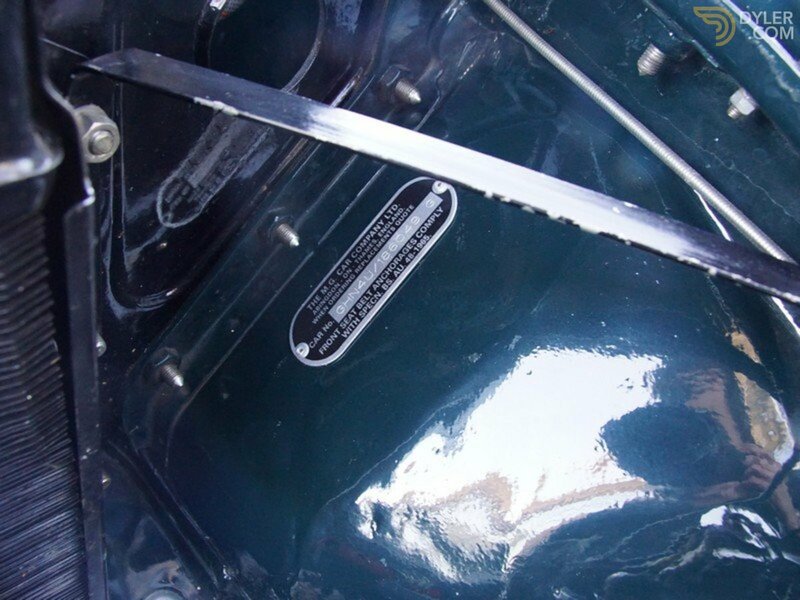 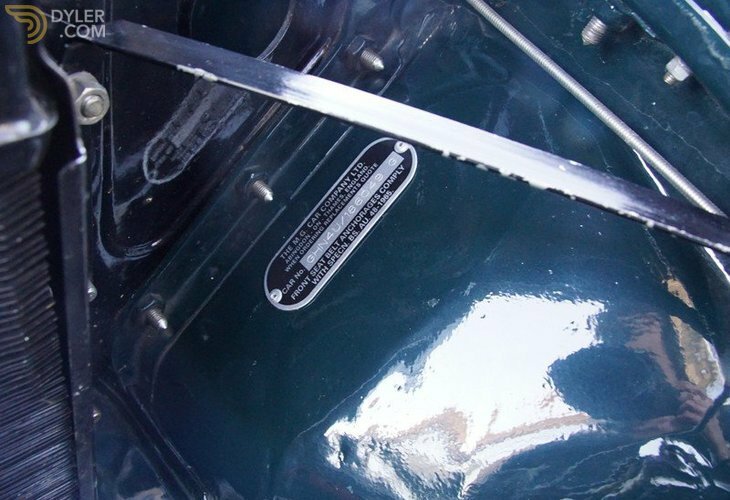 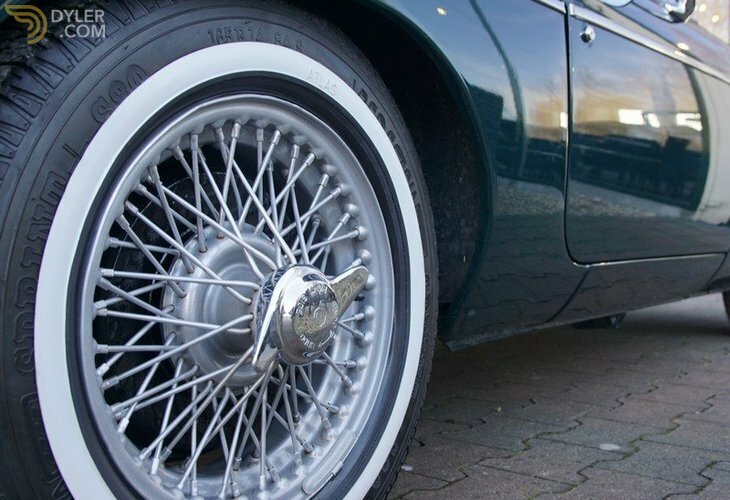 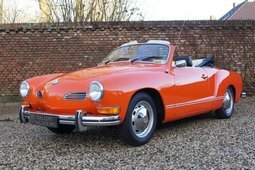 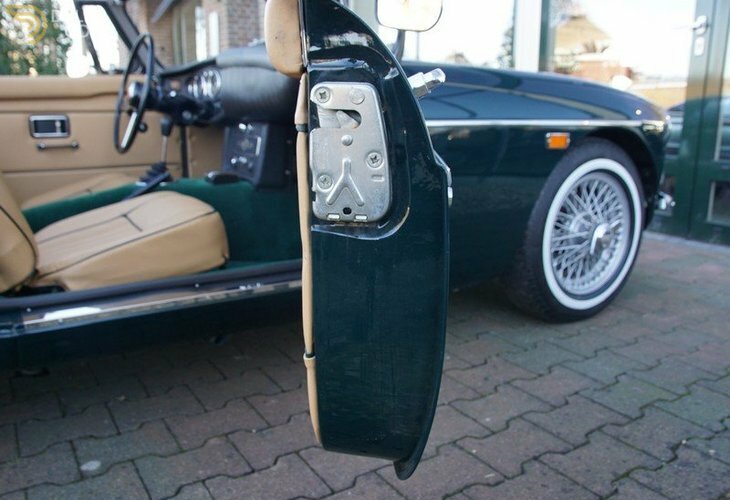 The rust-free bodywork has a good coat of lacquer and correctly fitted body panels. 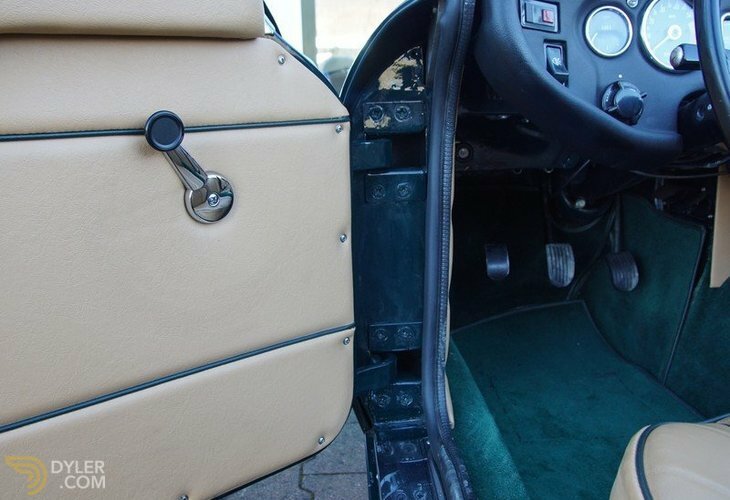 Mechanically it is in 100% working order, providing a perfect driving experience with the 5th gear enhancing this experience even further! 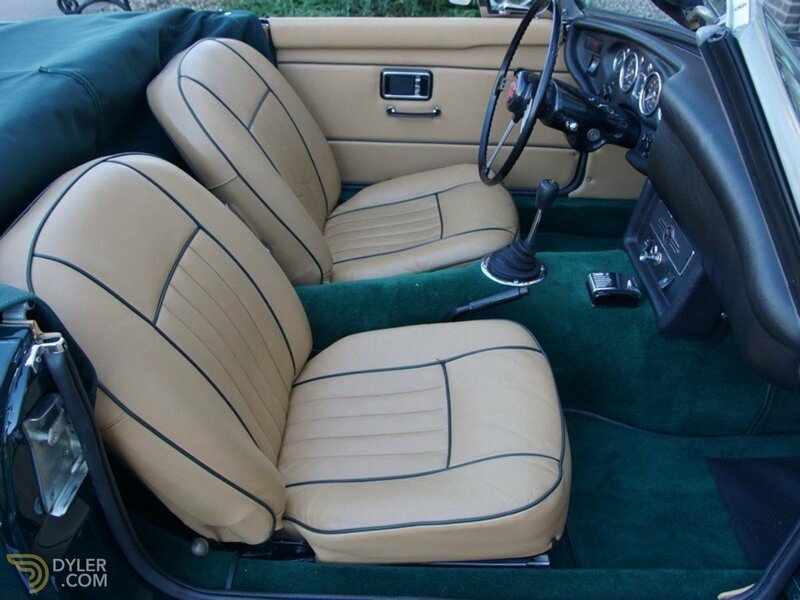 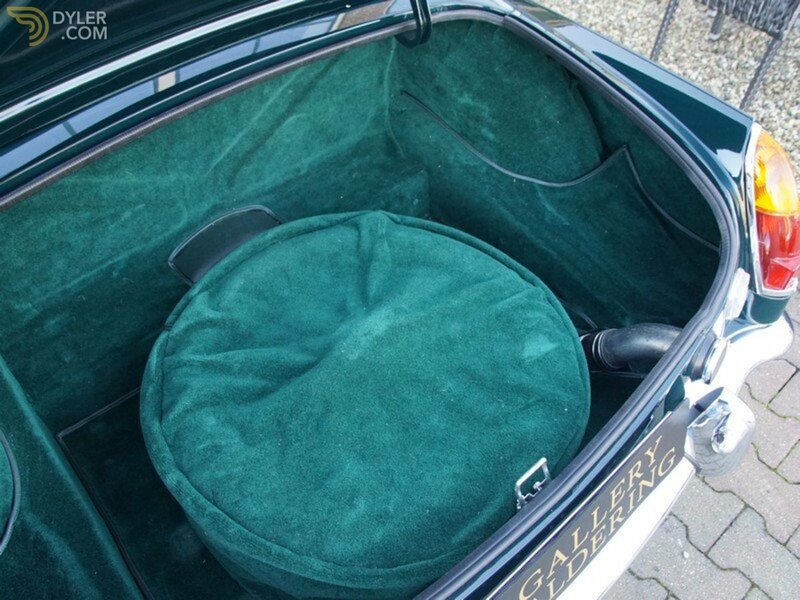 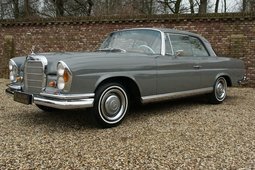 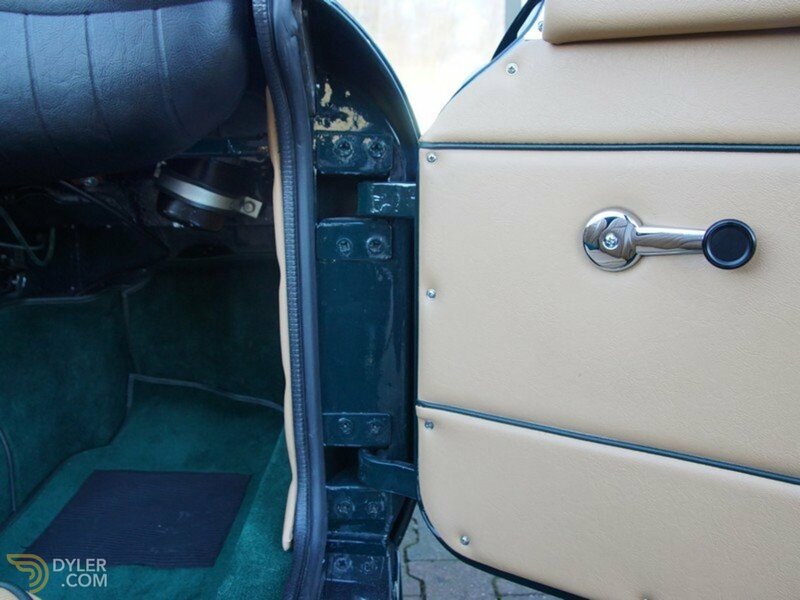 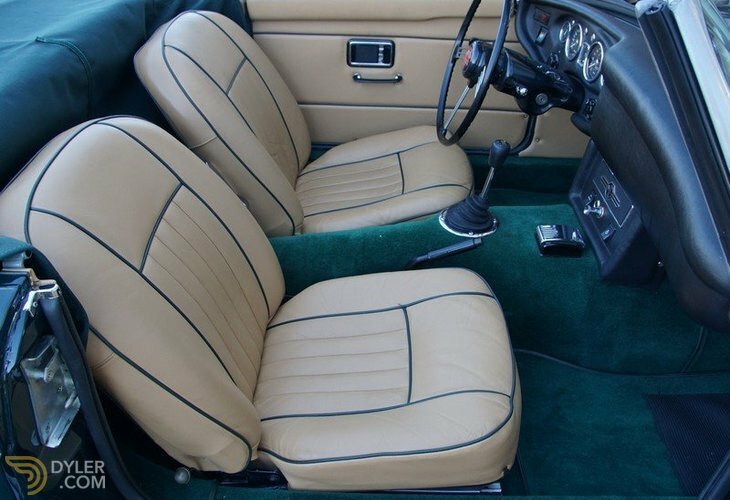 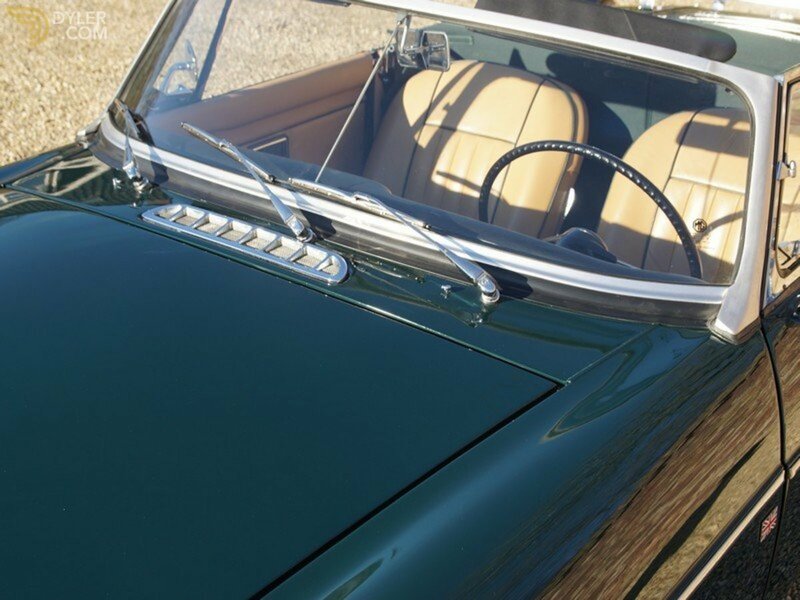 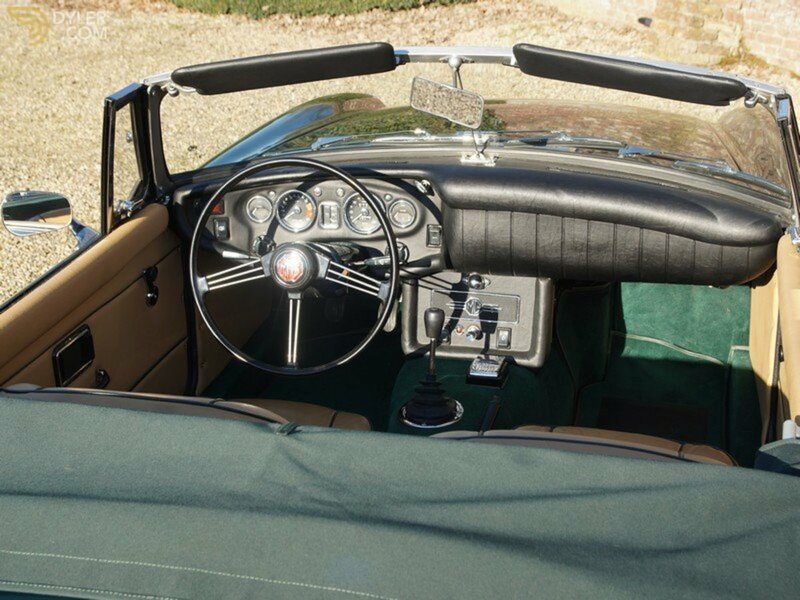 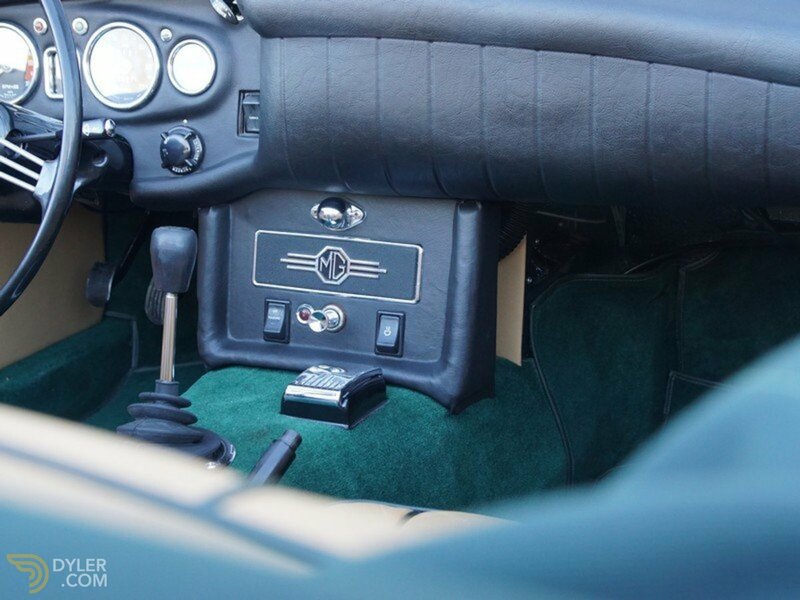 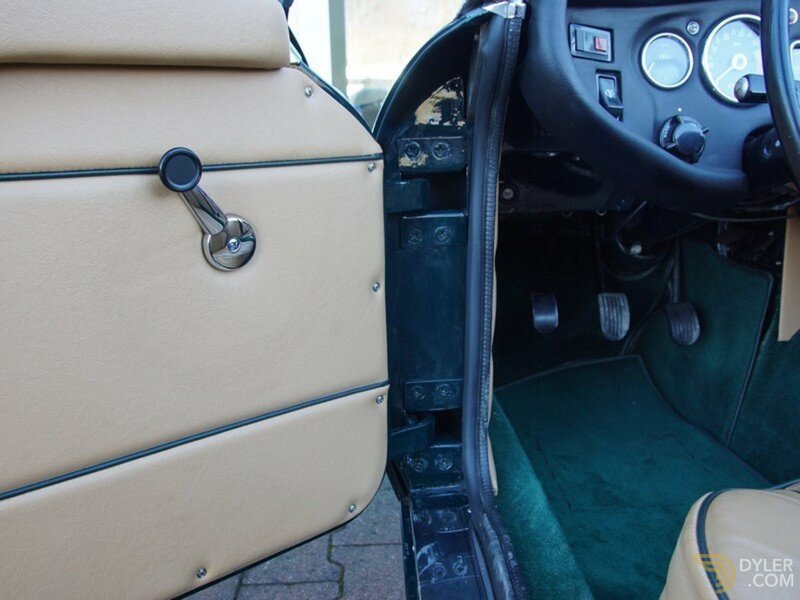 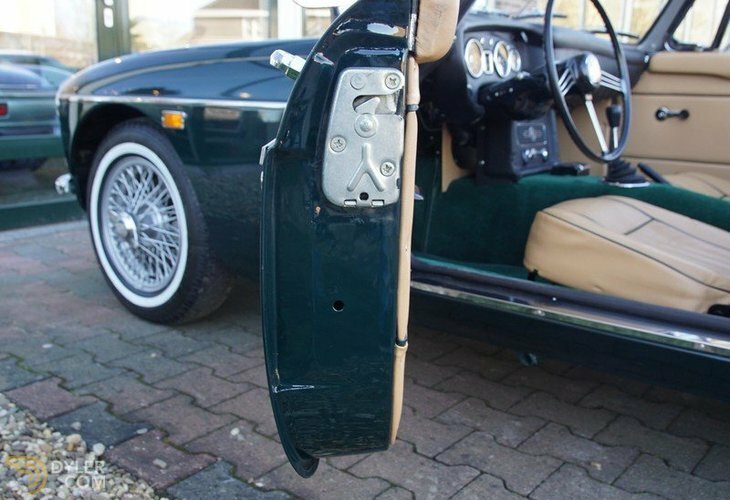 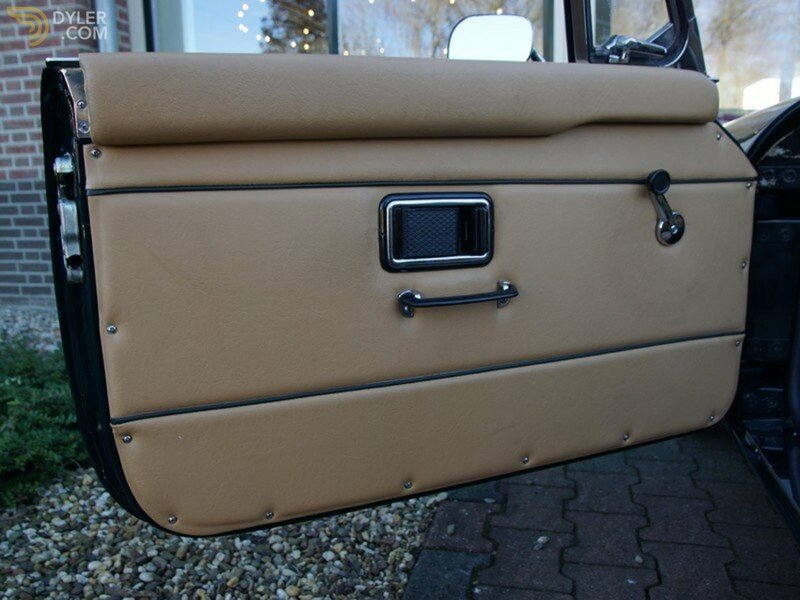 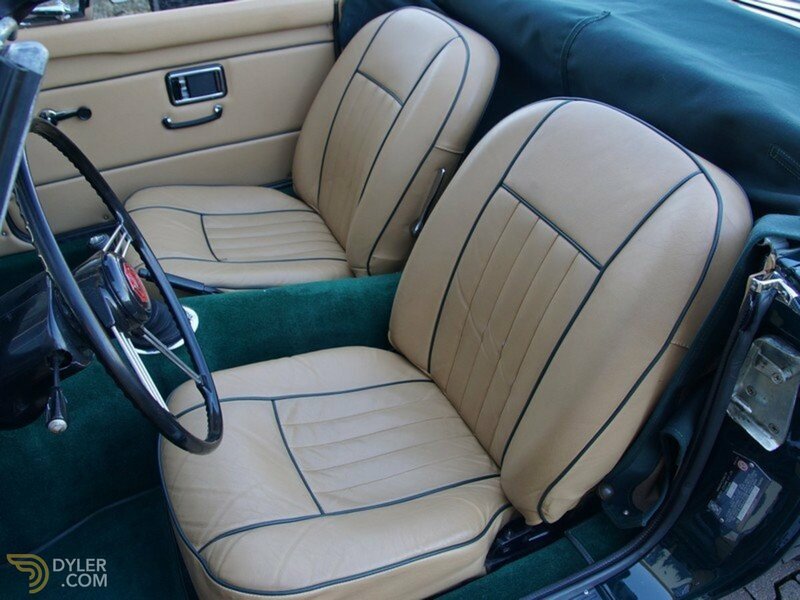 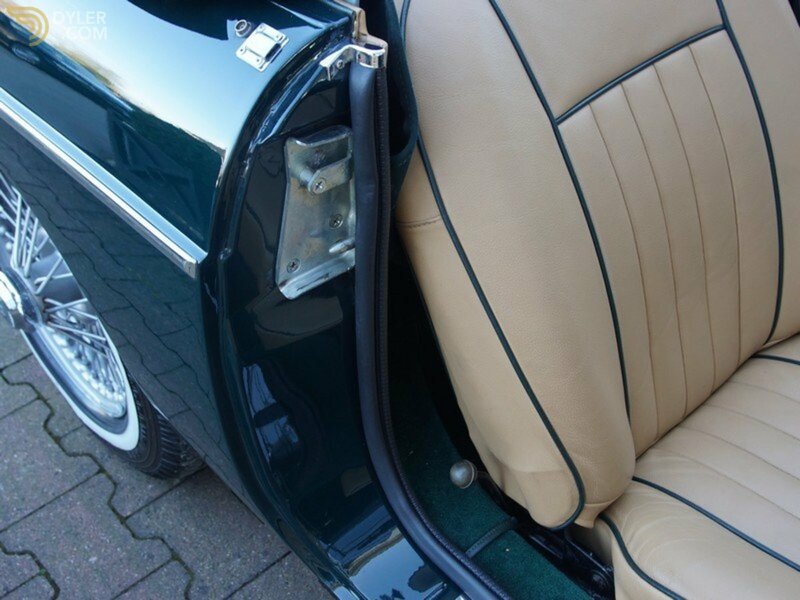 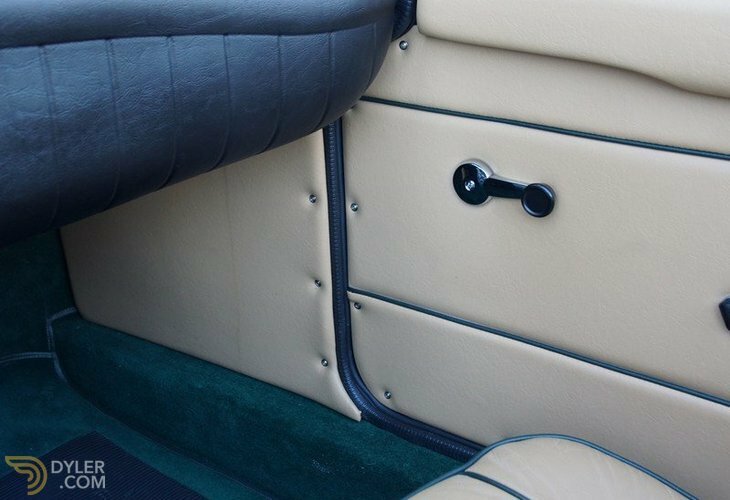 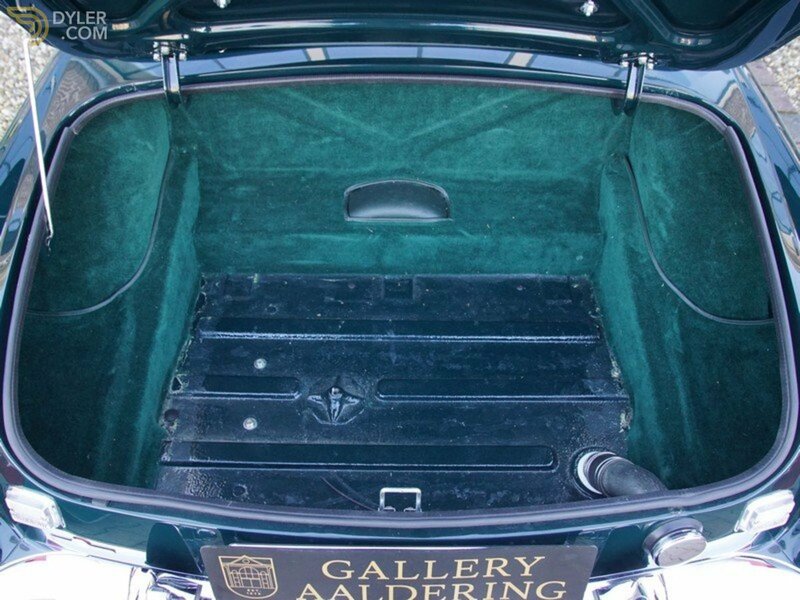 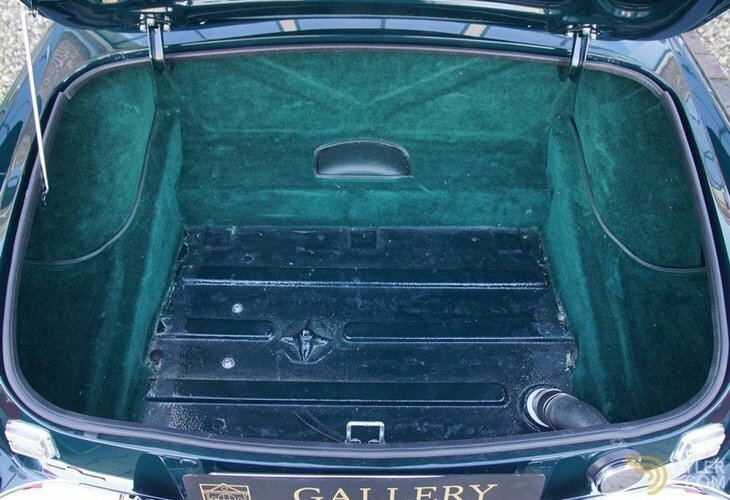 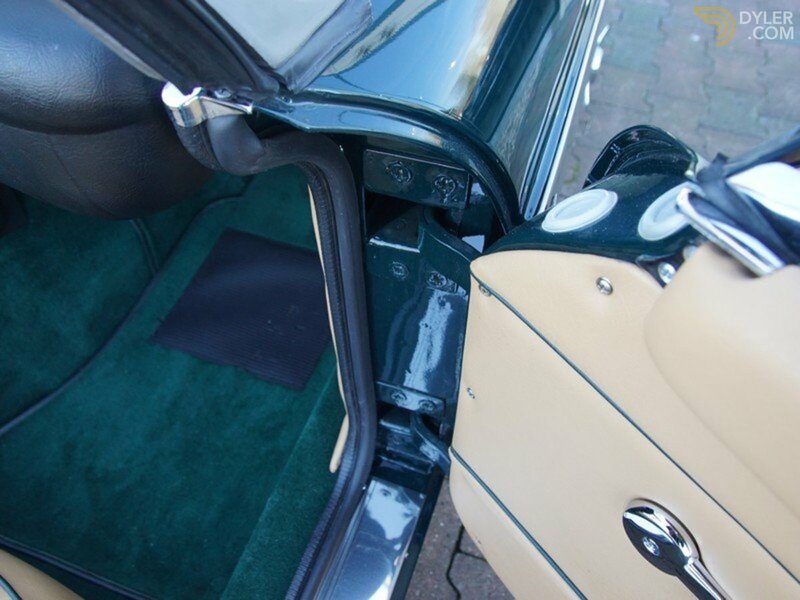 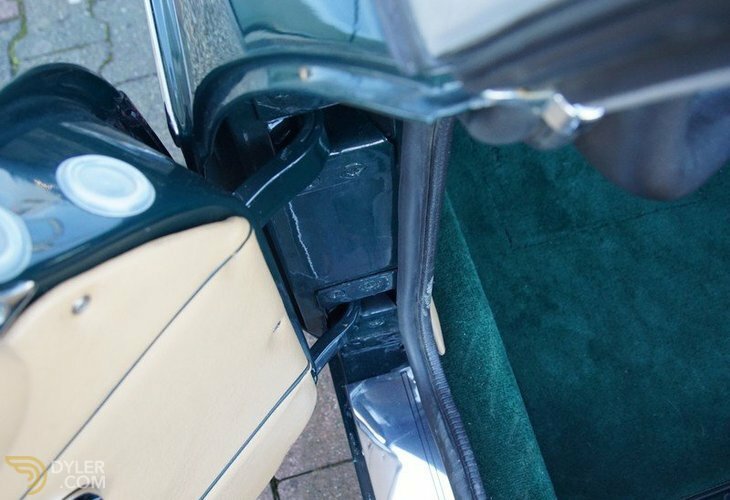 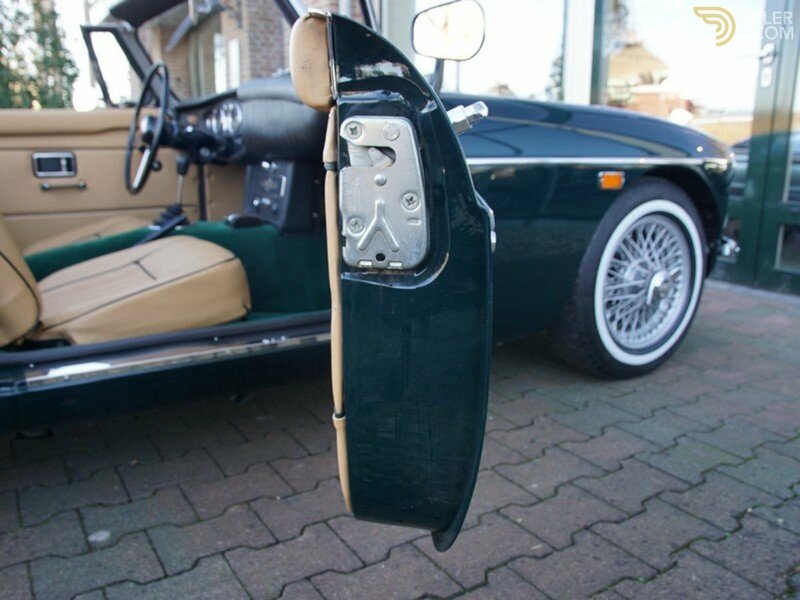 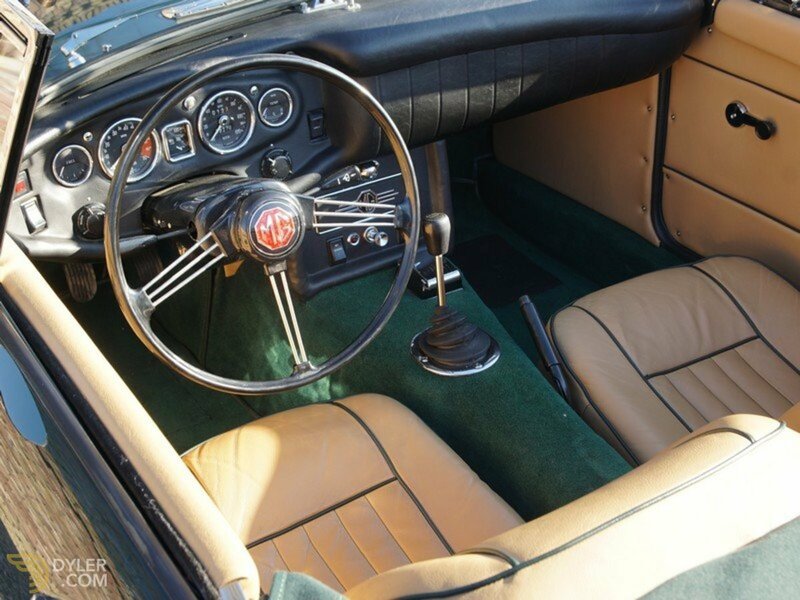 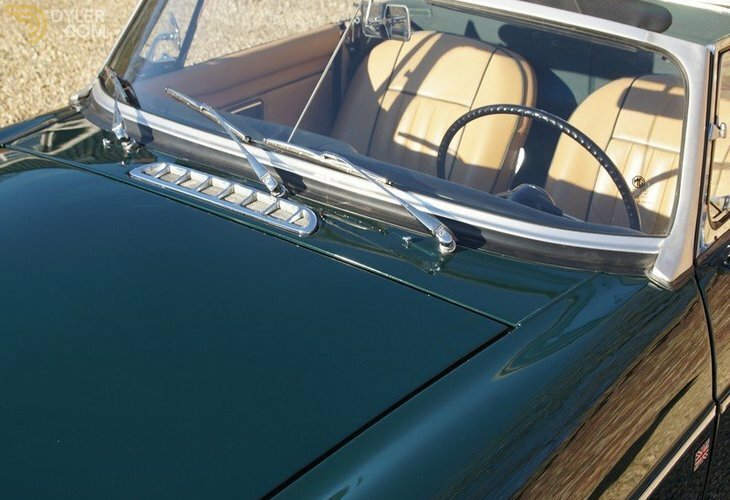 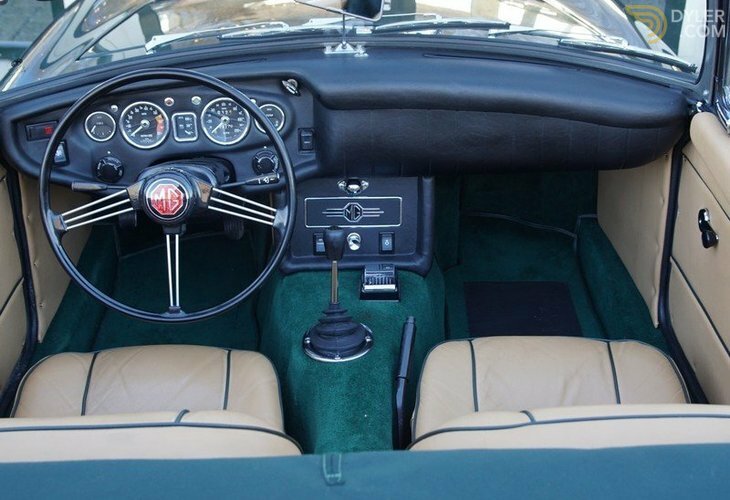 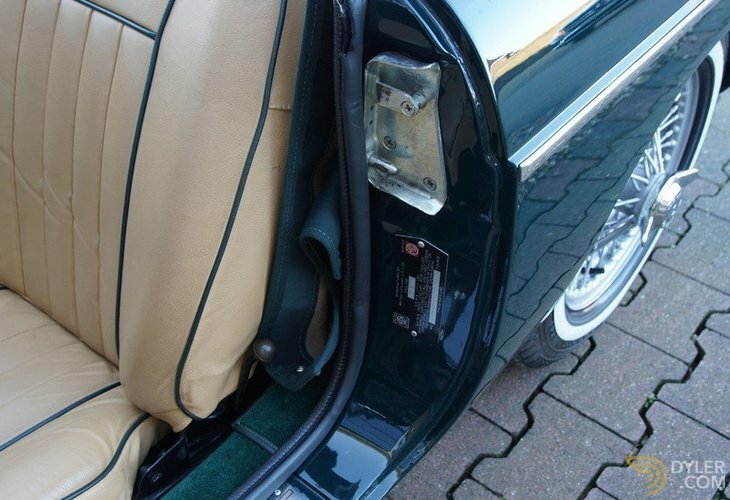 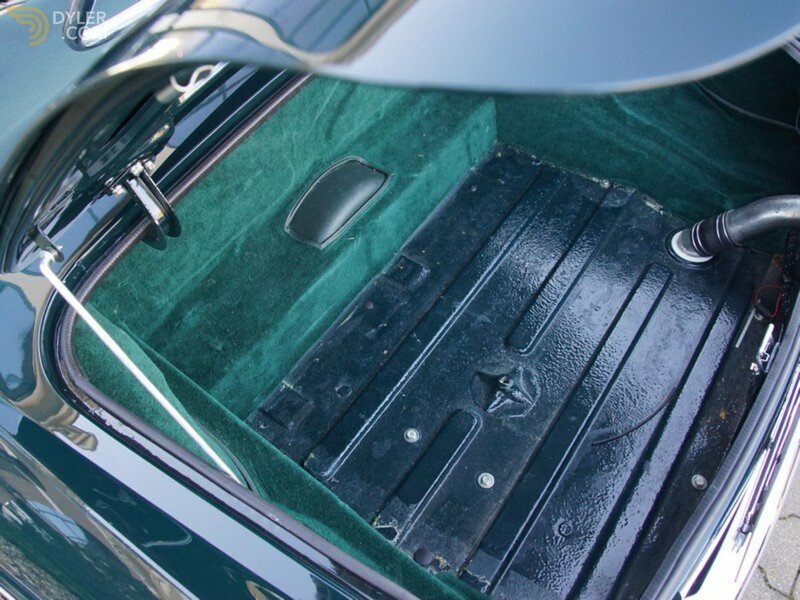 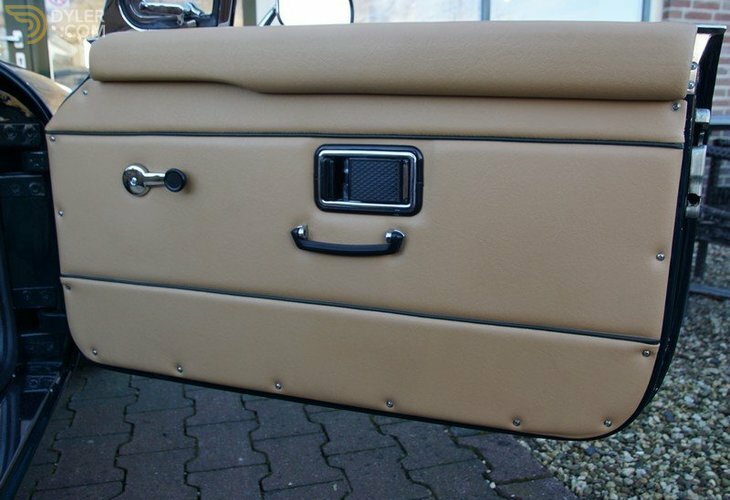 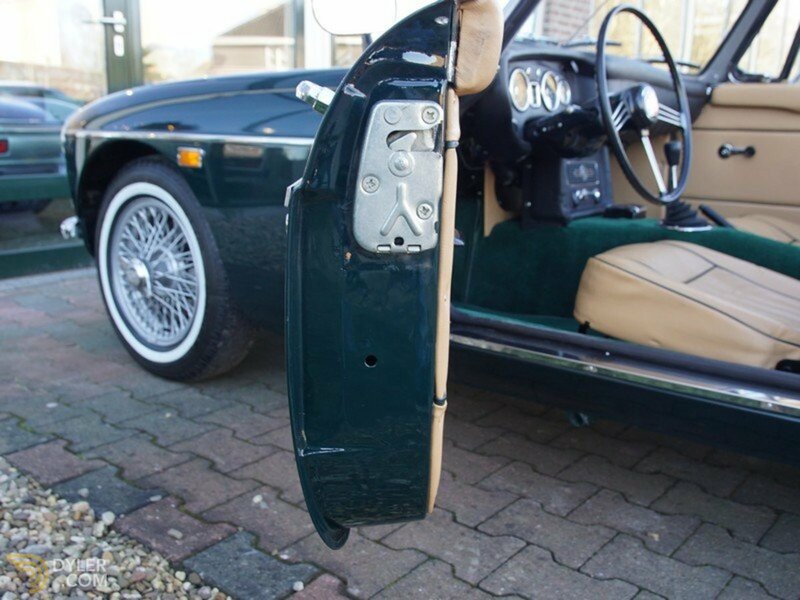 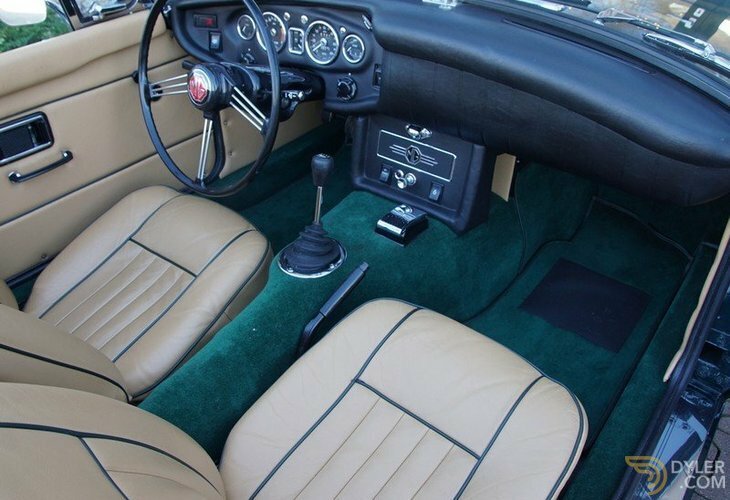 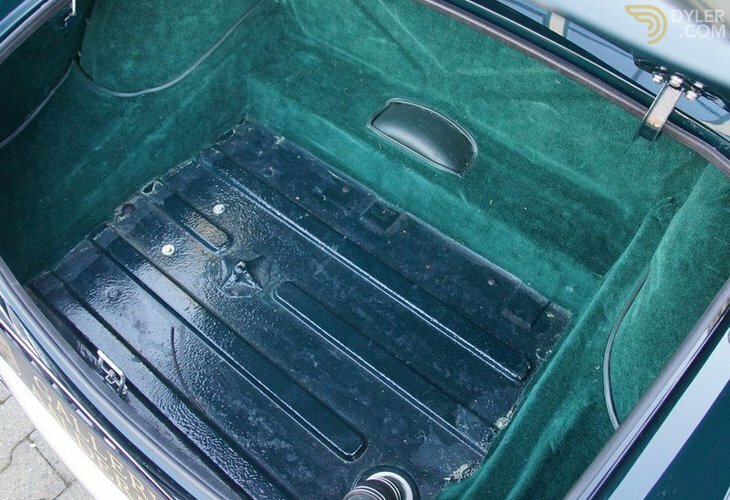 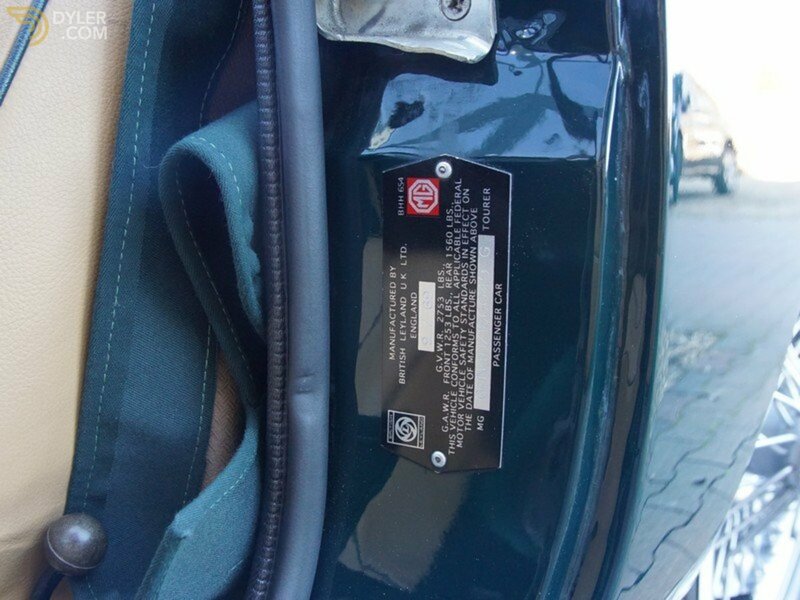 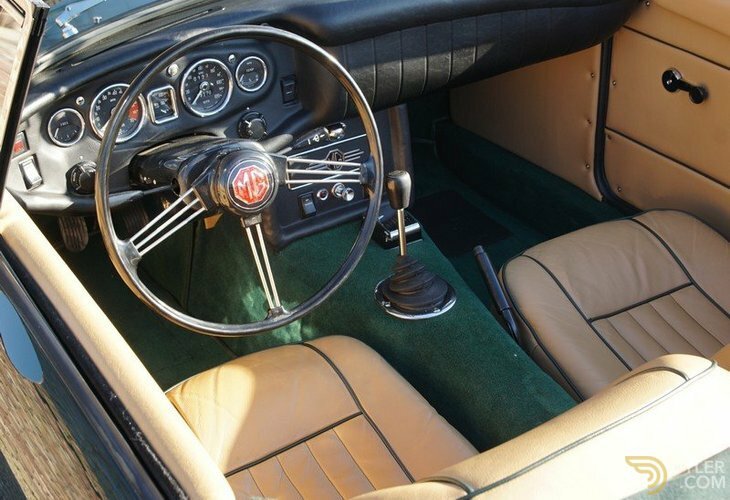 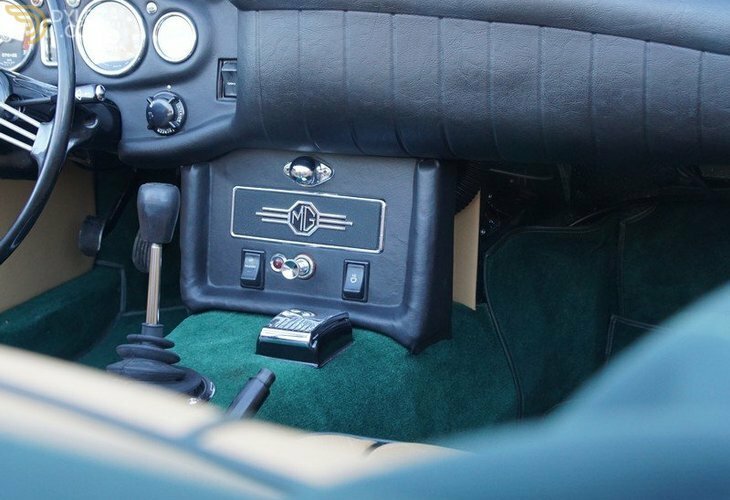 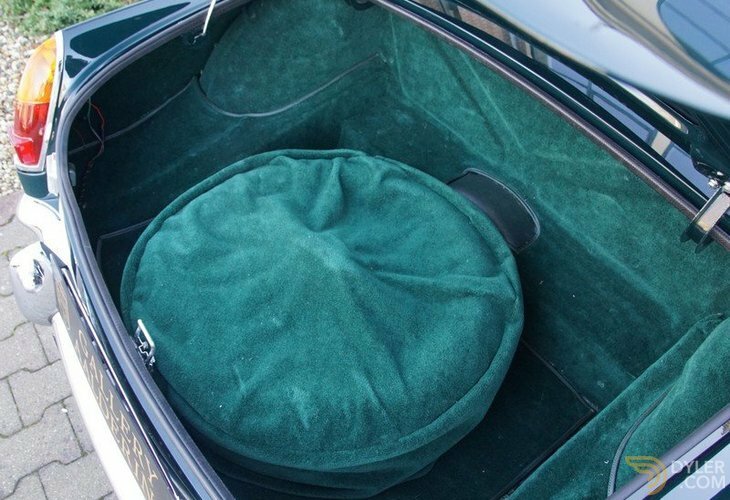 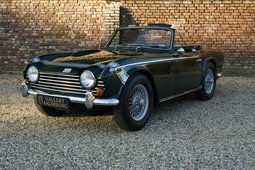 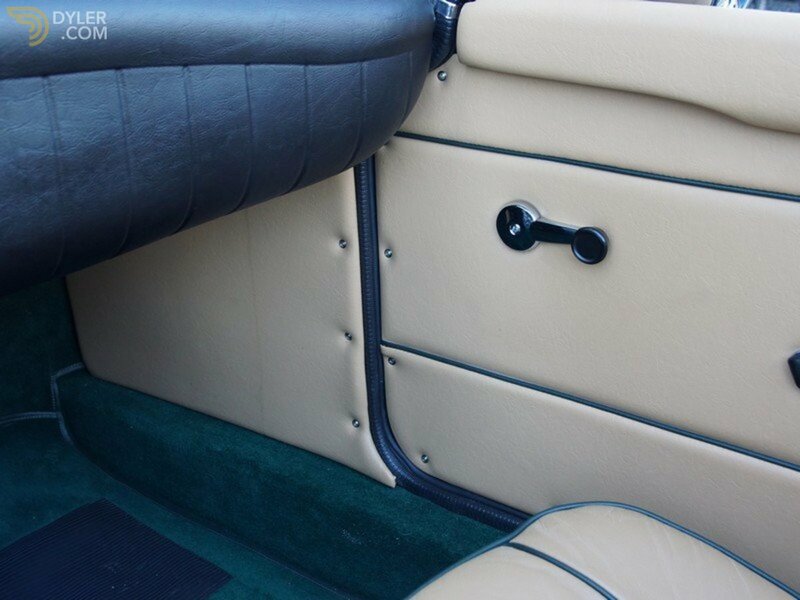 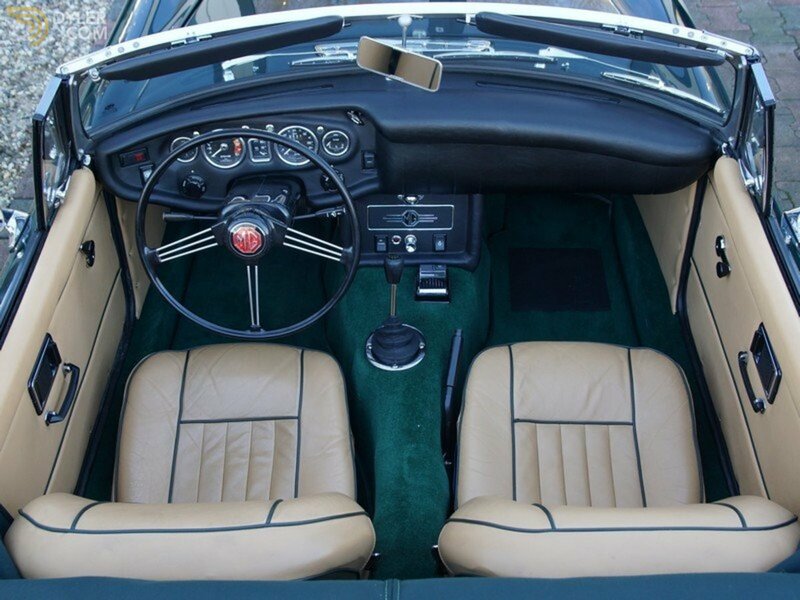 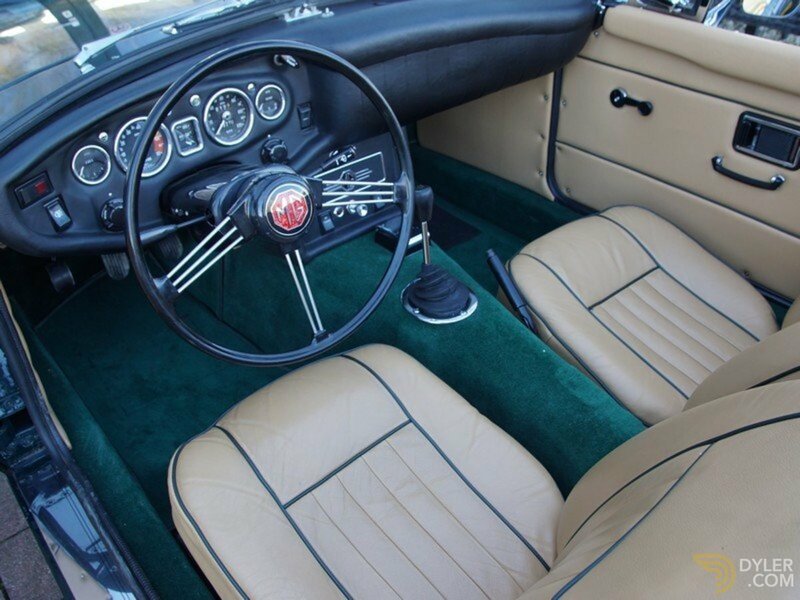 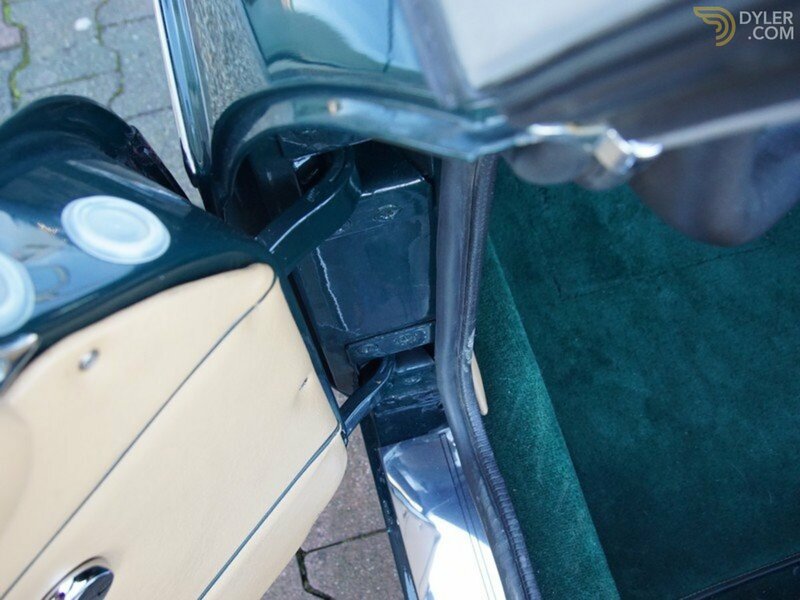 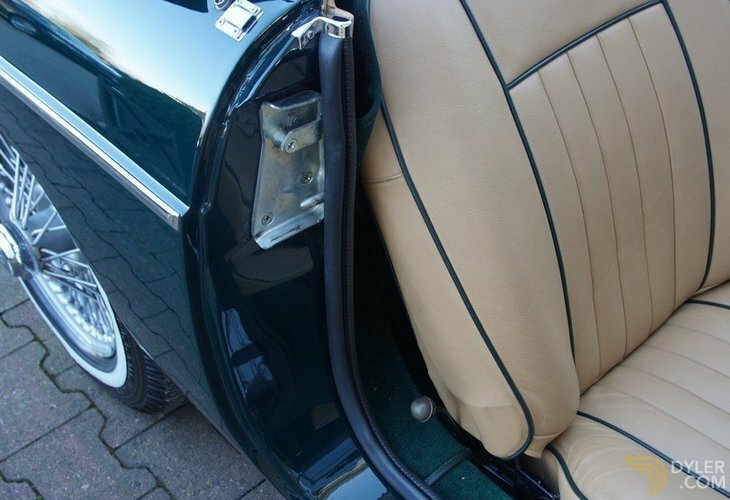 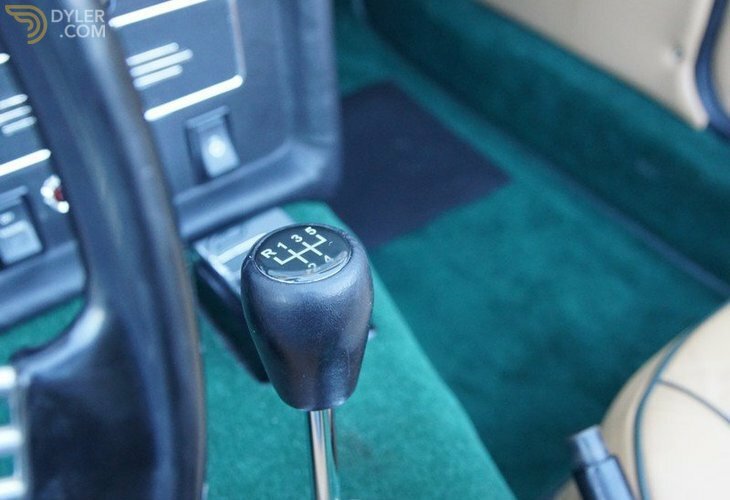 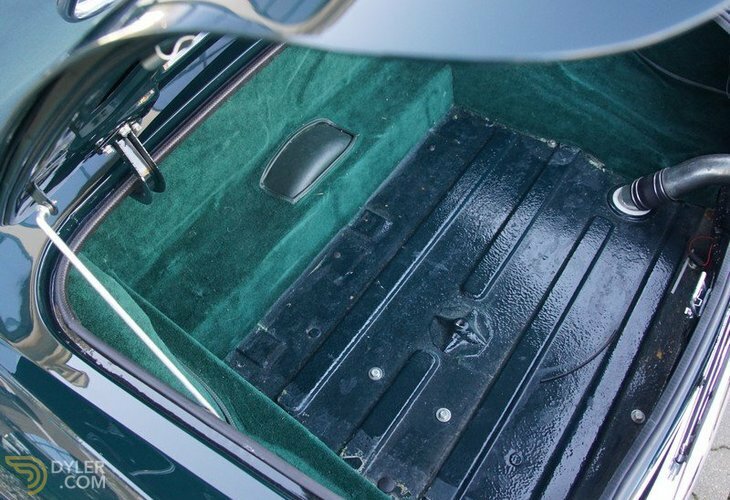 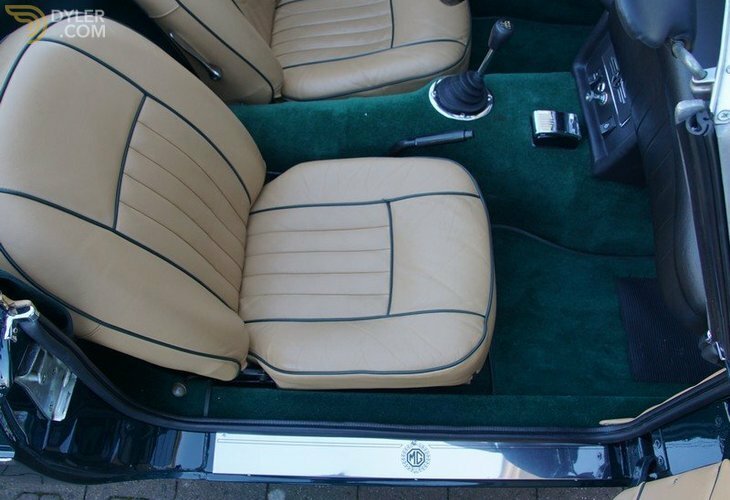 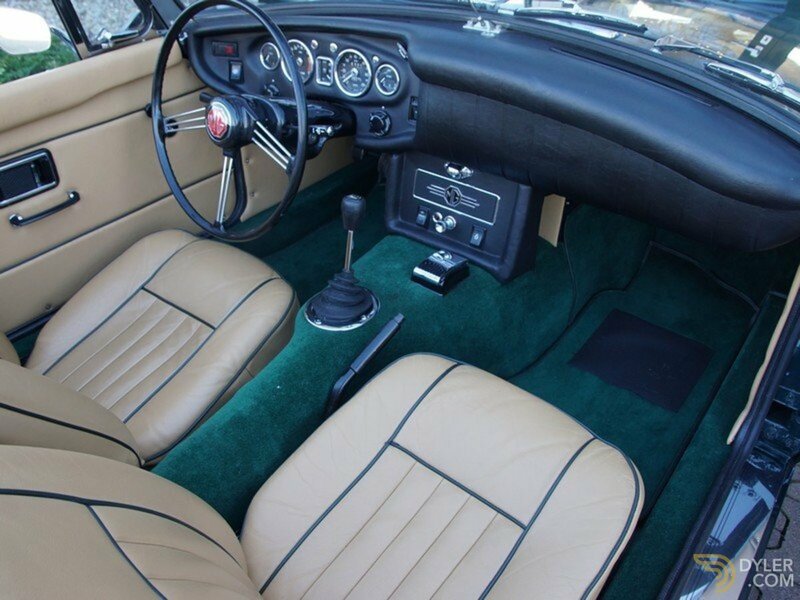 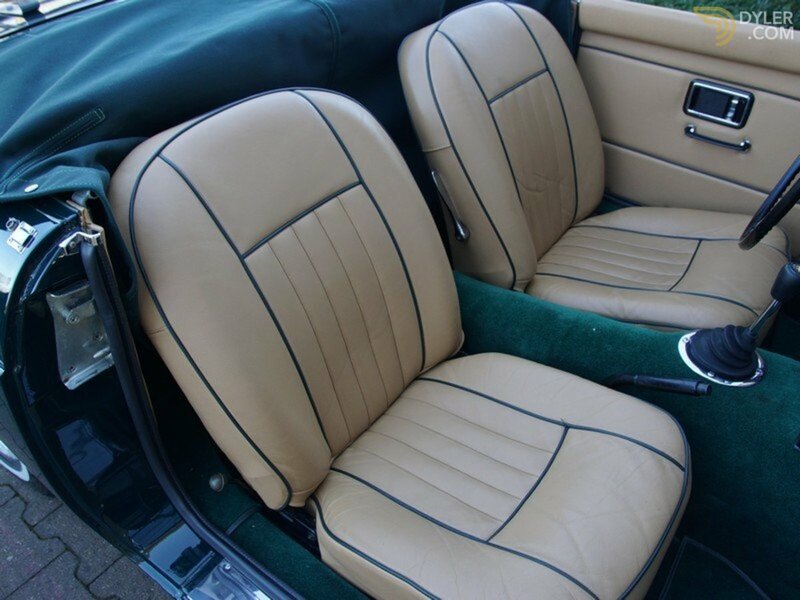 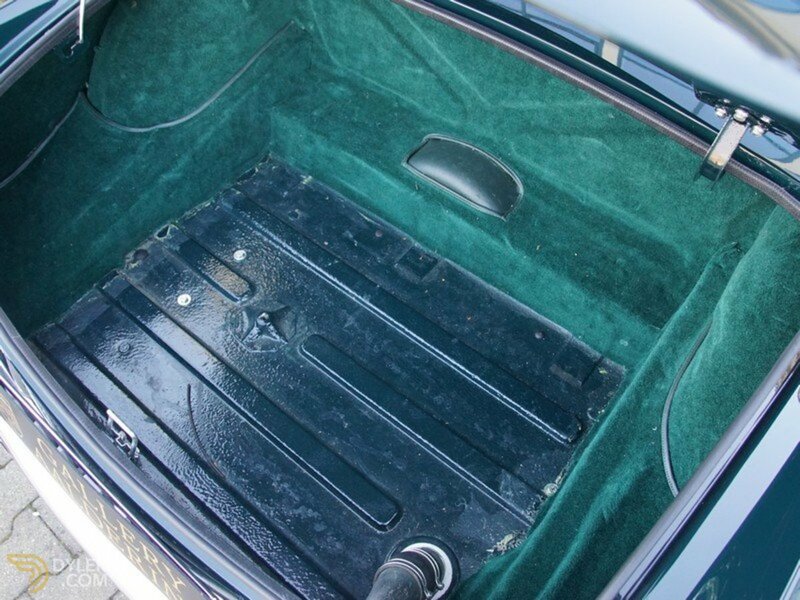 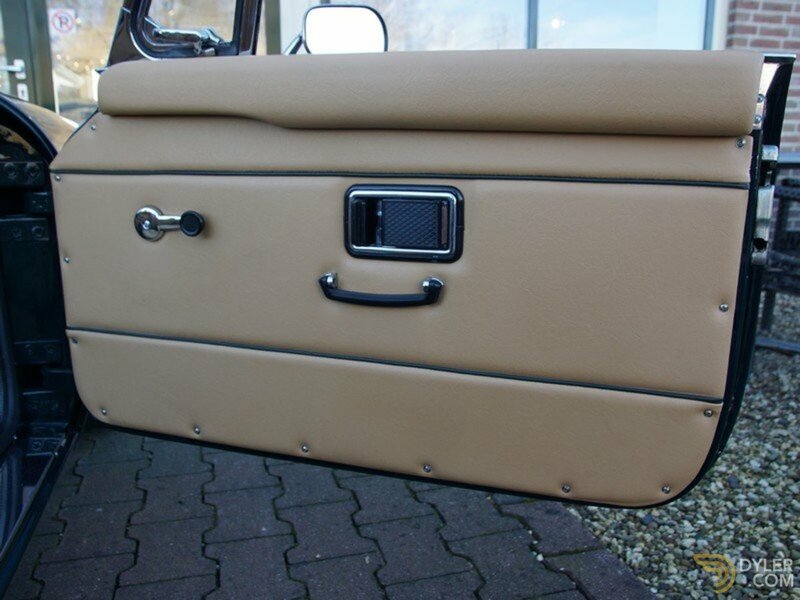 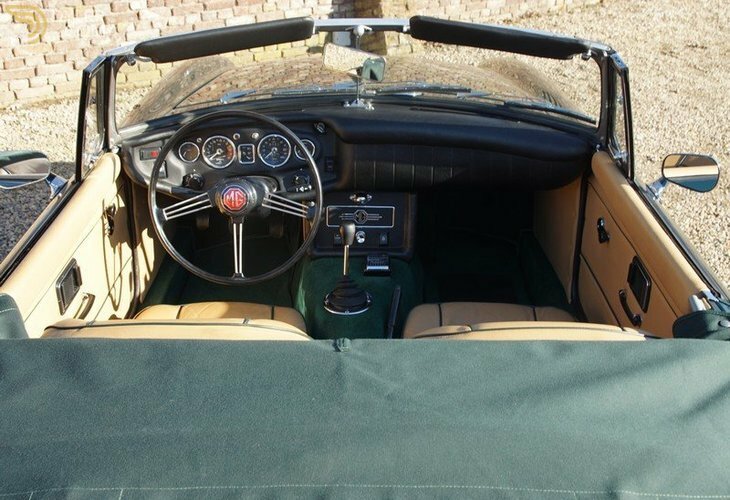 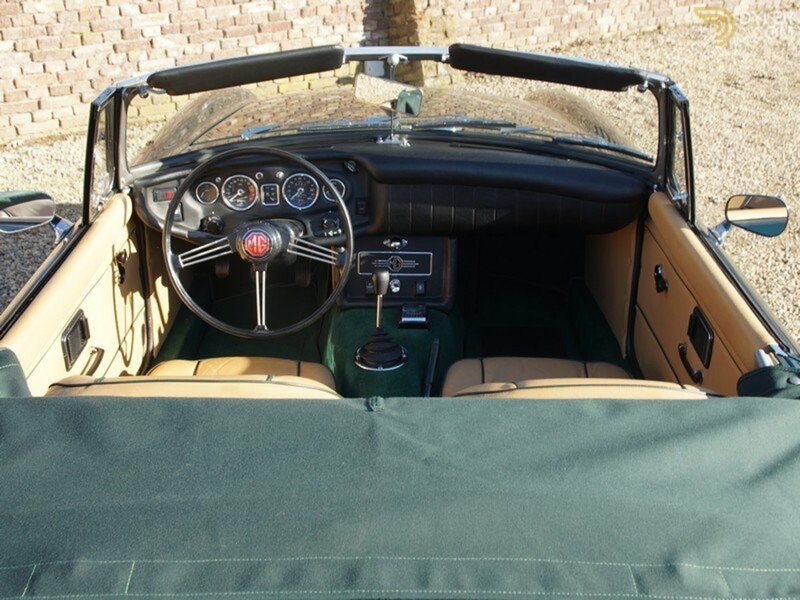 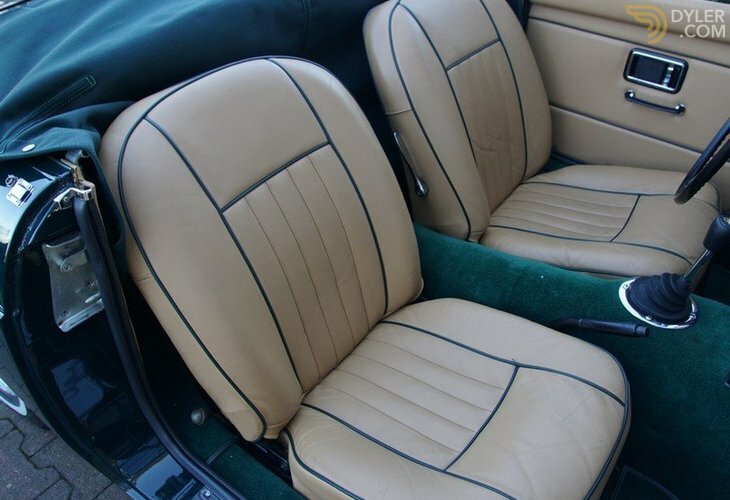 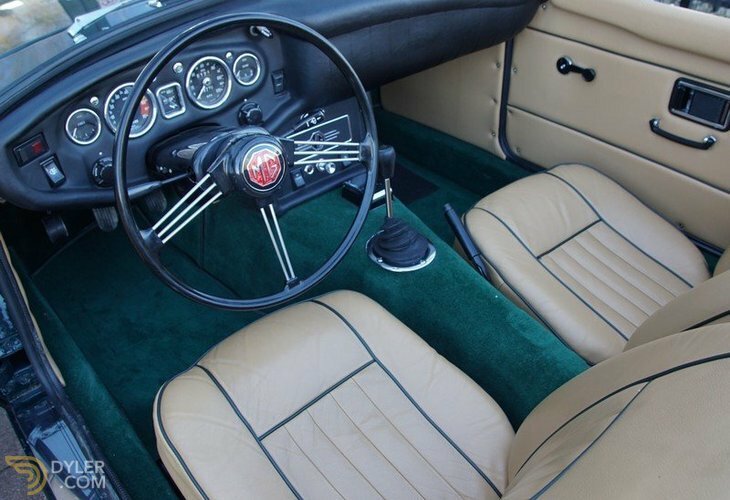 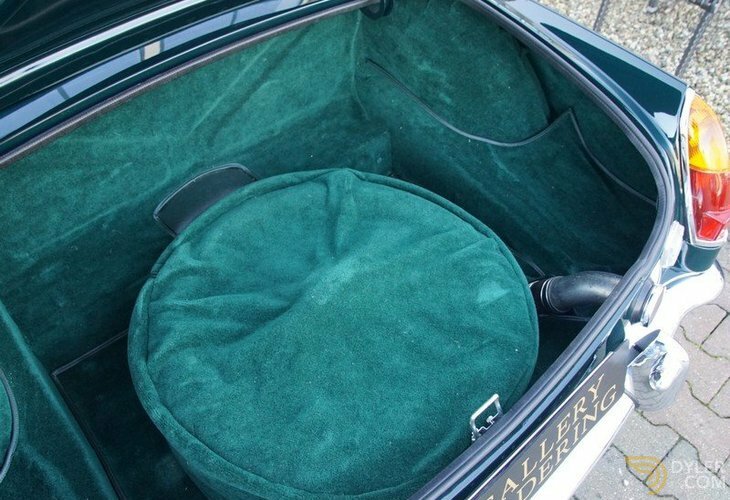 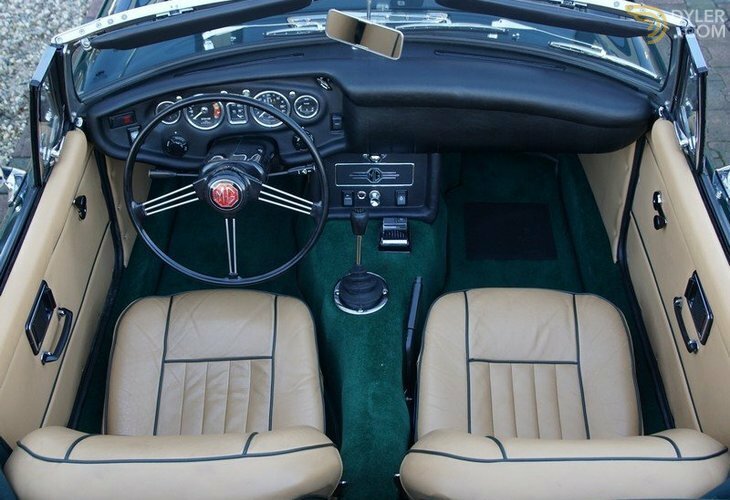 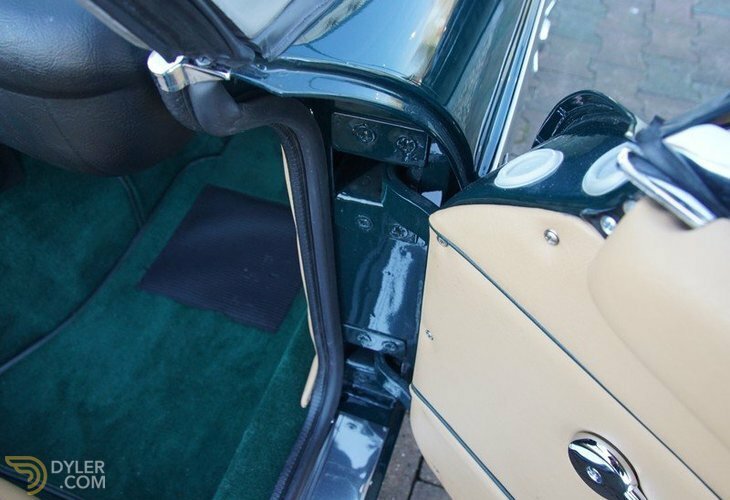 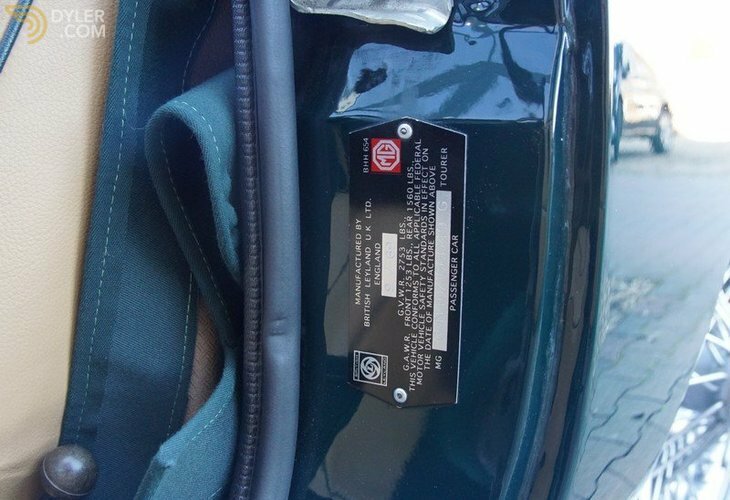 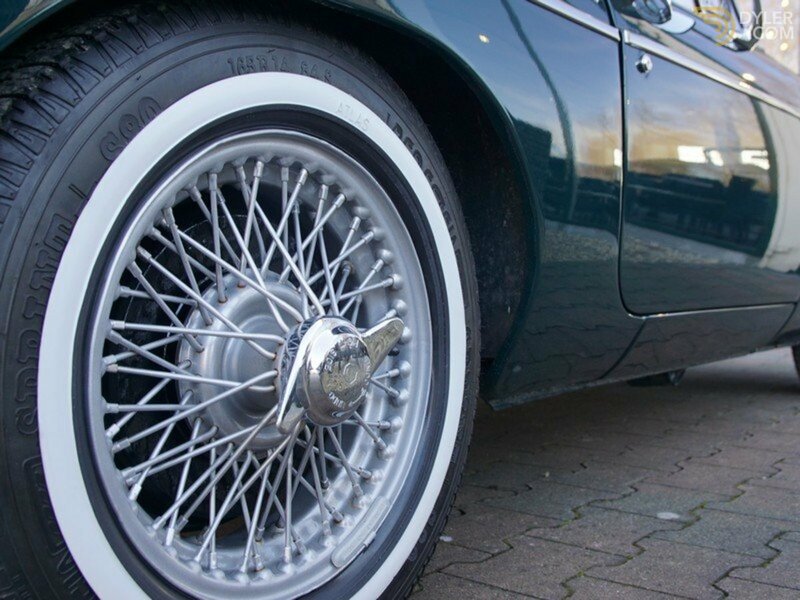 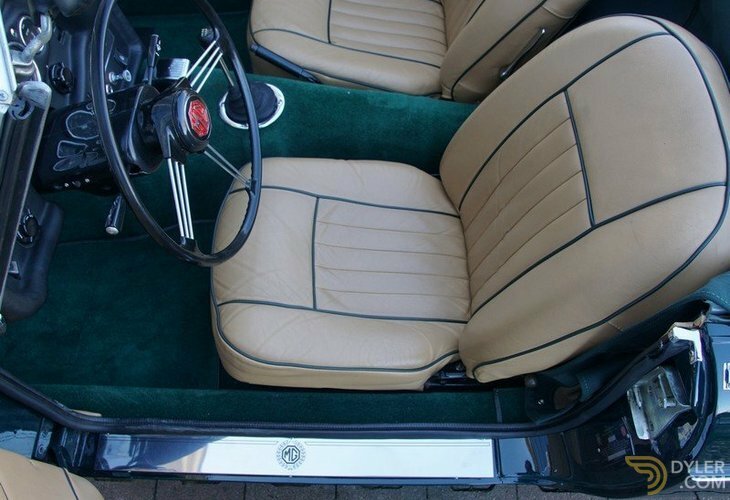 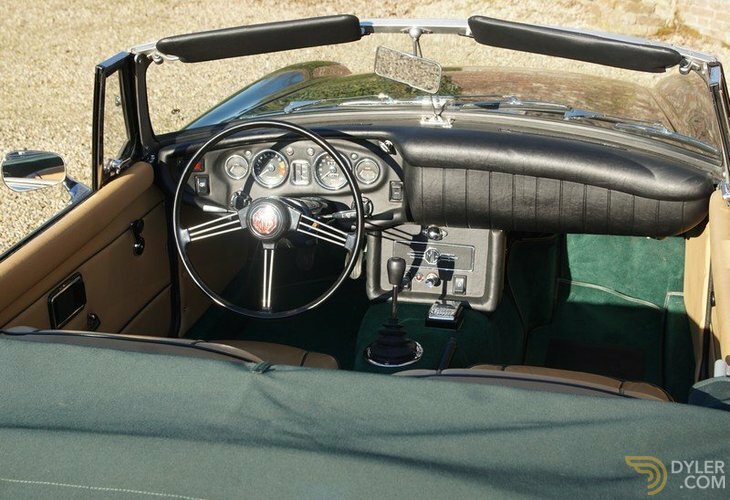 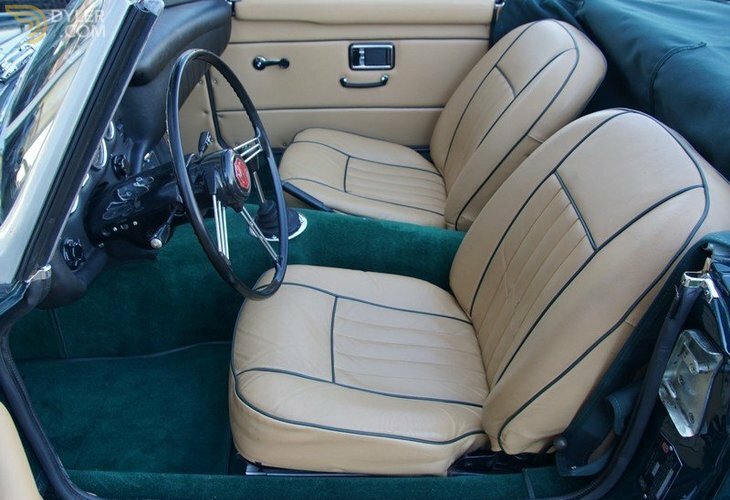 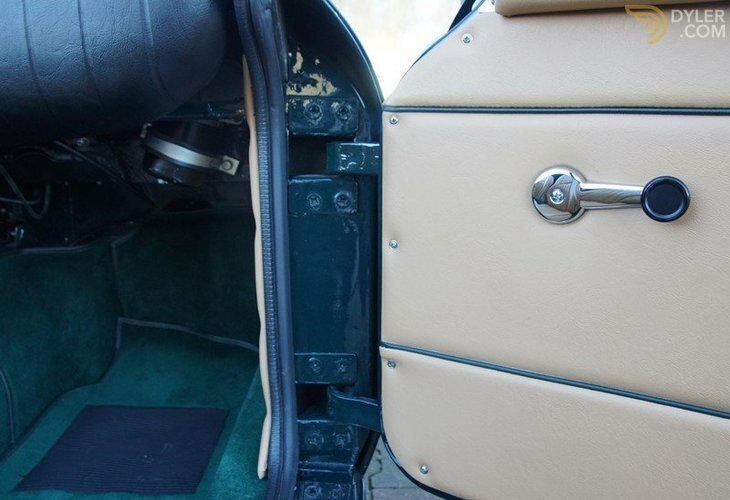 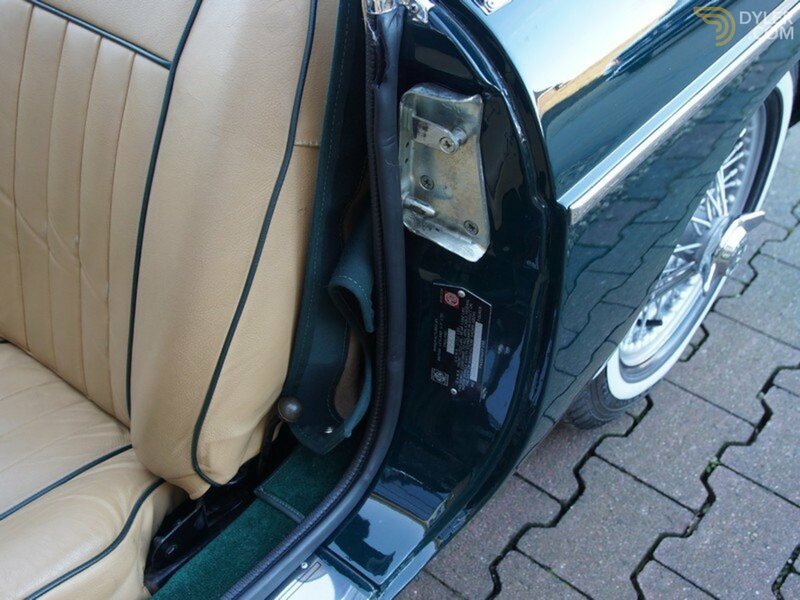 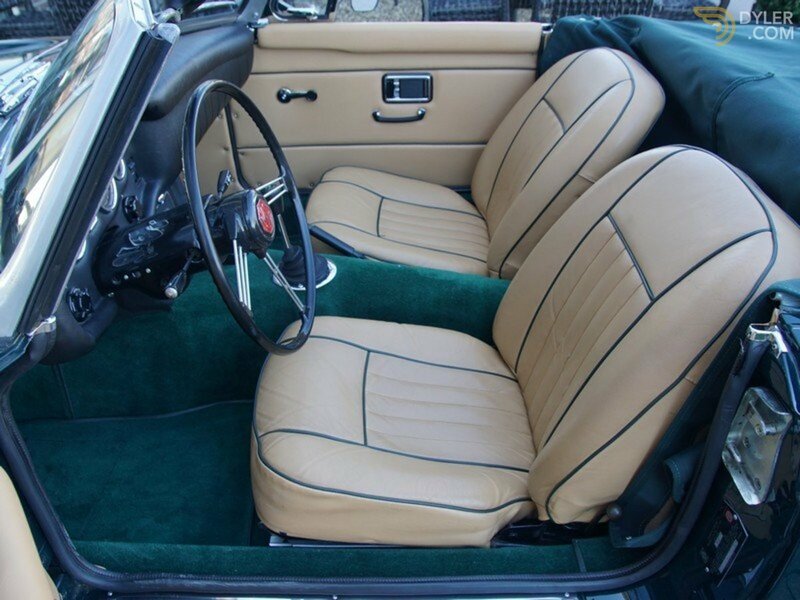 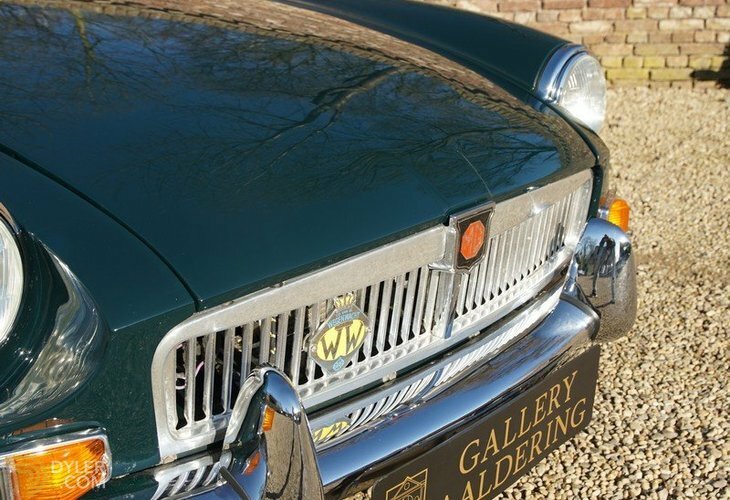 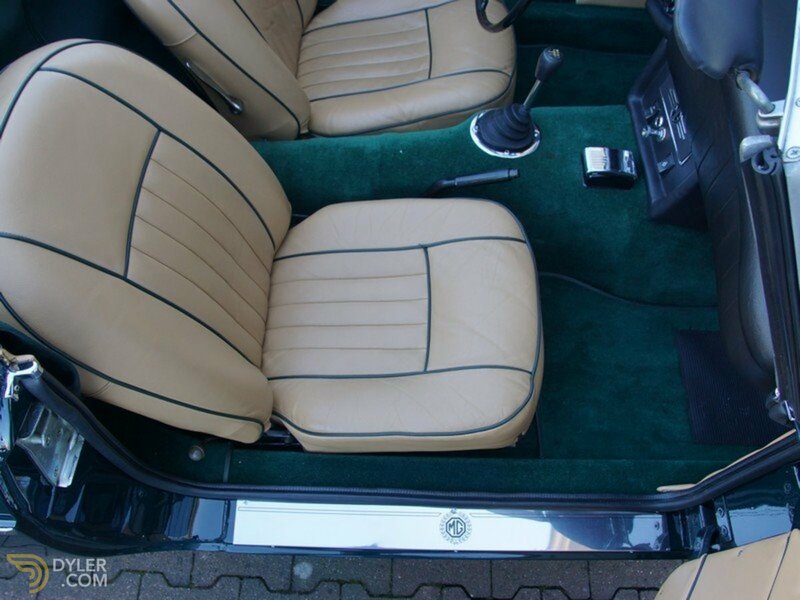 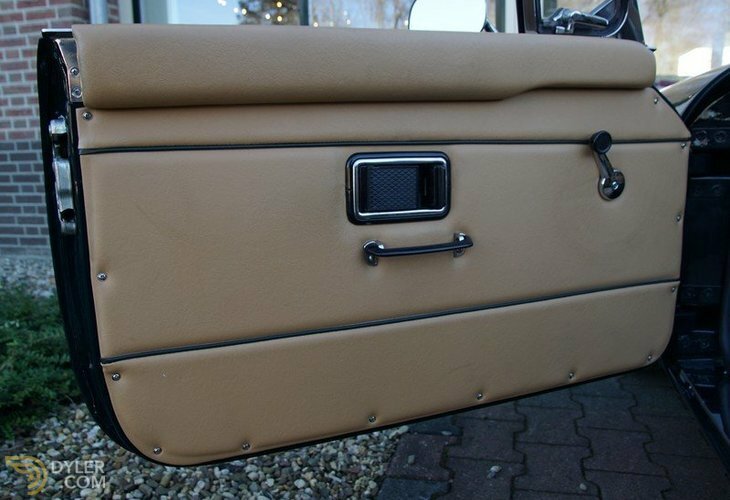 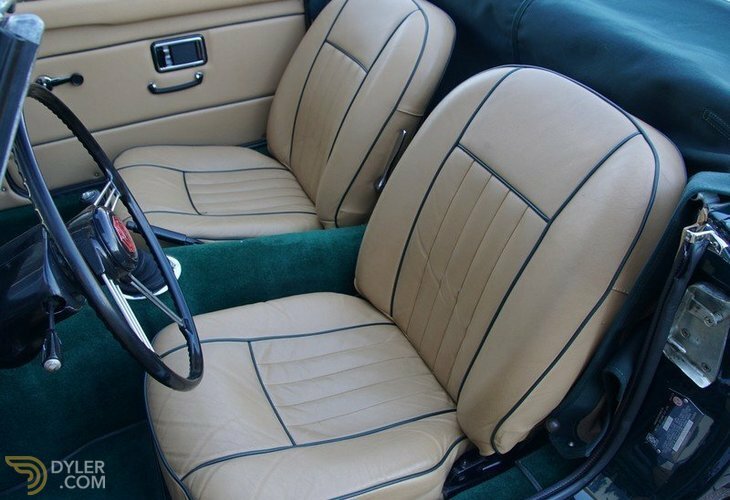 It has a wonderful sand-coloured leather interior trim with green piping. 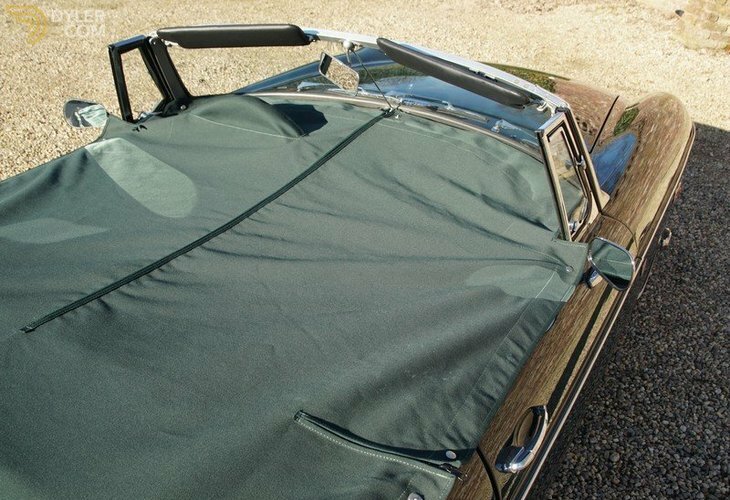 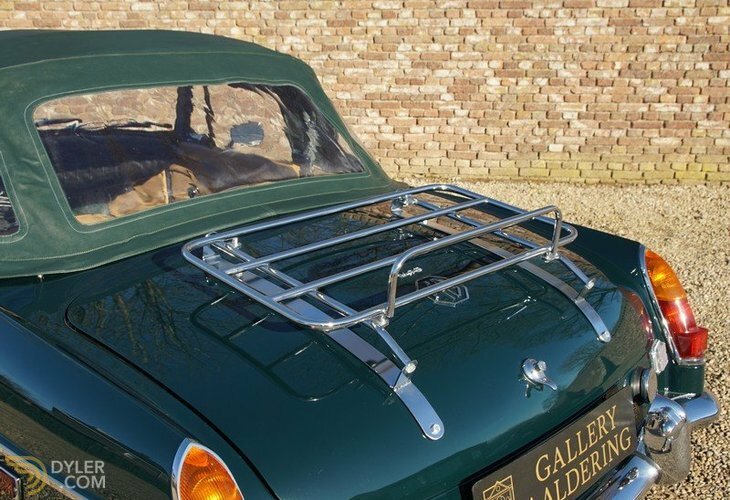 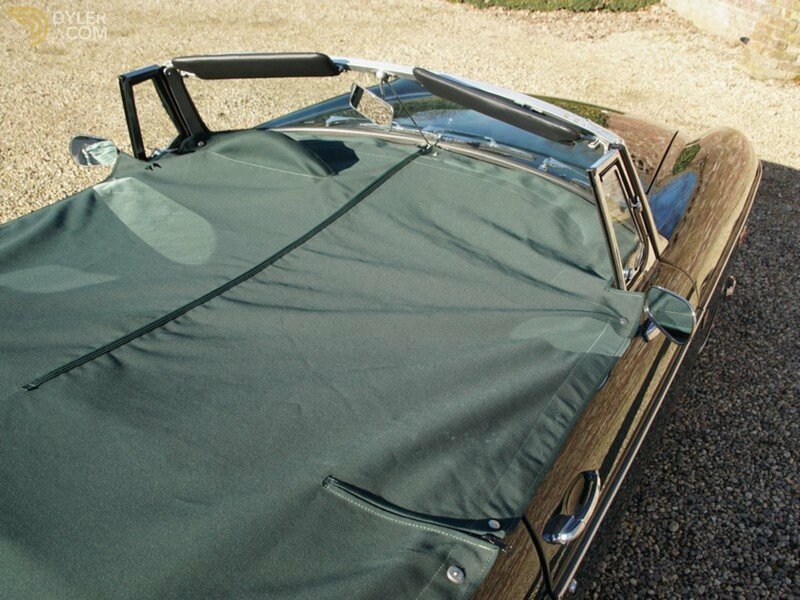 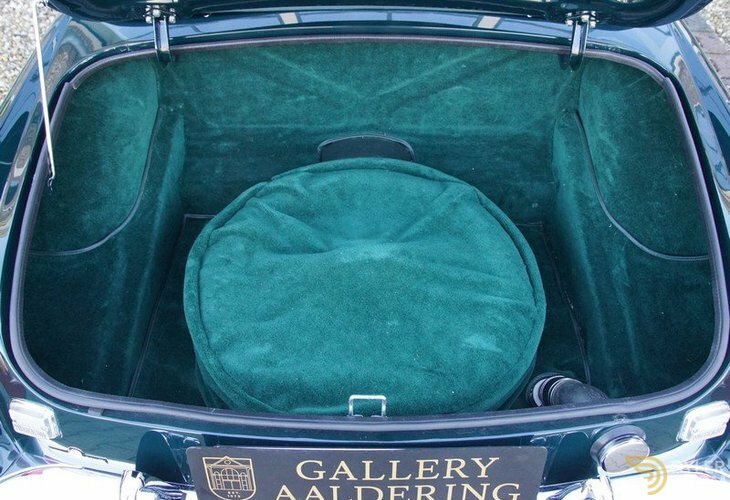 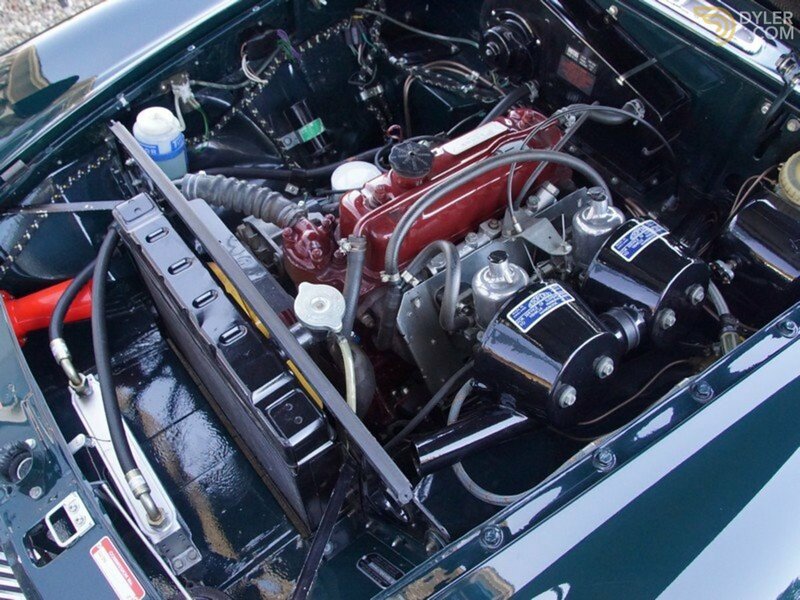 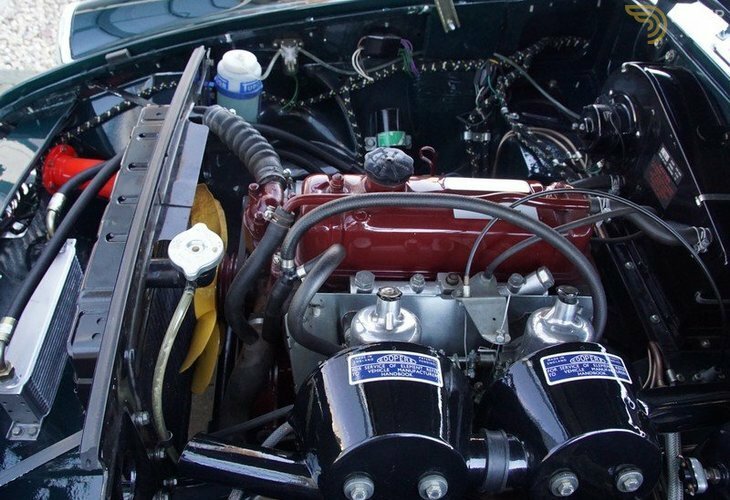 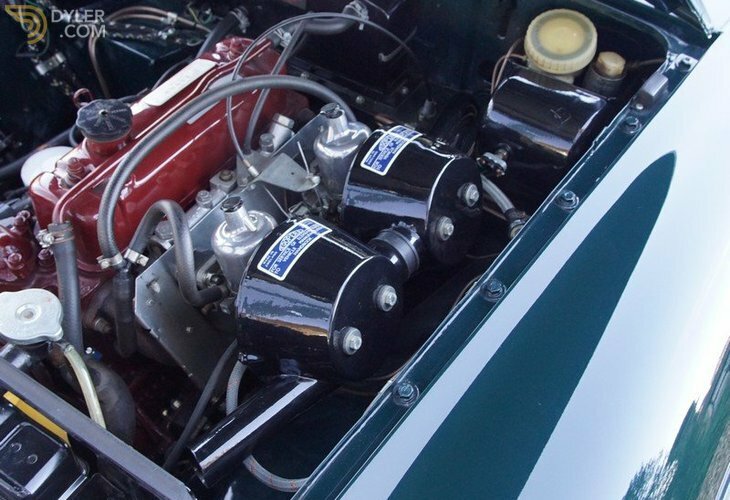 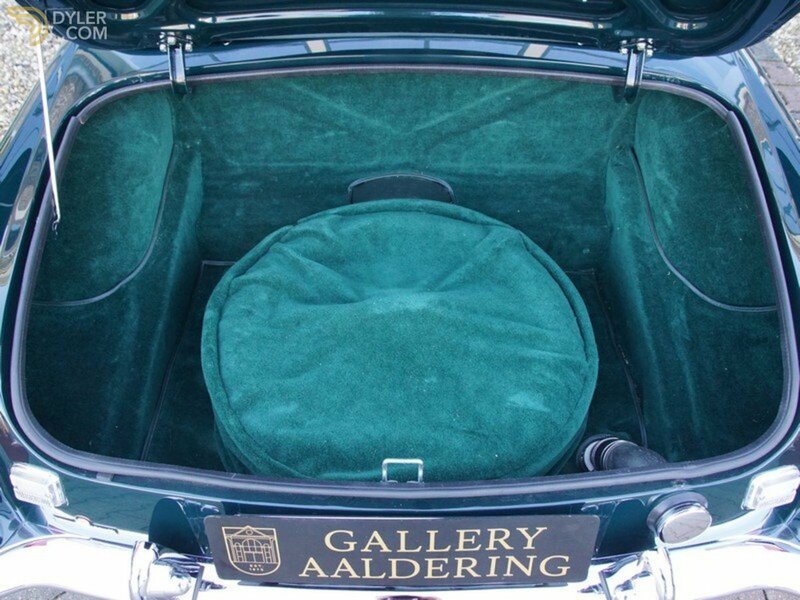 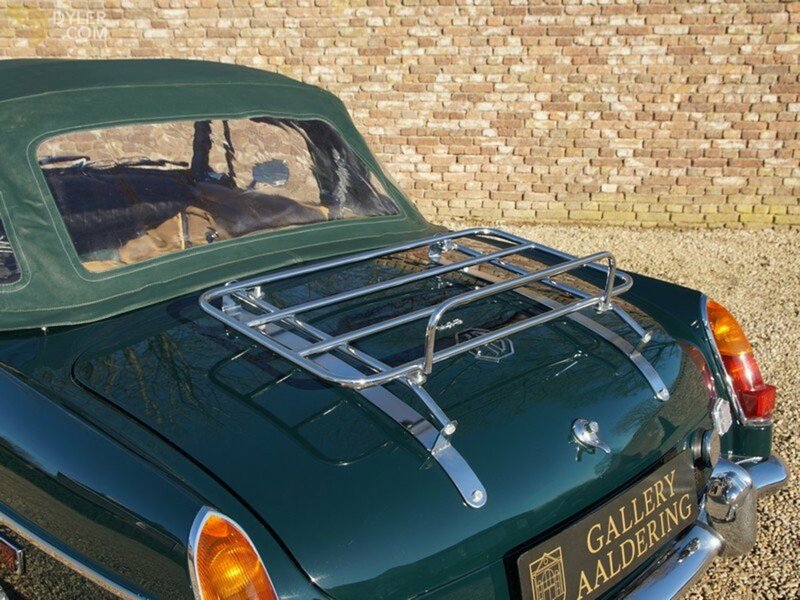 It also has a large linen tonneau and a green summer hood. 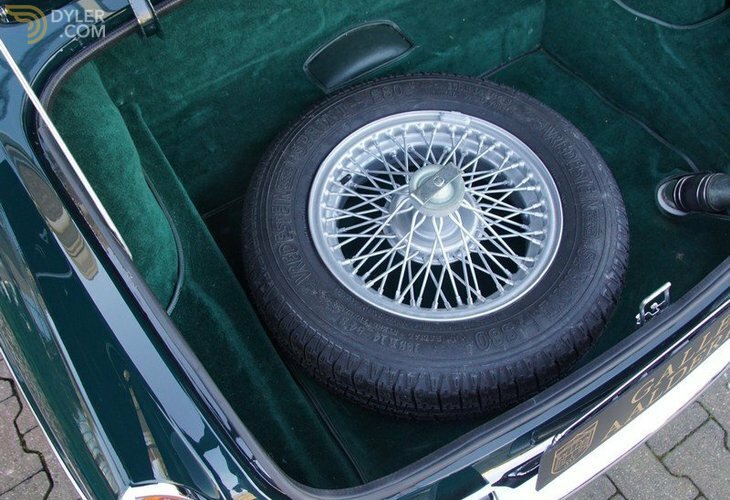 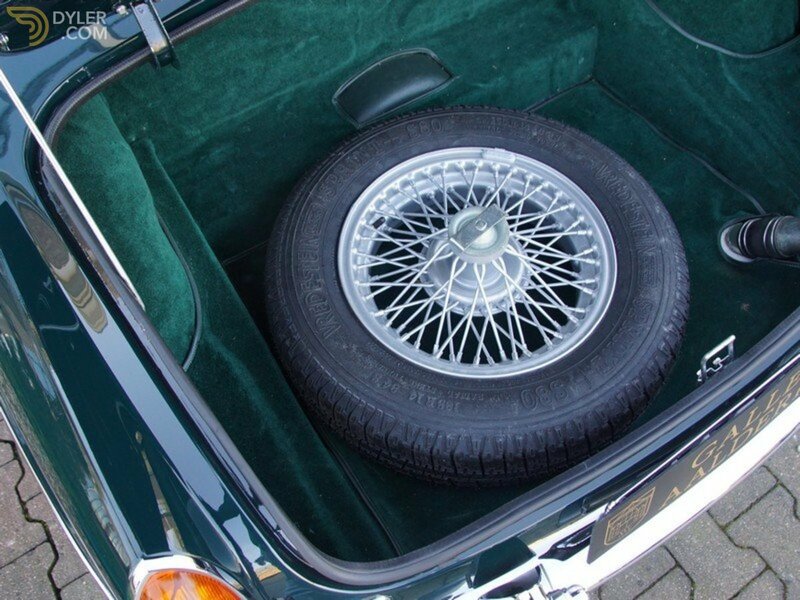 Of course the chrome wire wheels and luggage rack are not missing. 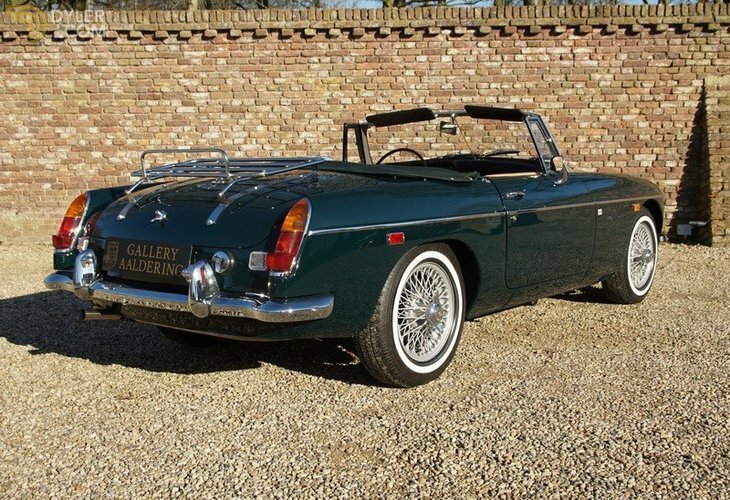 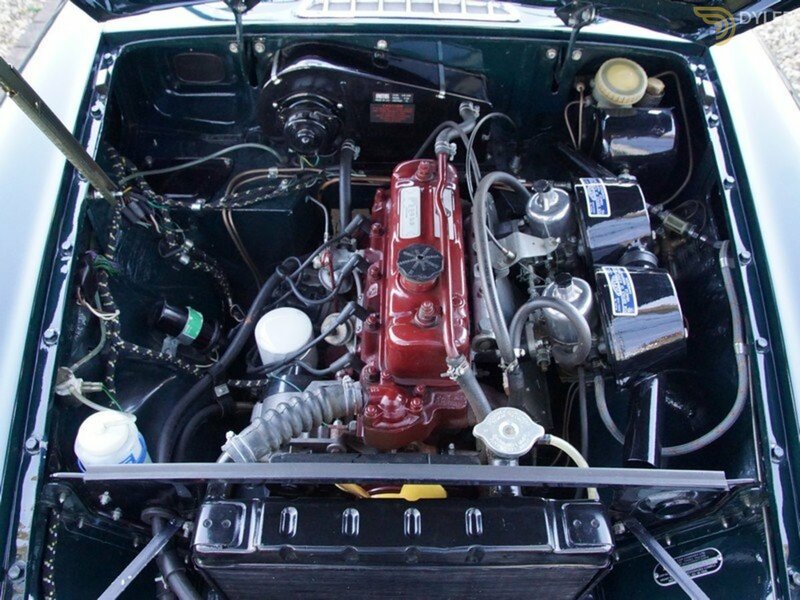 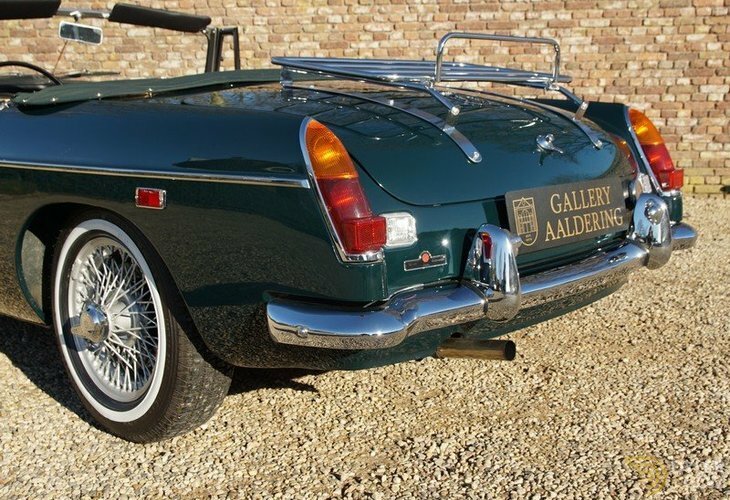 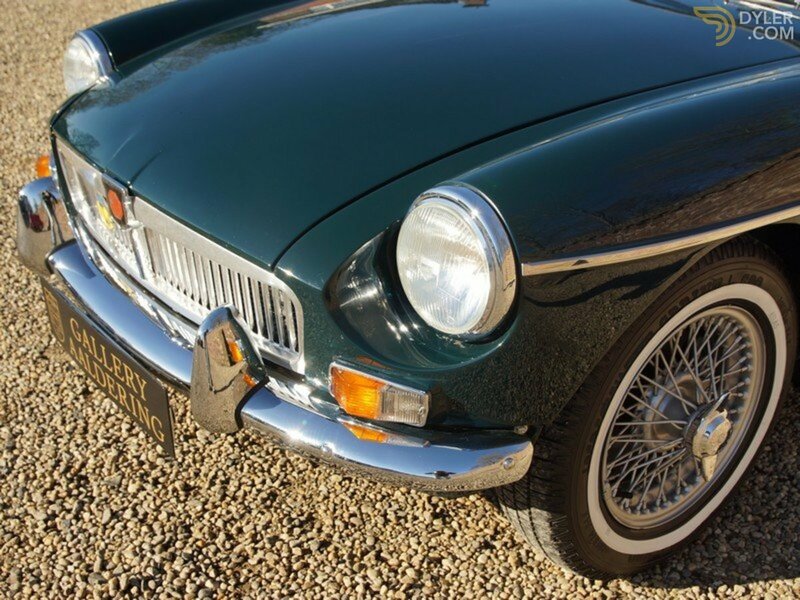 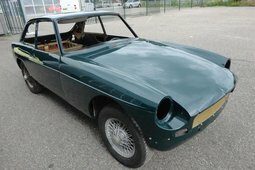 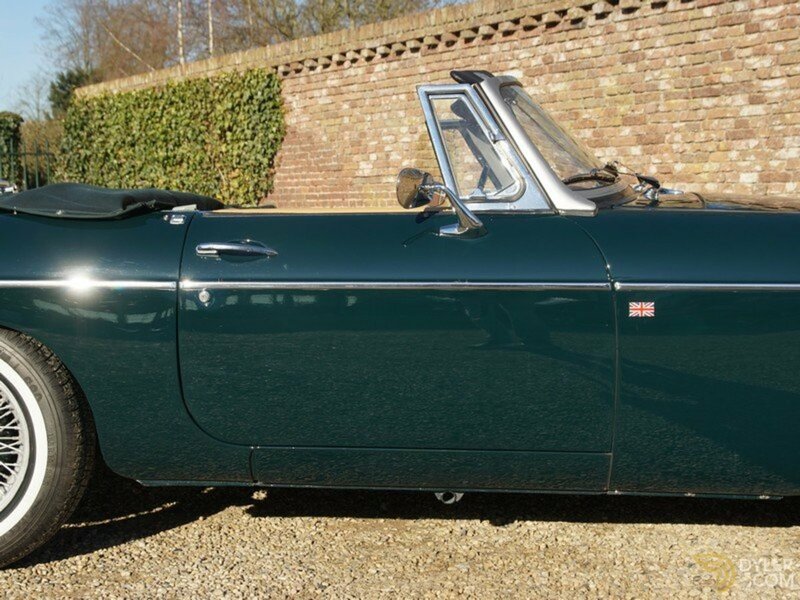 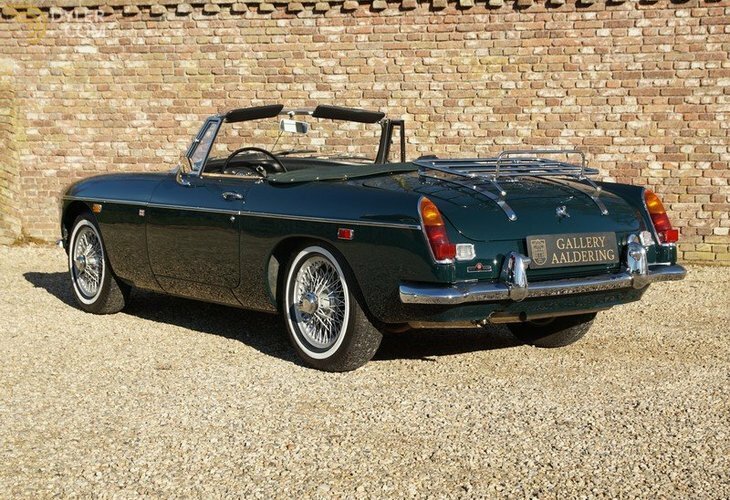 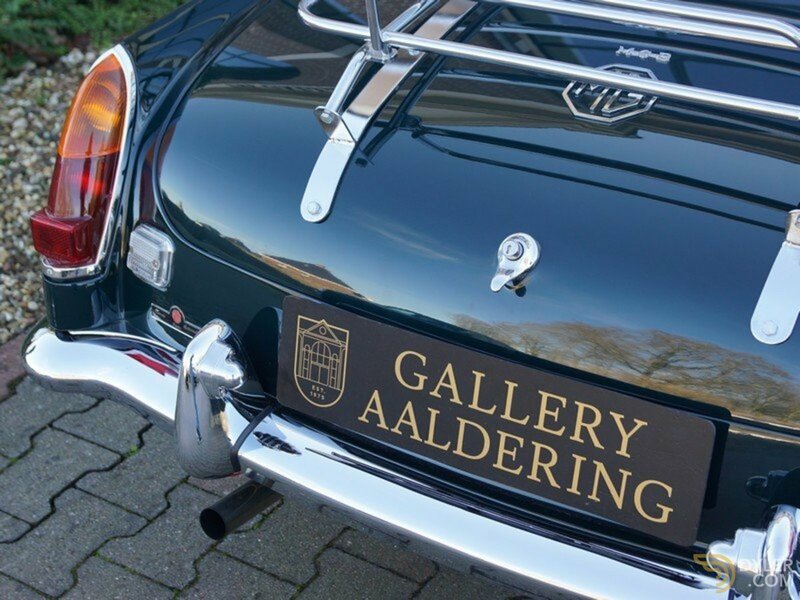 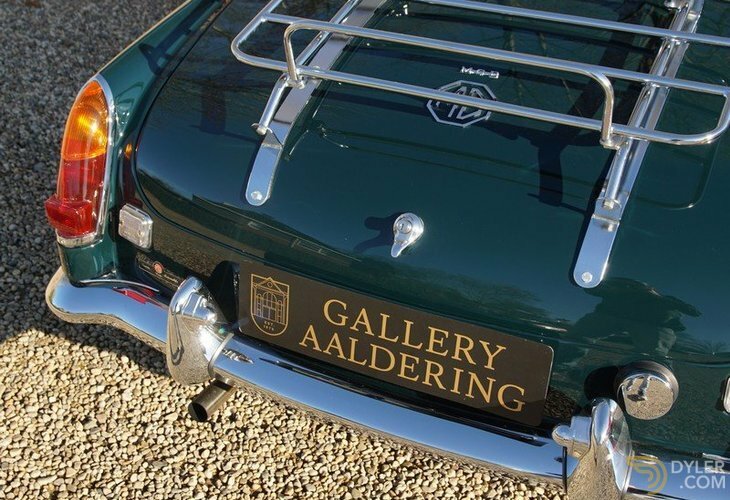 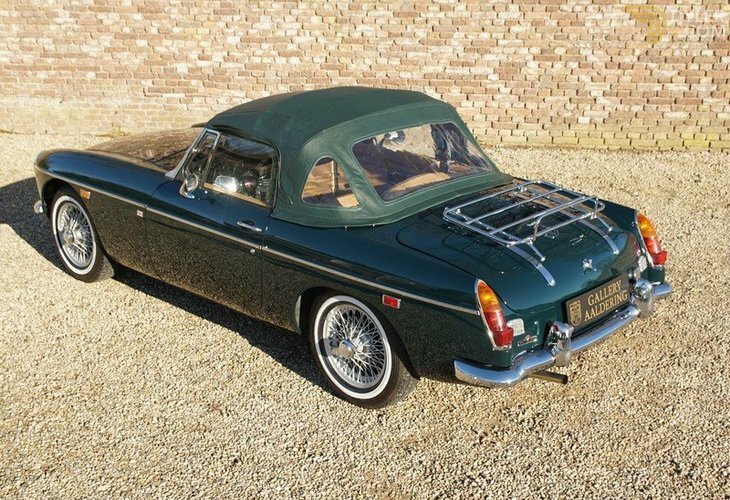 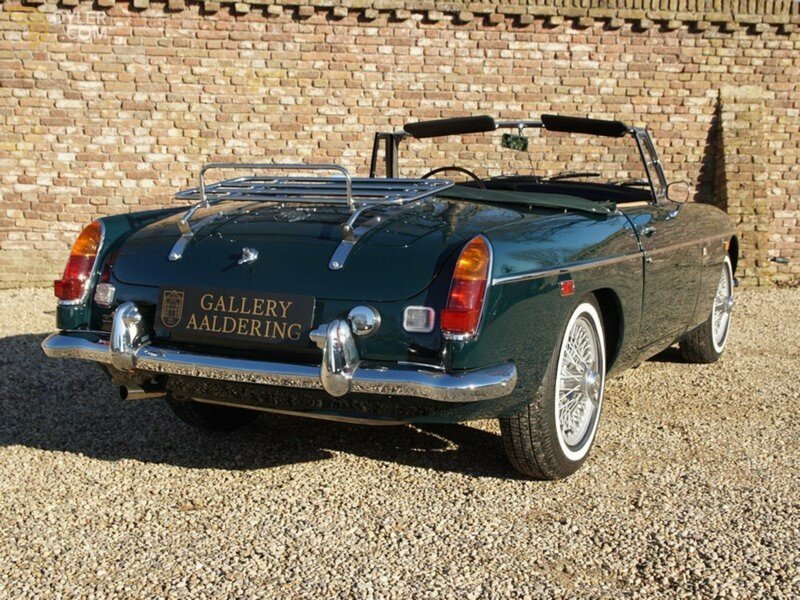 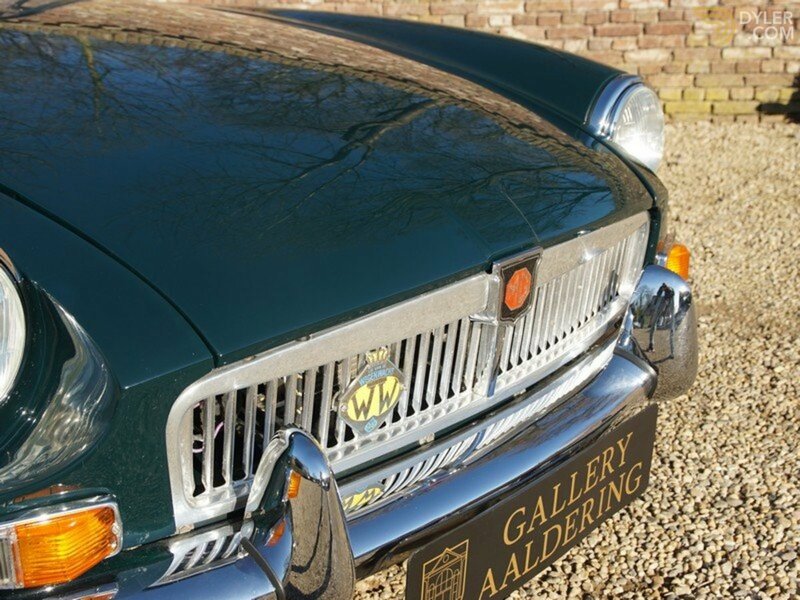 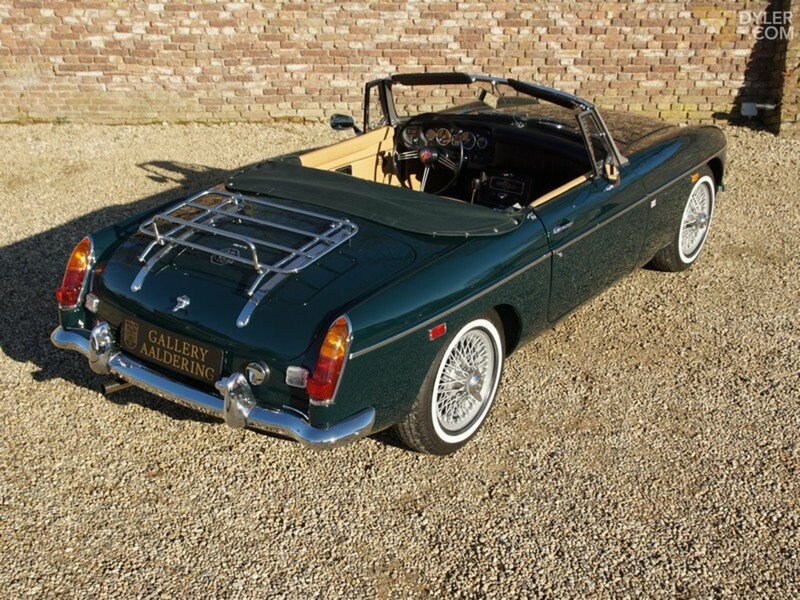 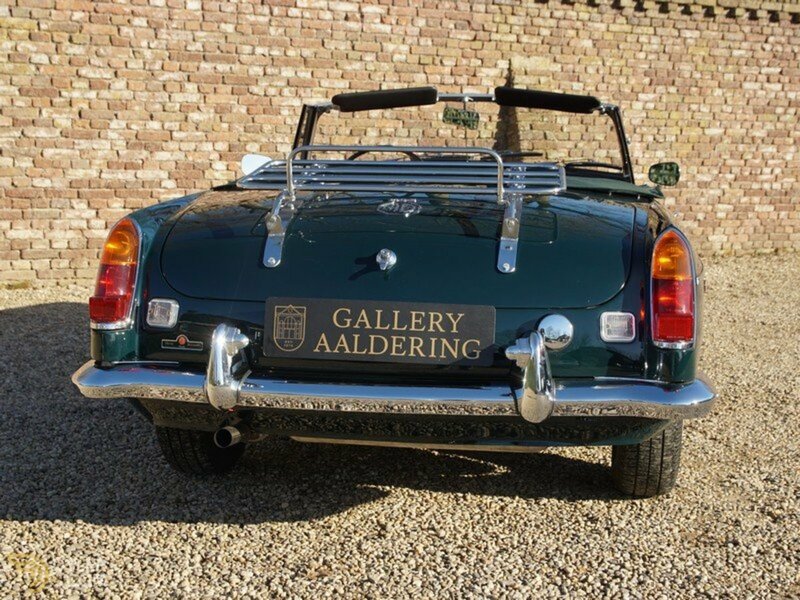 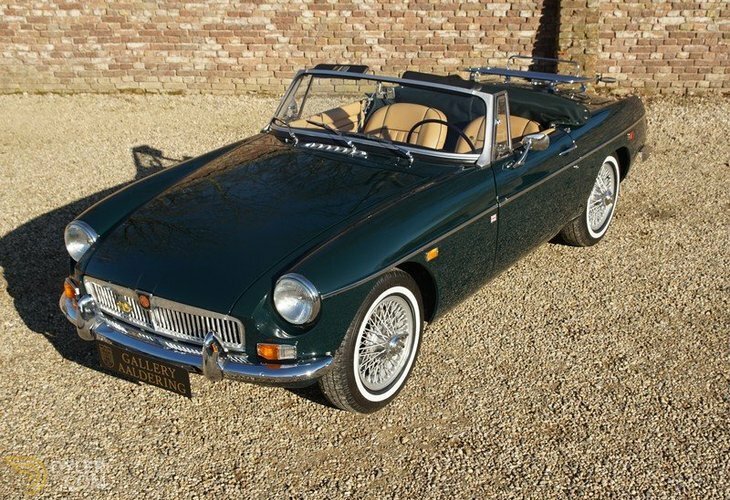 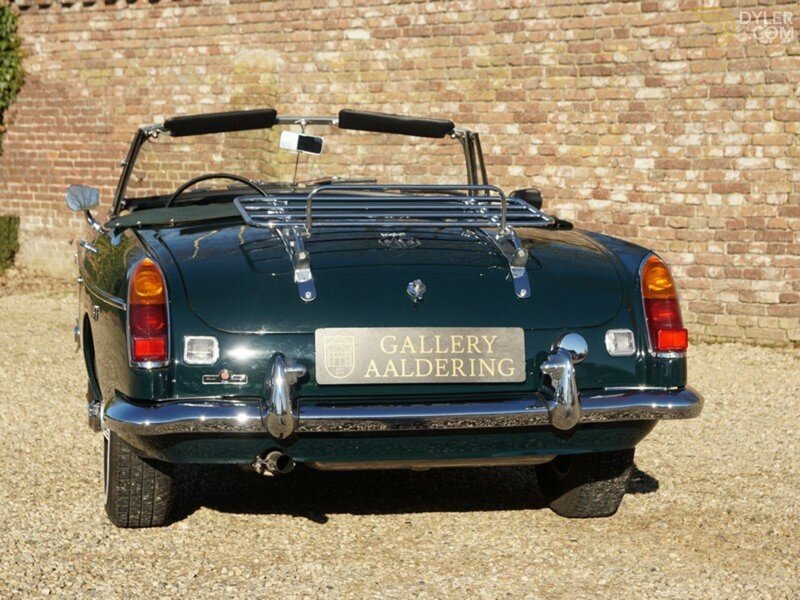 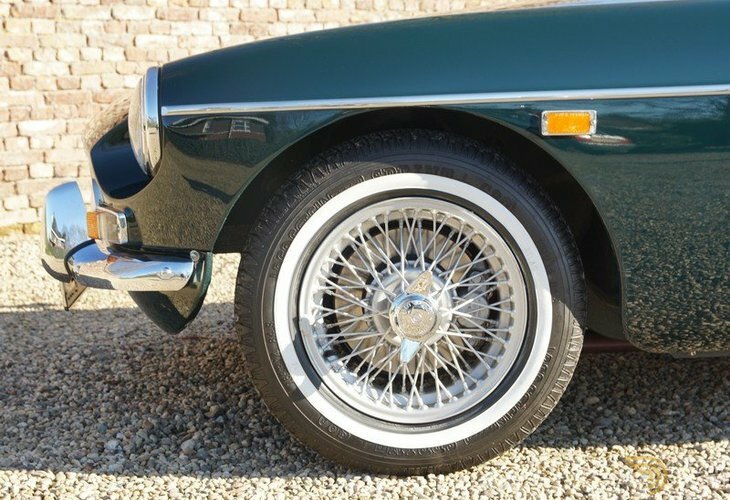 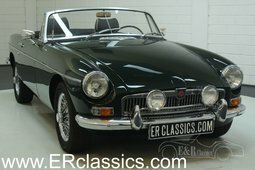 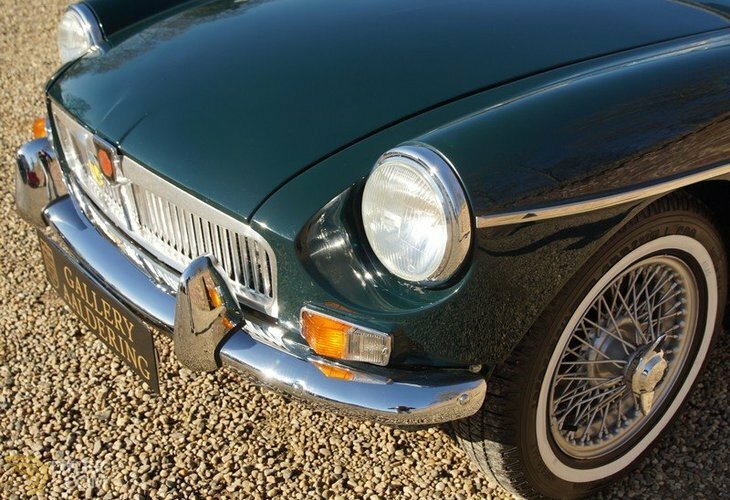 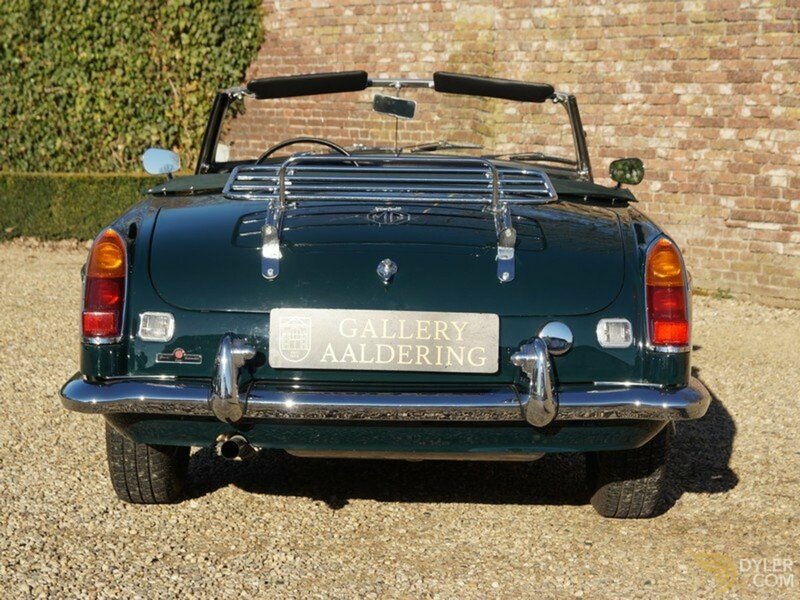 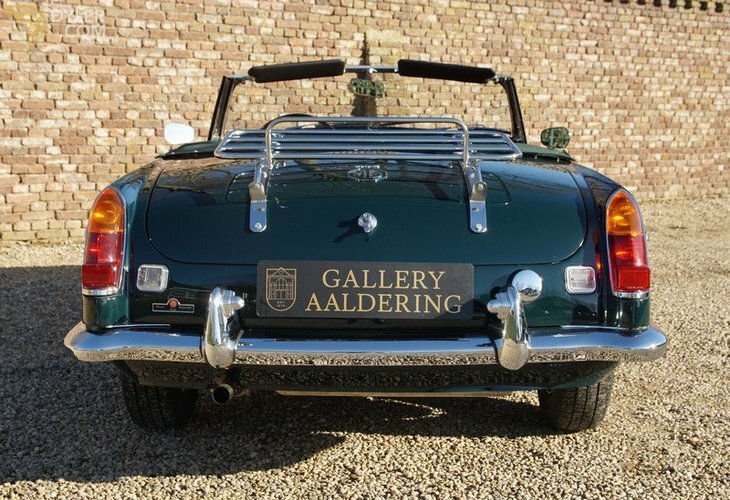 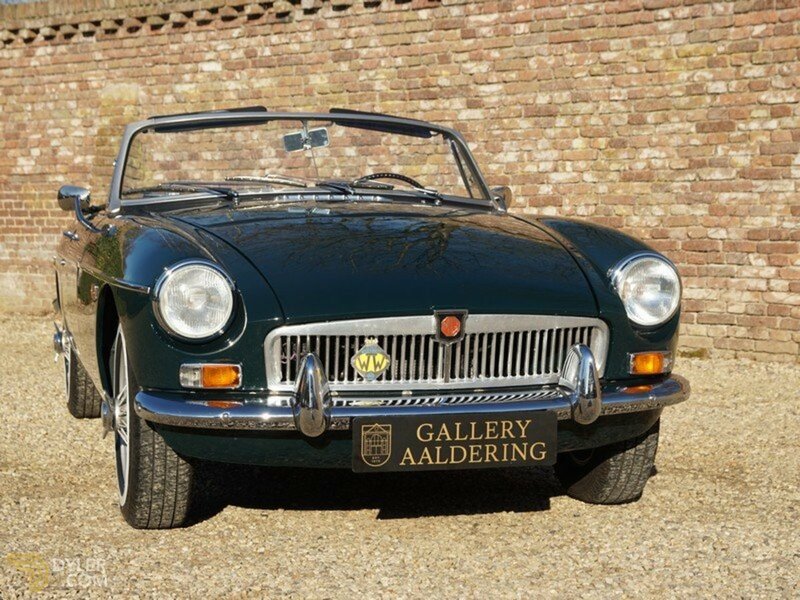 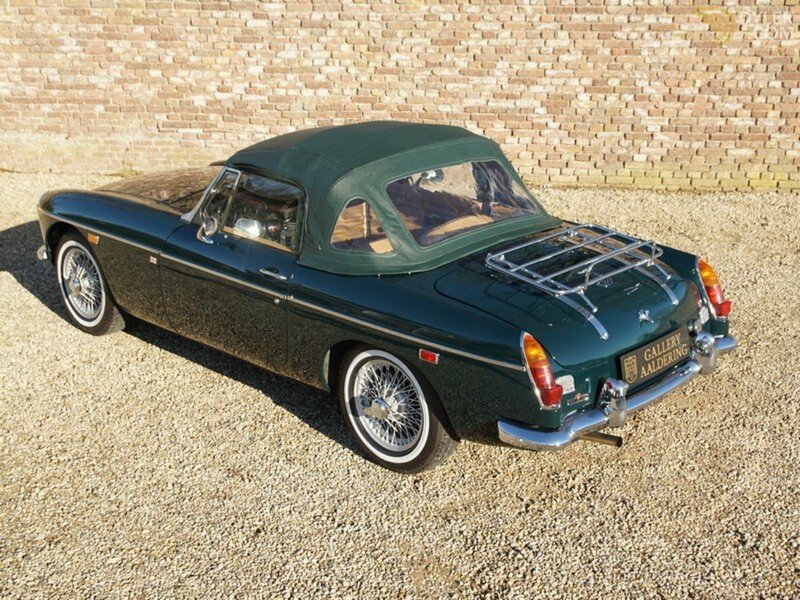 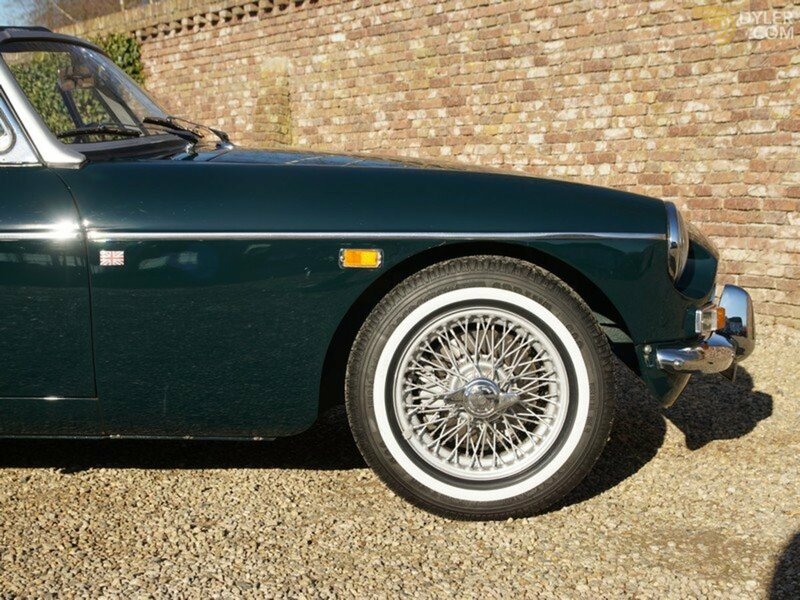 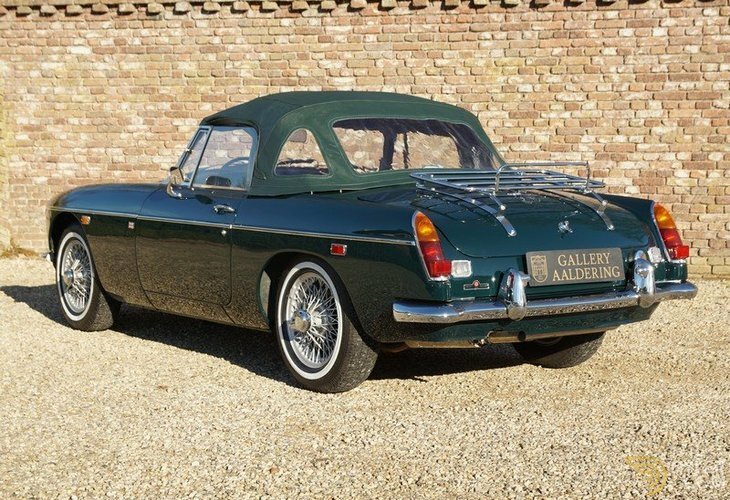 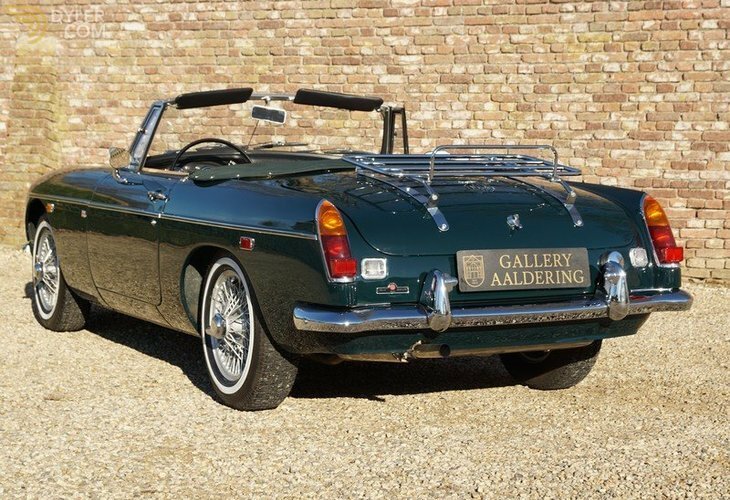 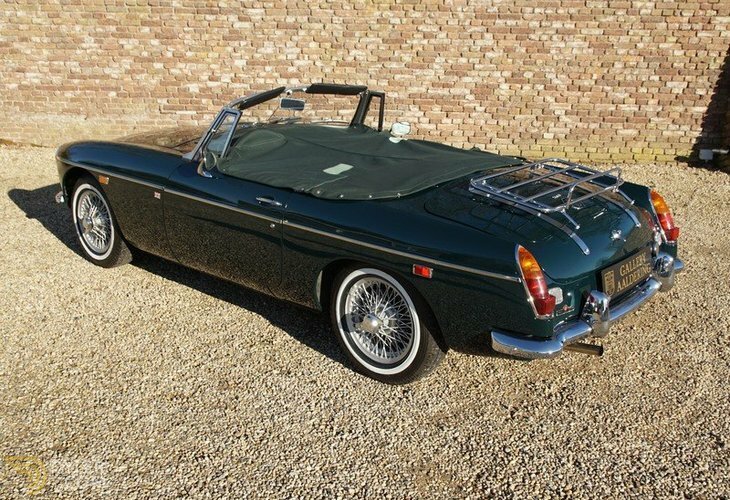 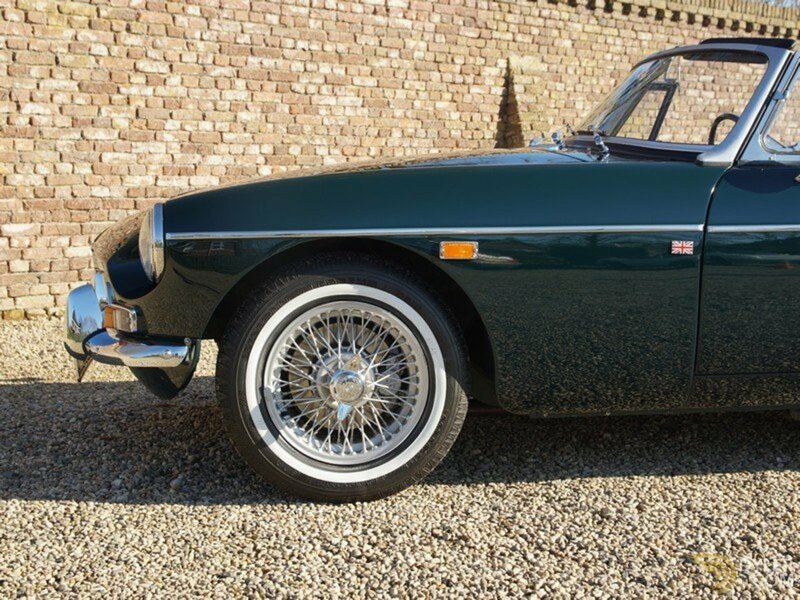 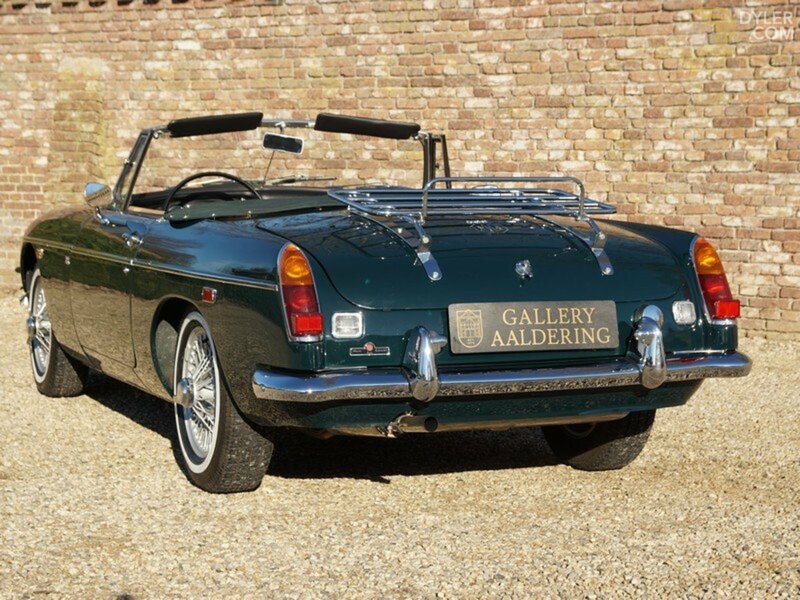 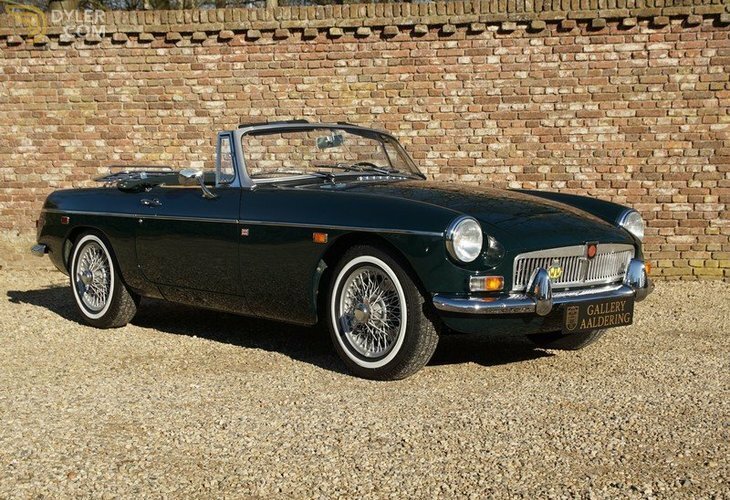 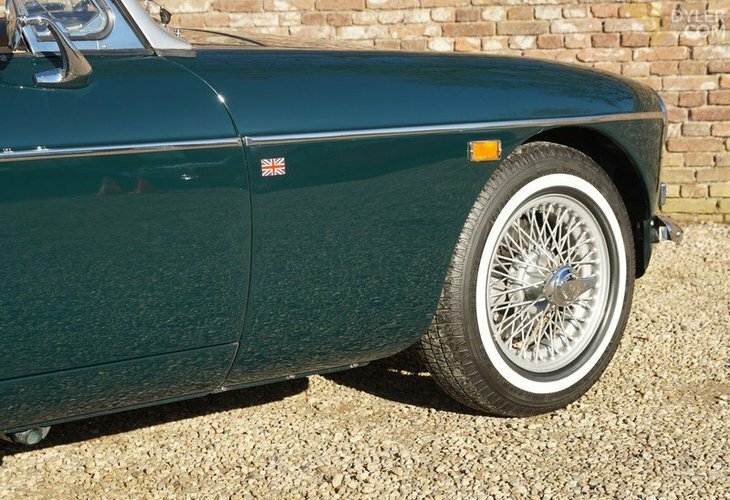 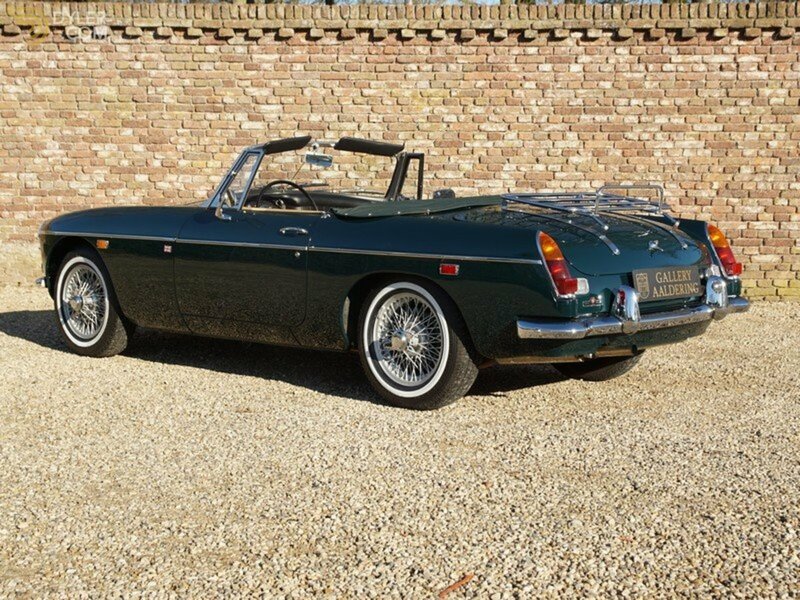 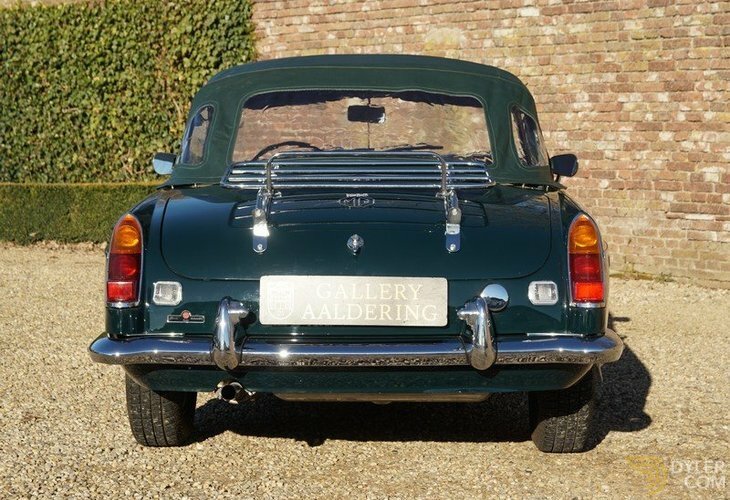 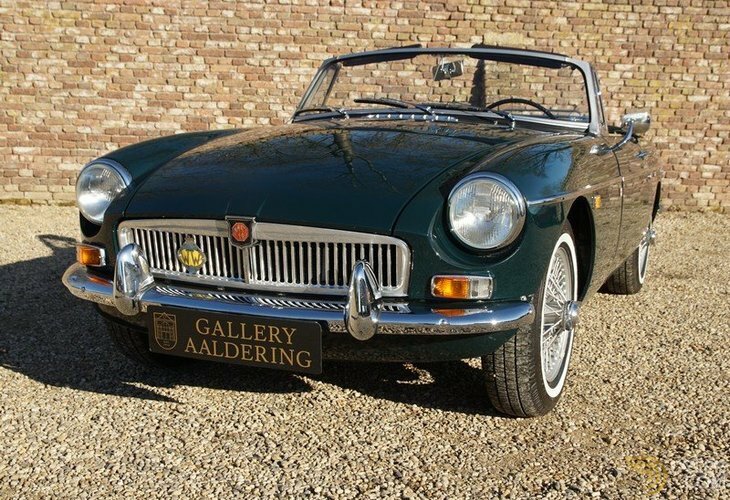 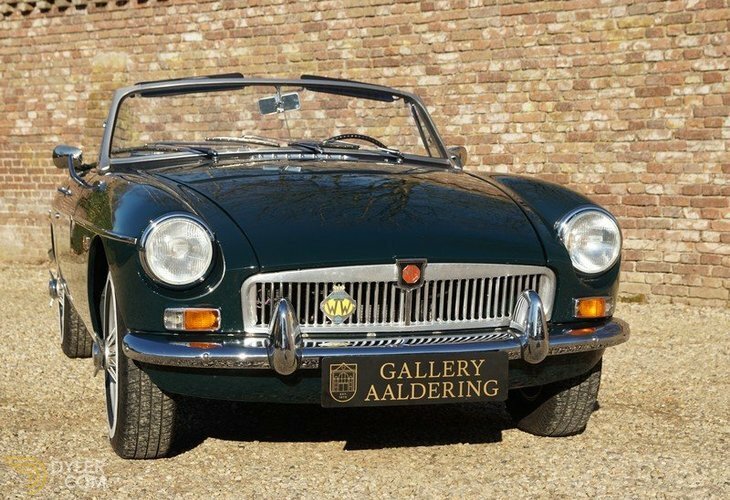 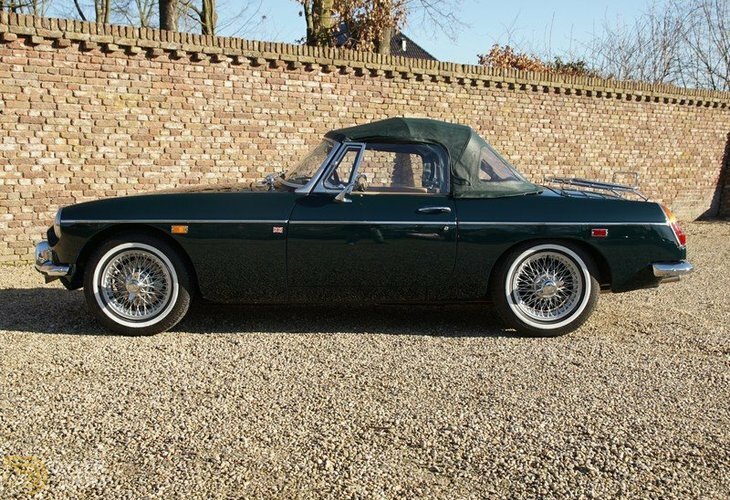 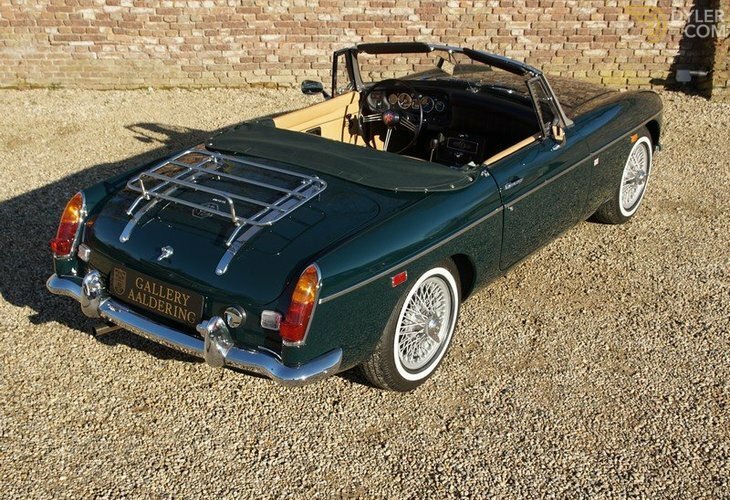 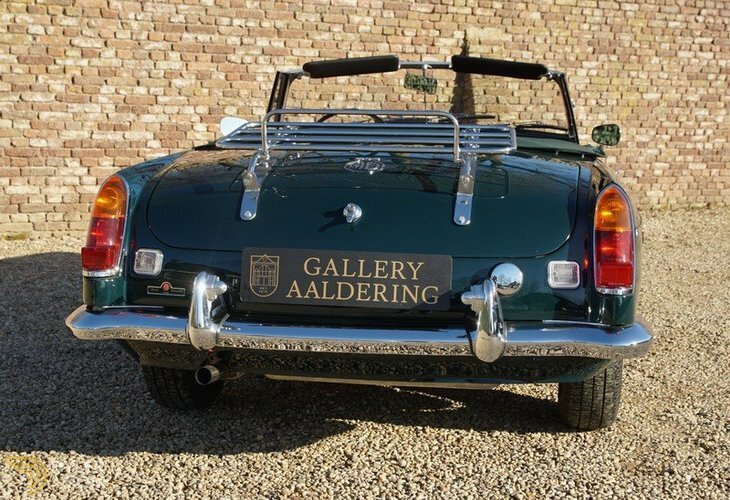 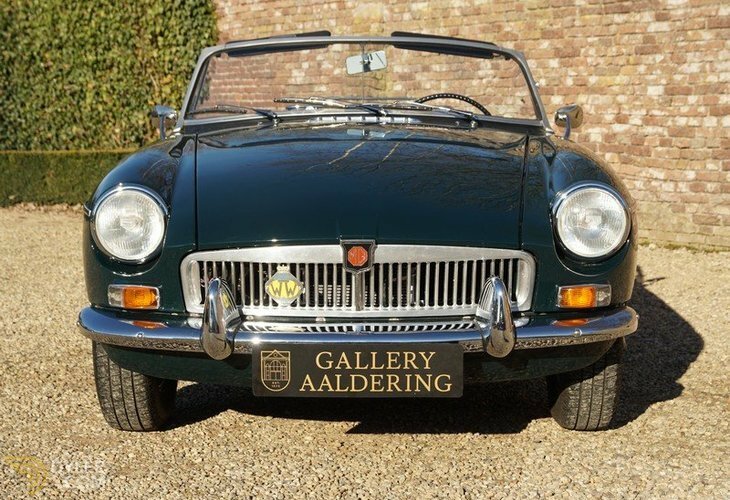 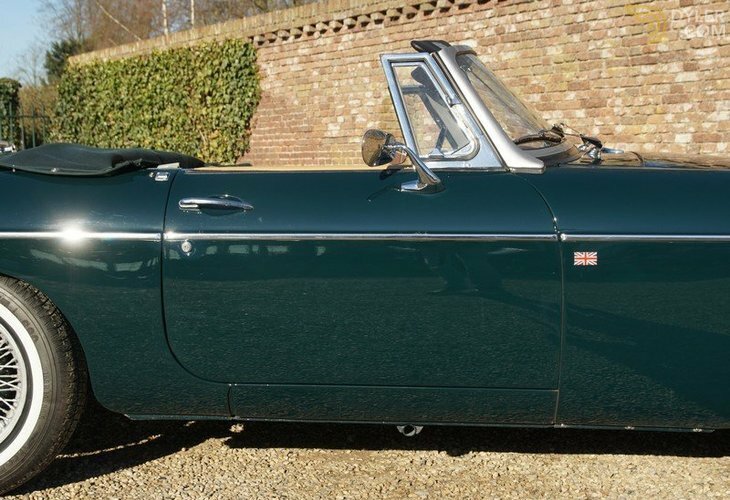 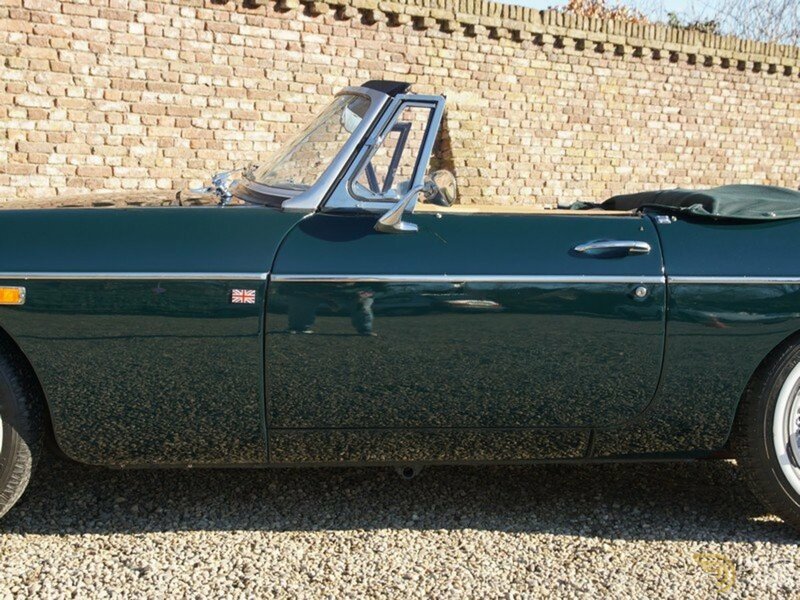 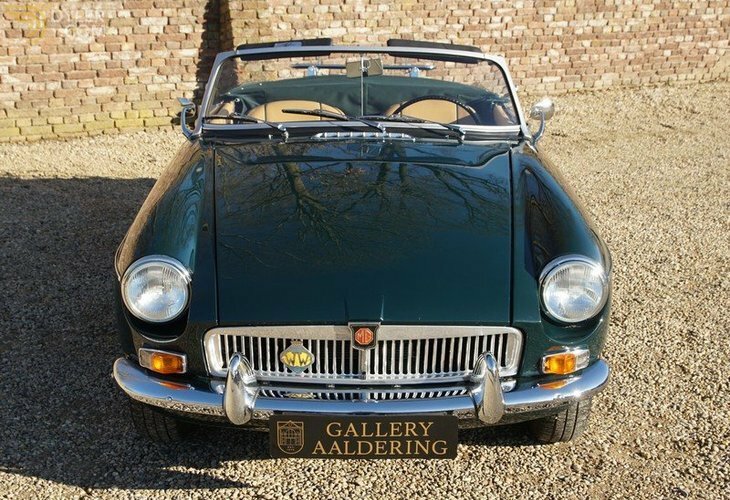 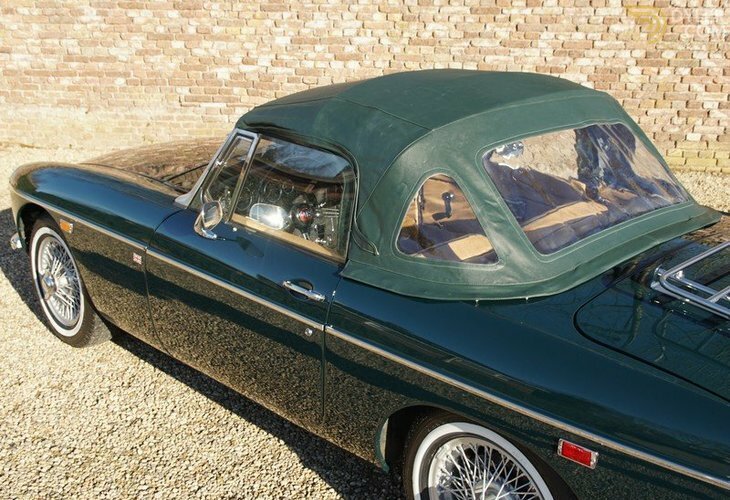 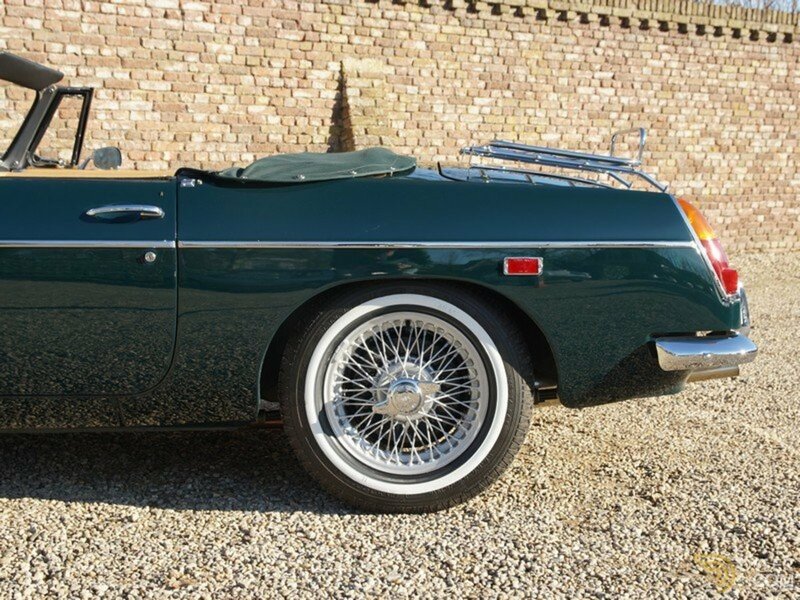 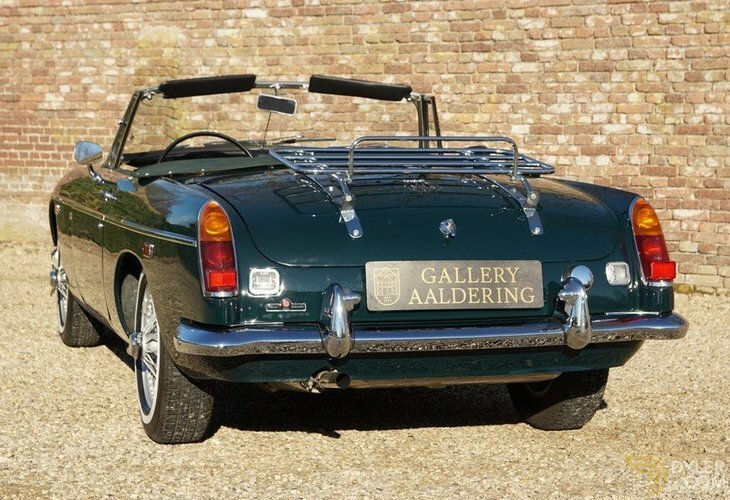 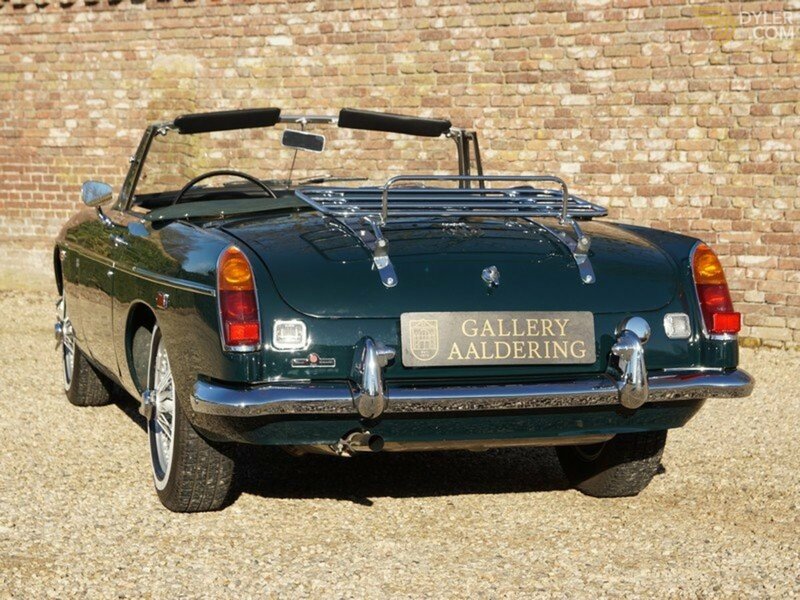 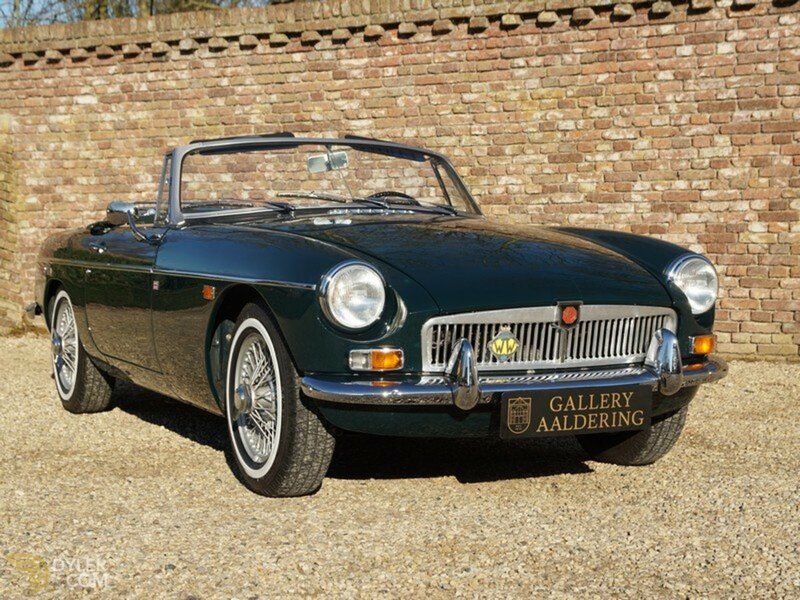 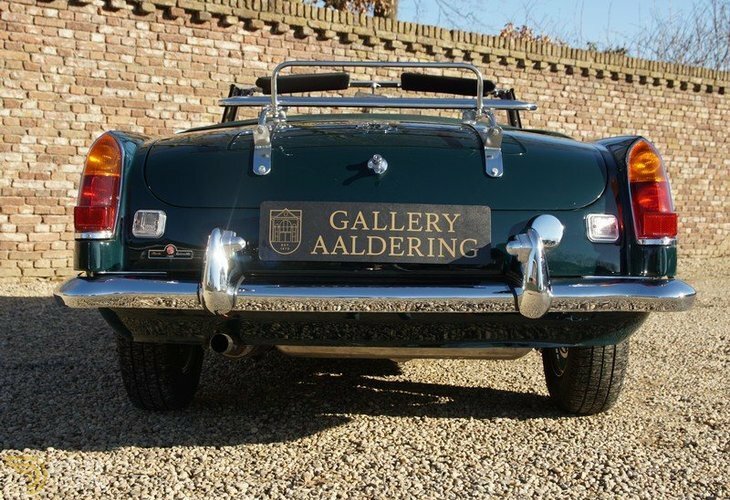 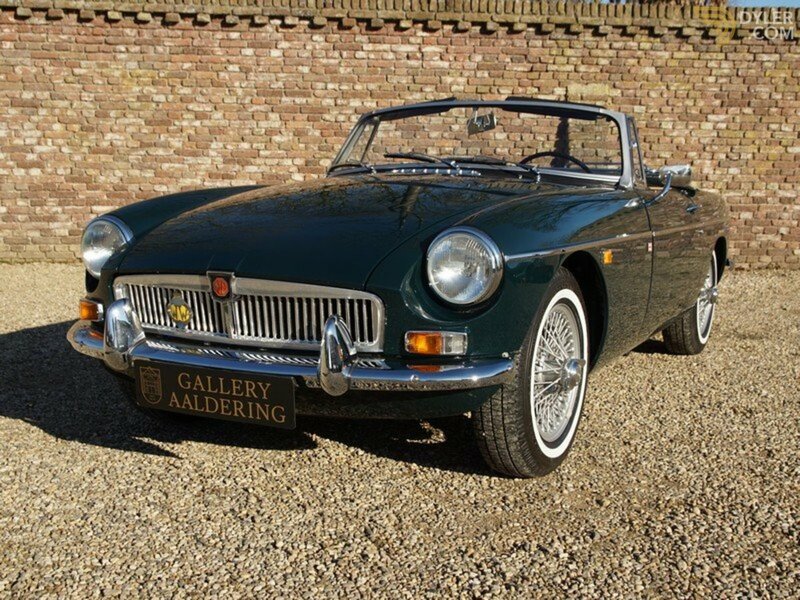 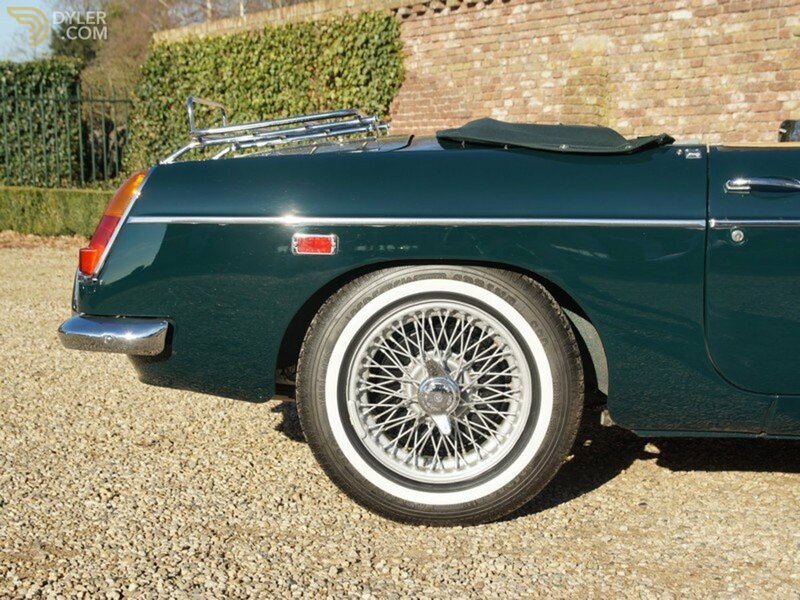 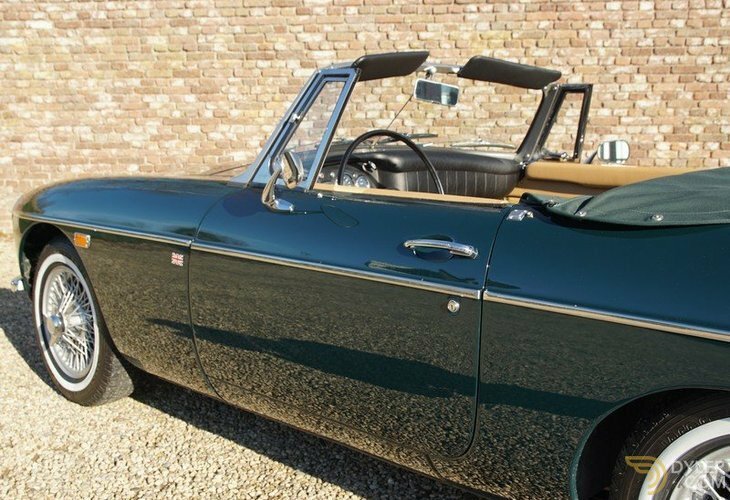 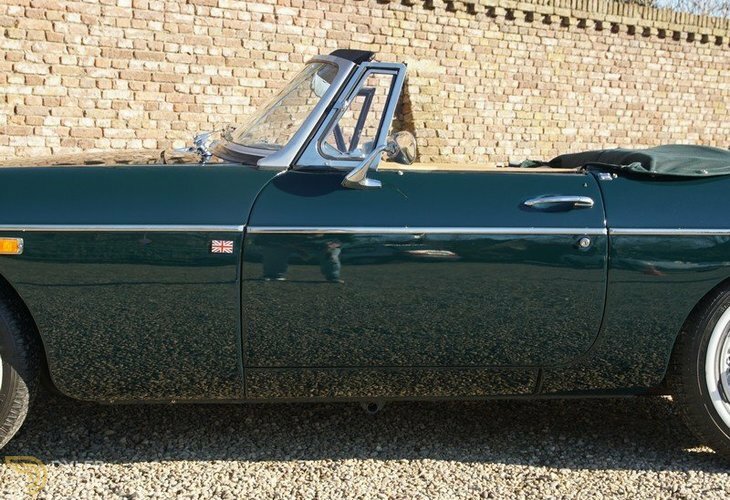 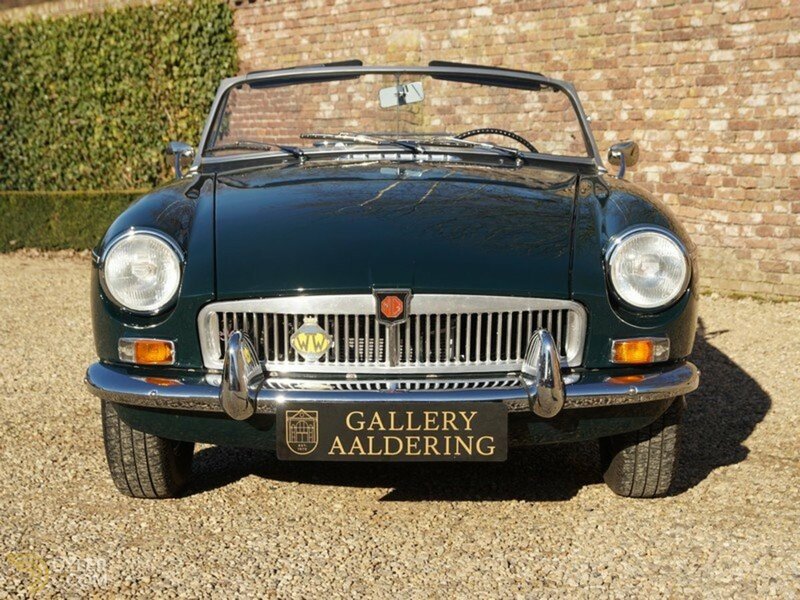 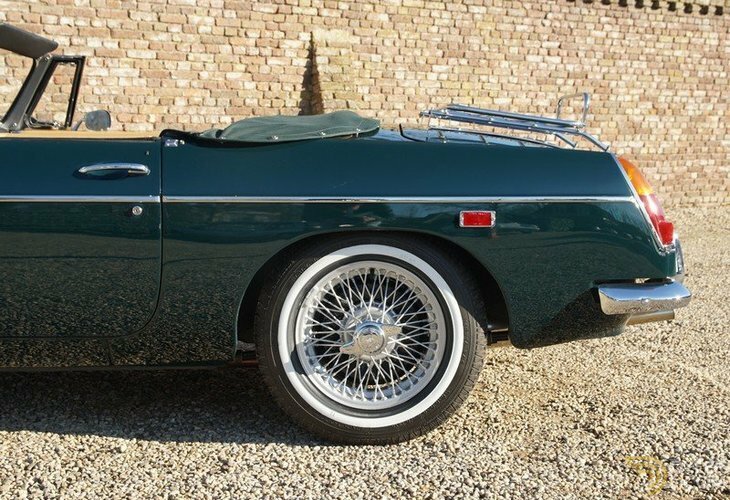 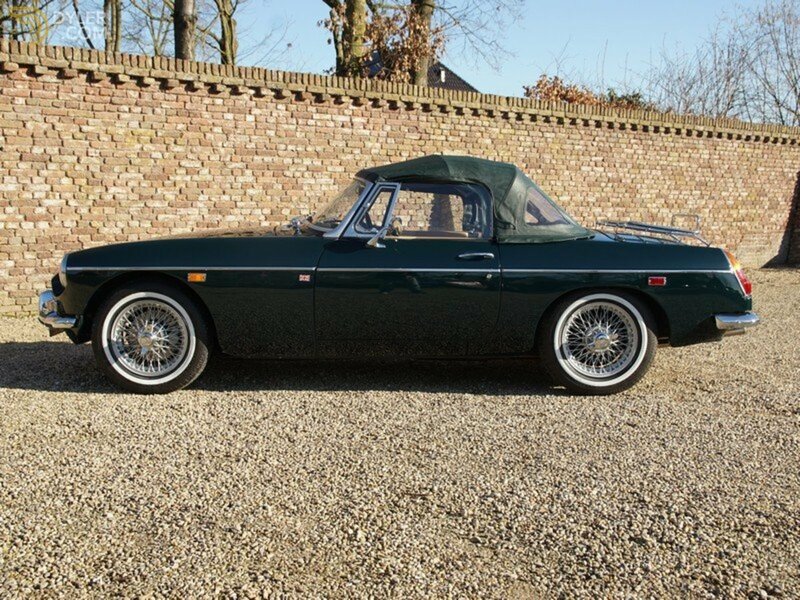 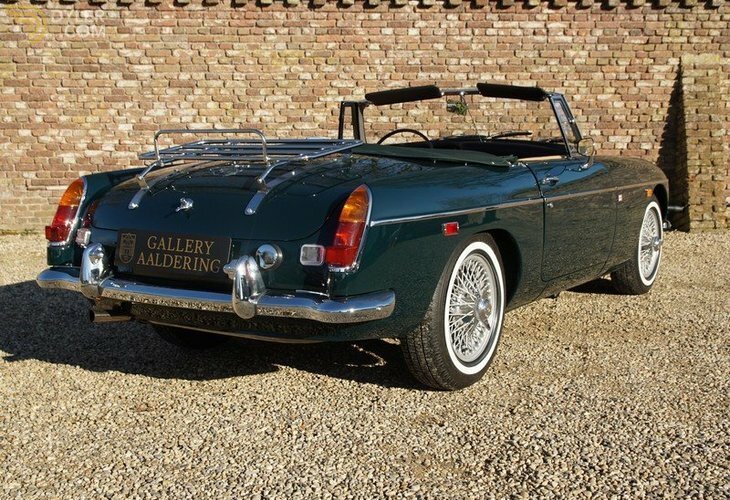 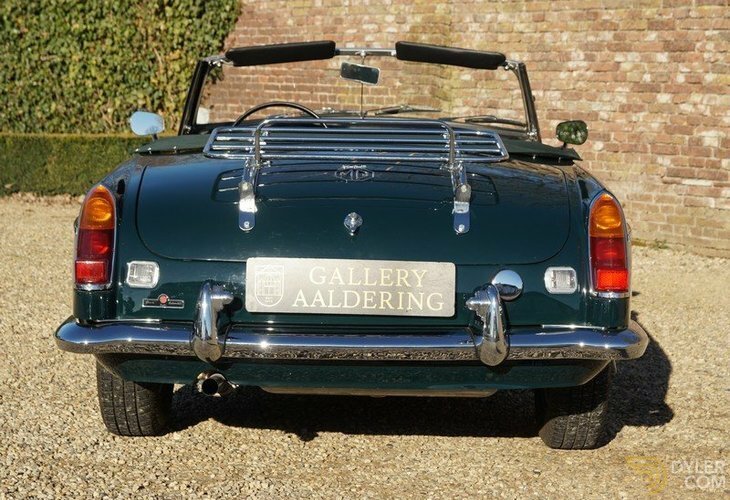 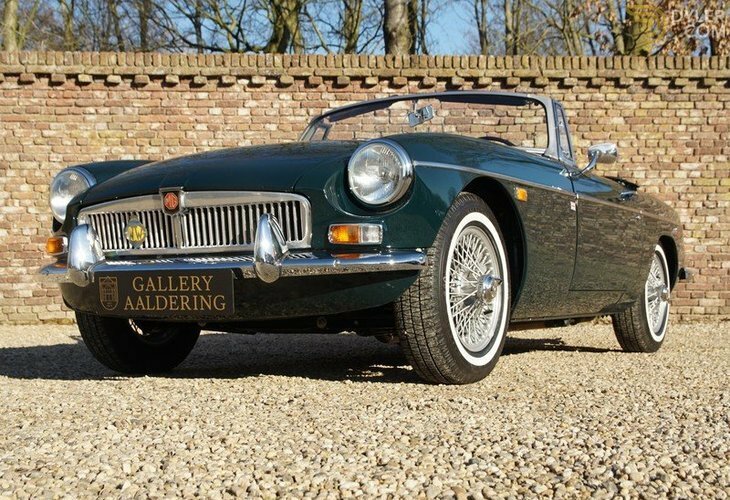 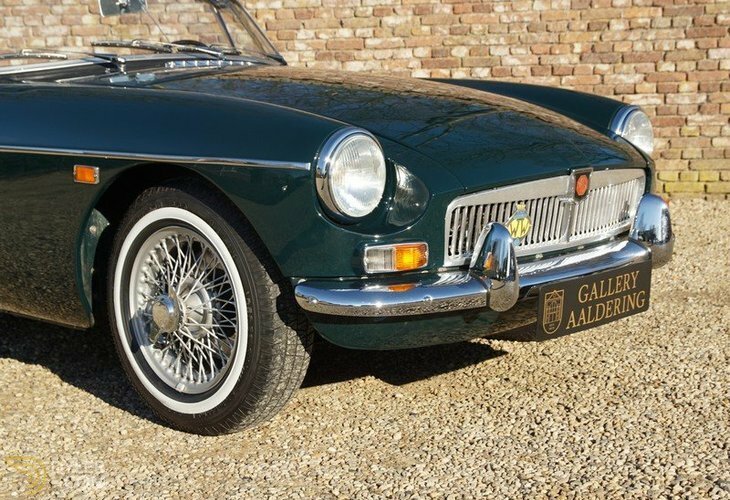 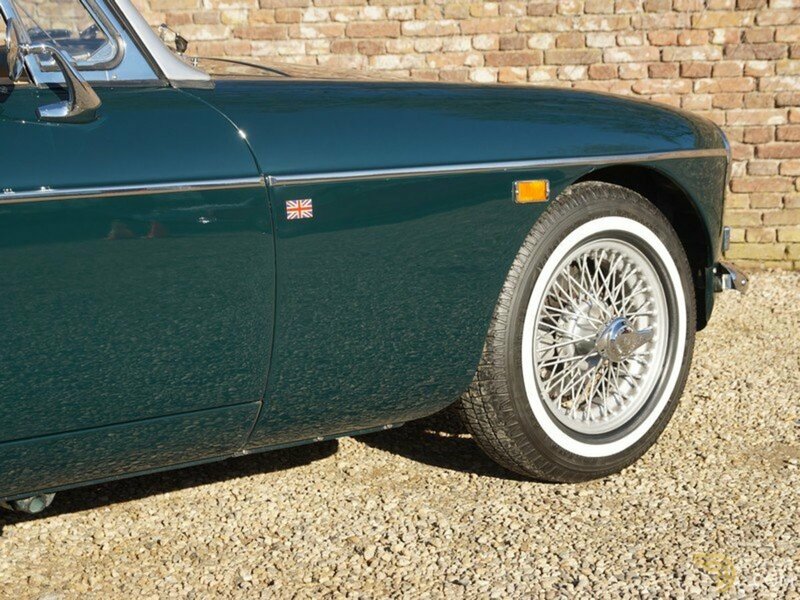 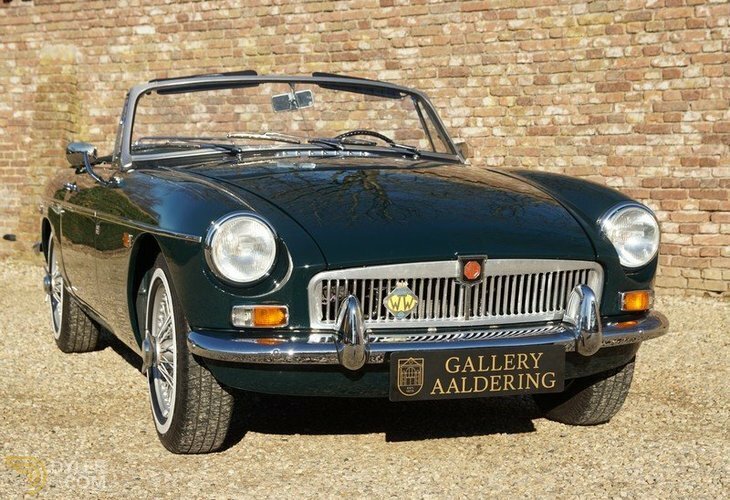 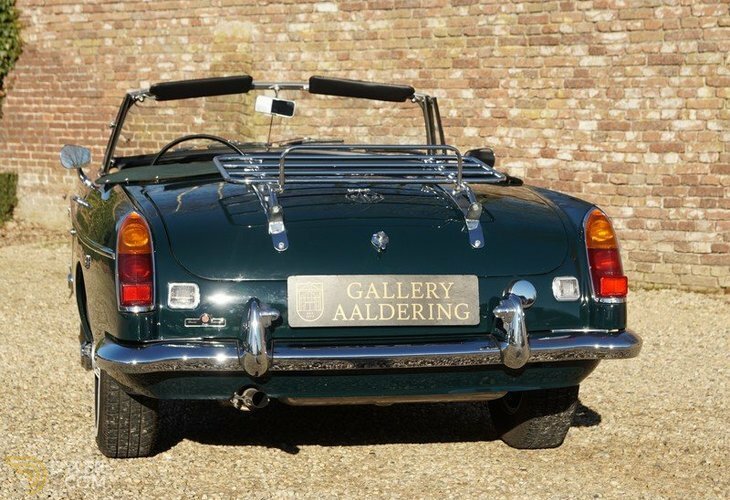 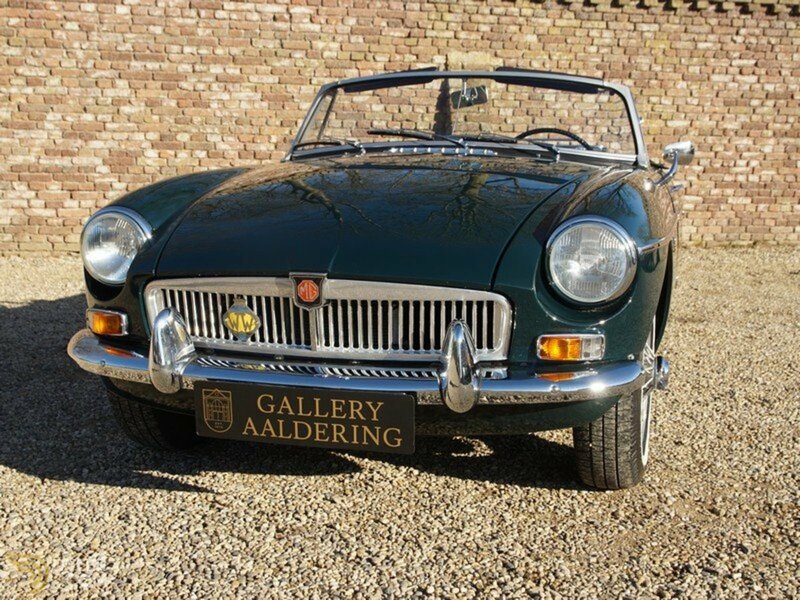 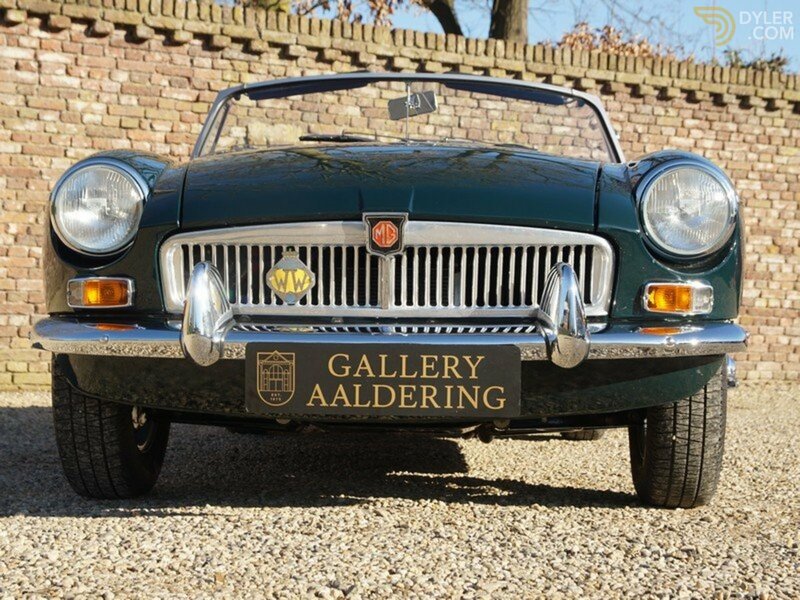 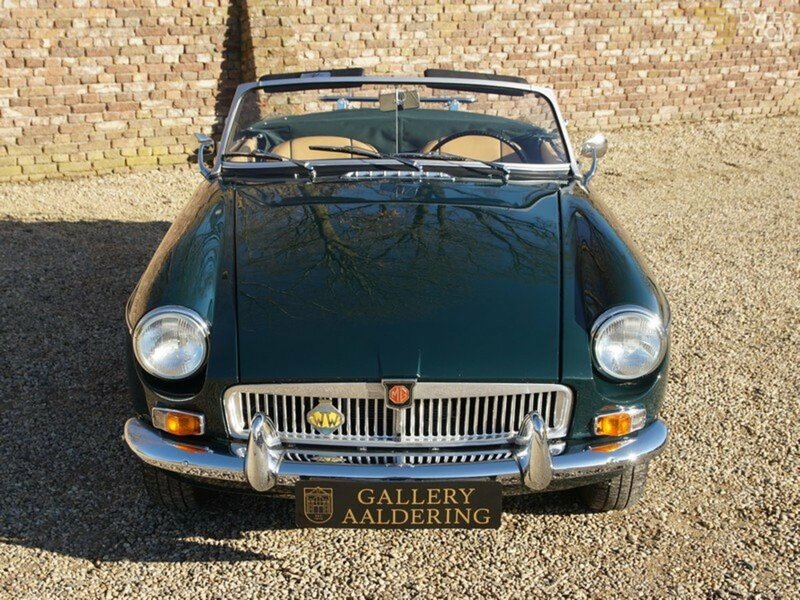 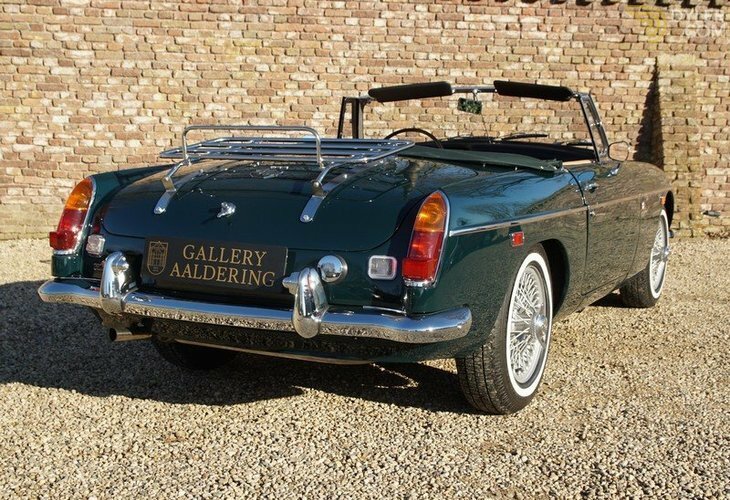 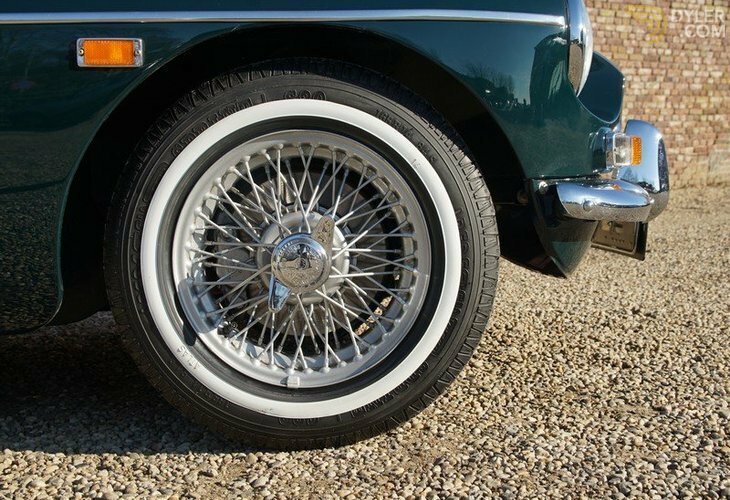 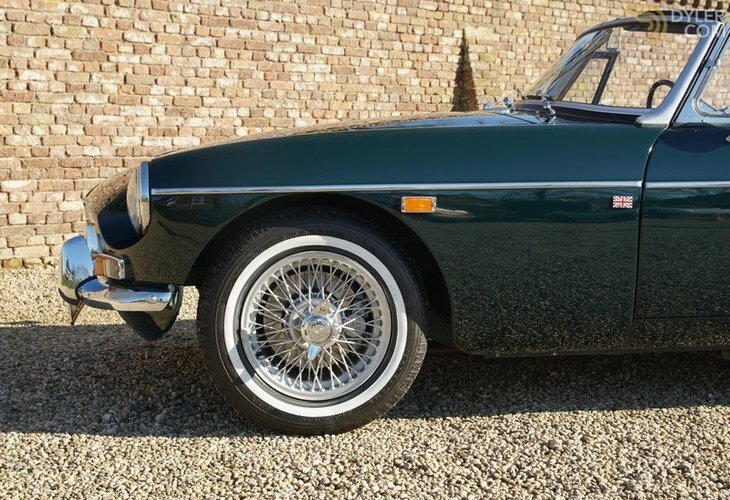 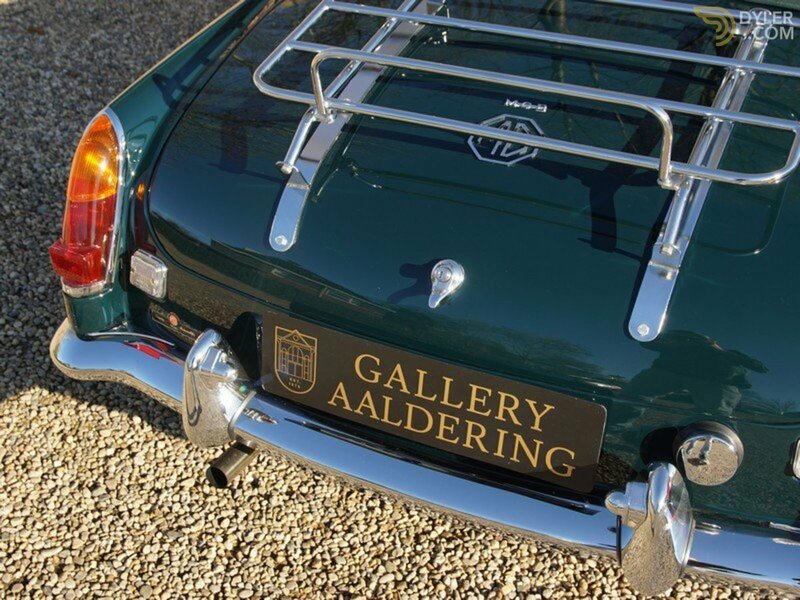 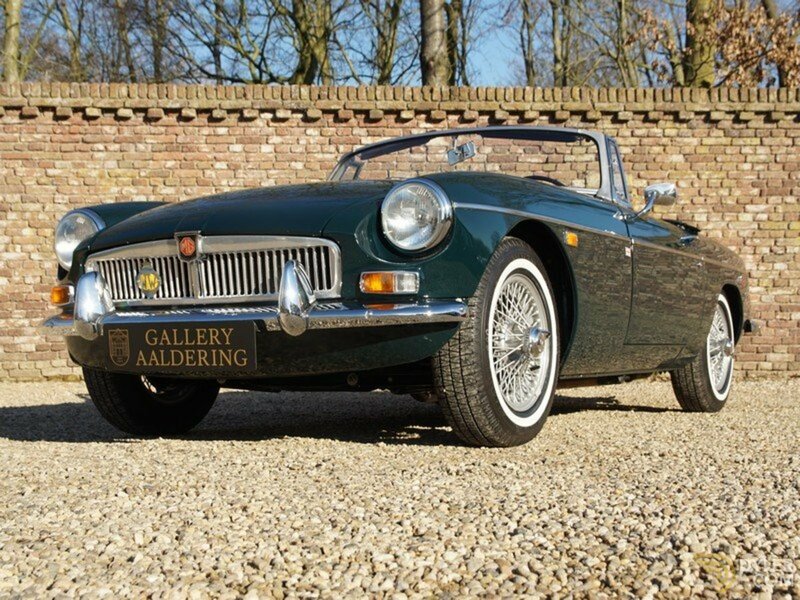 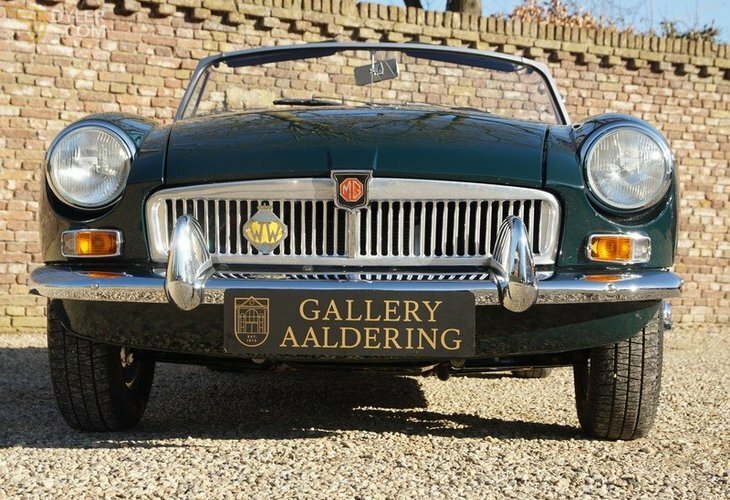 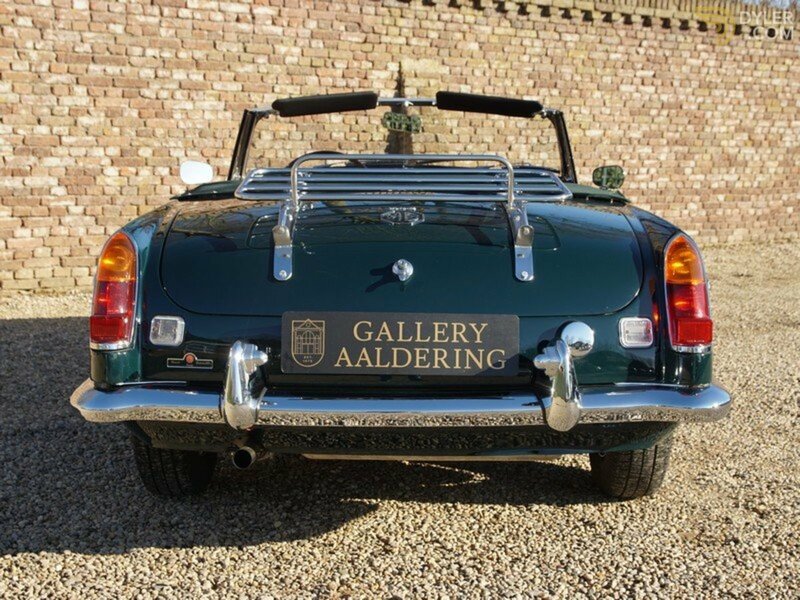 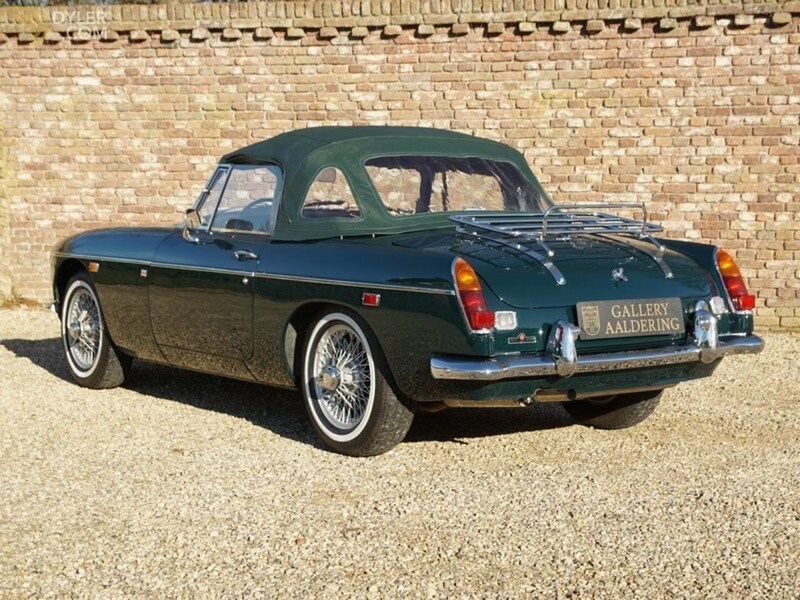 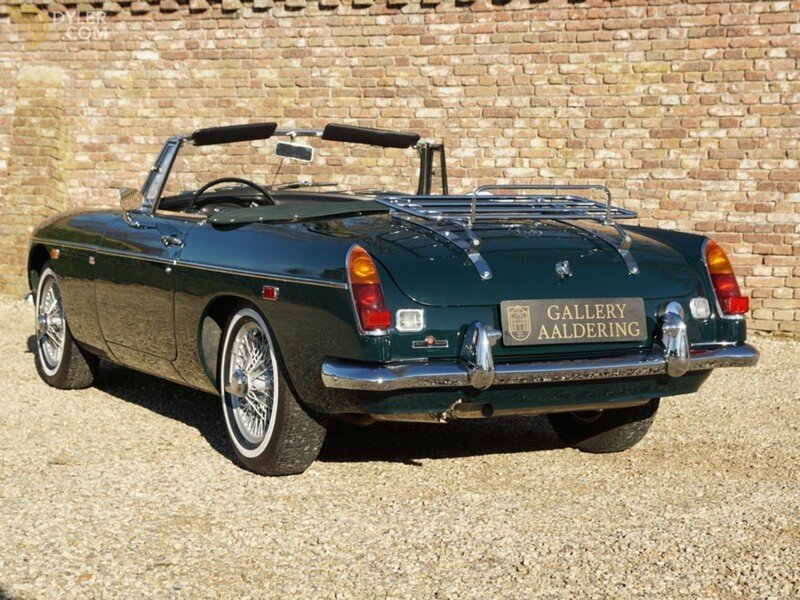 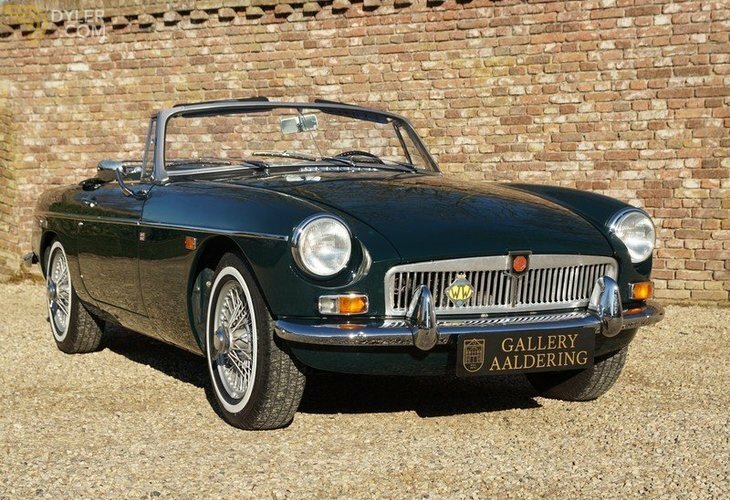 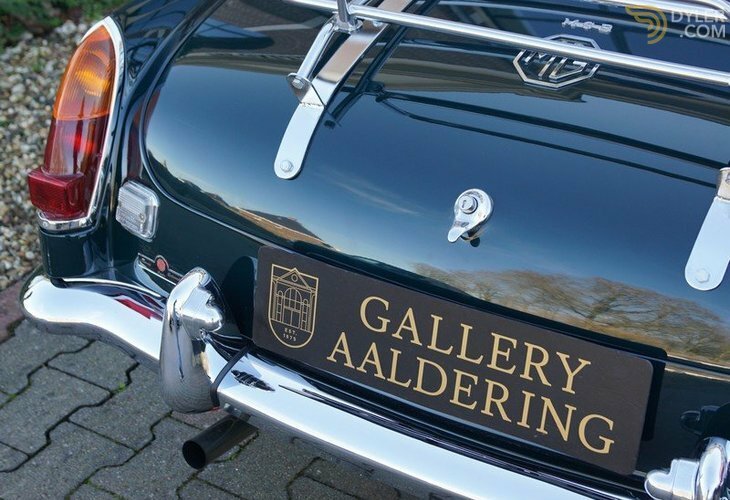 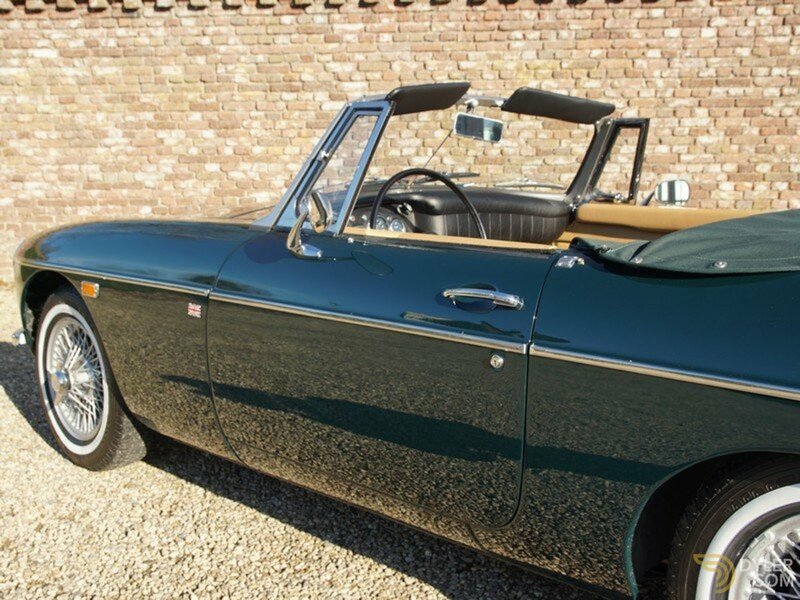 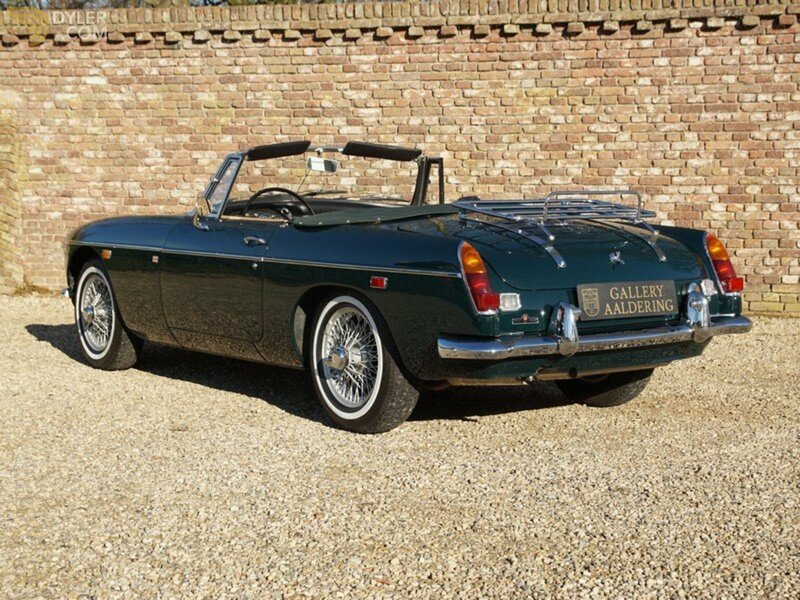 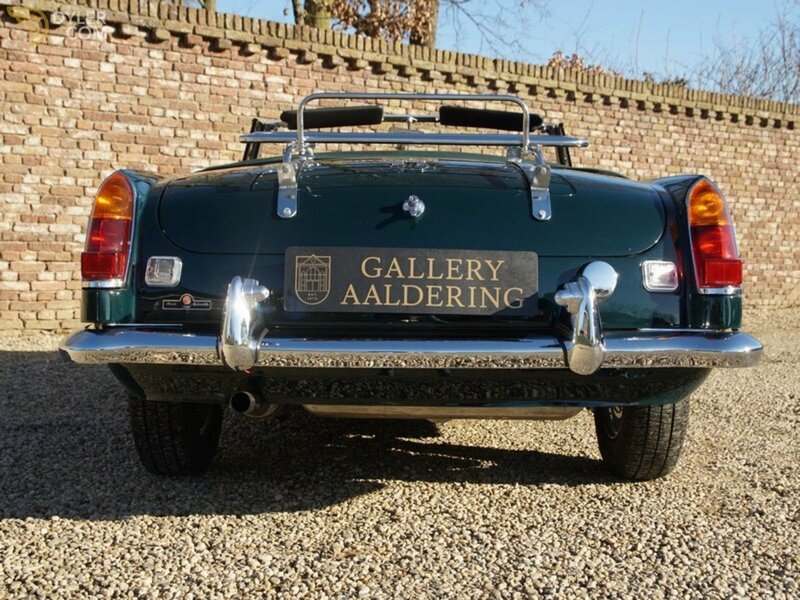 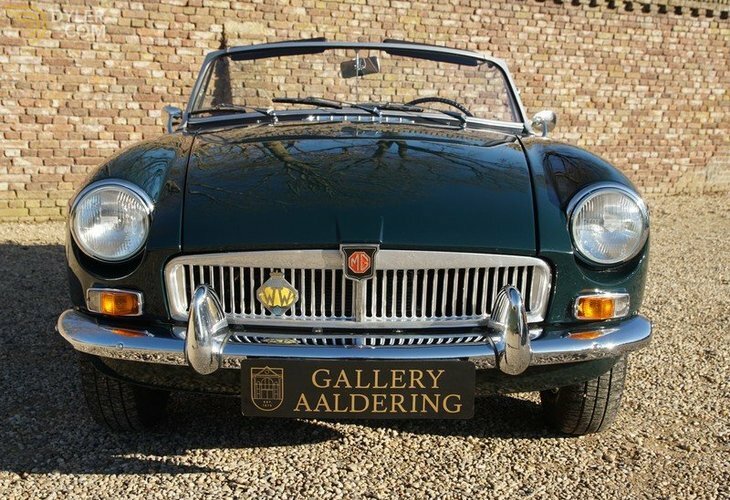 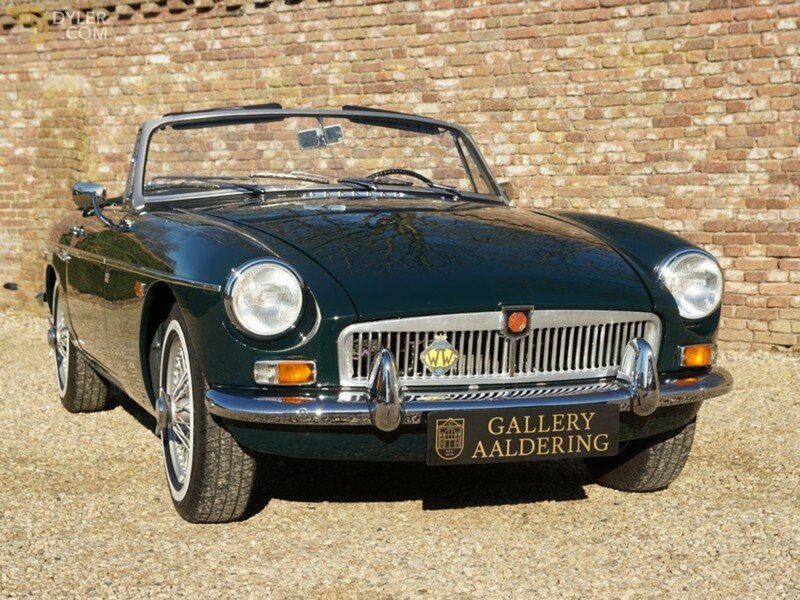 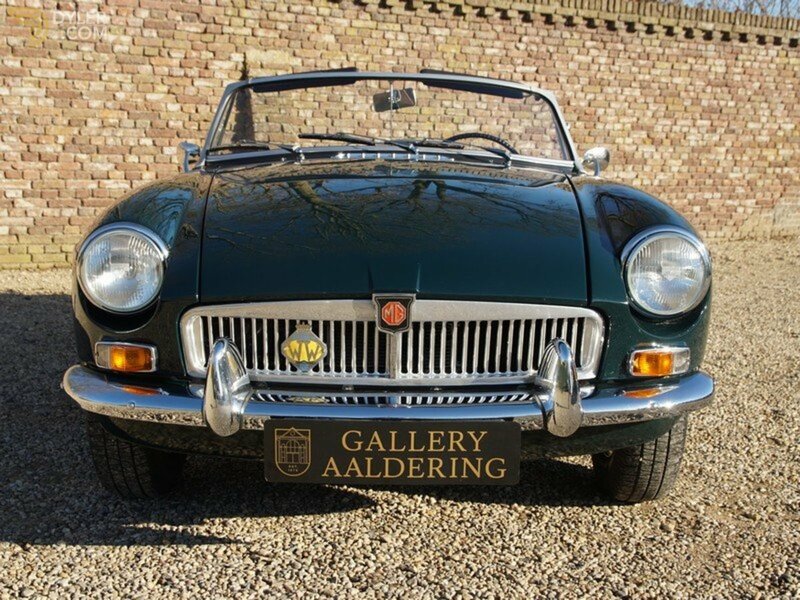 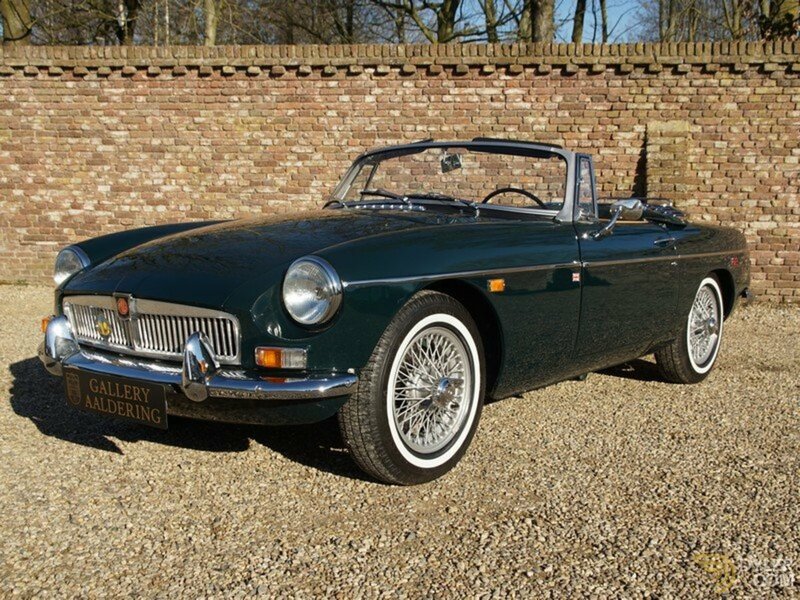 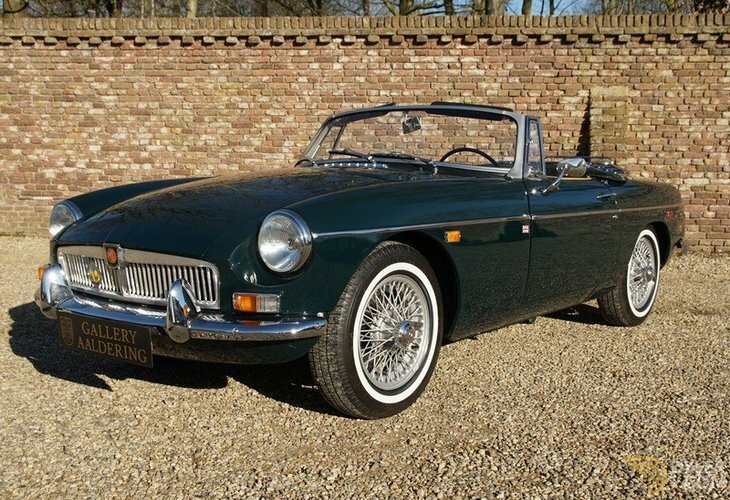 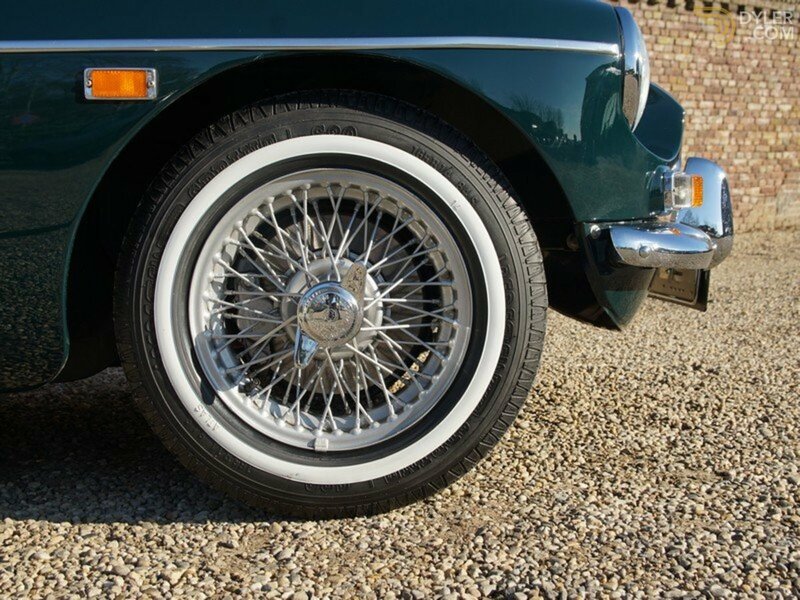 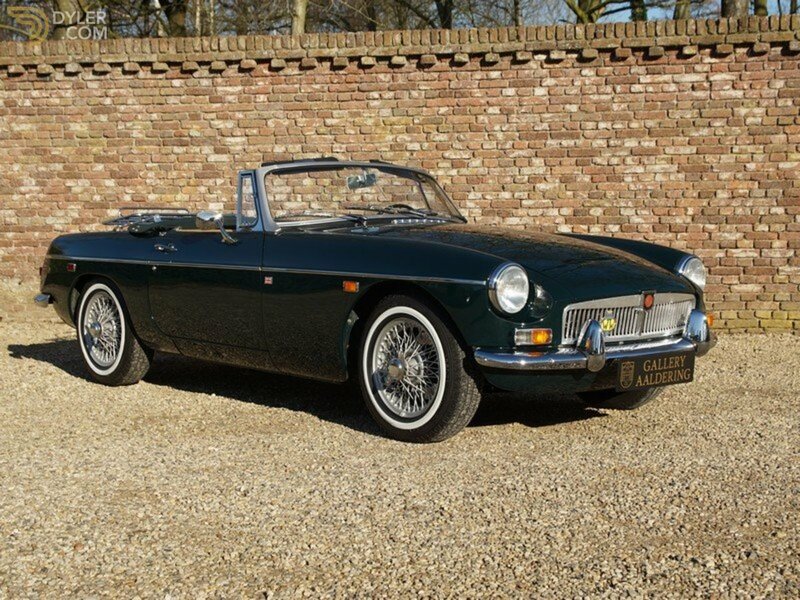 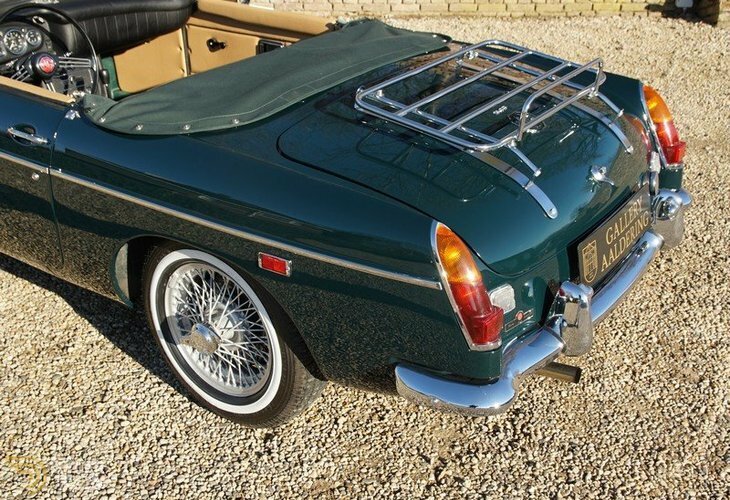 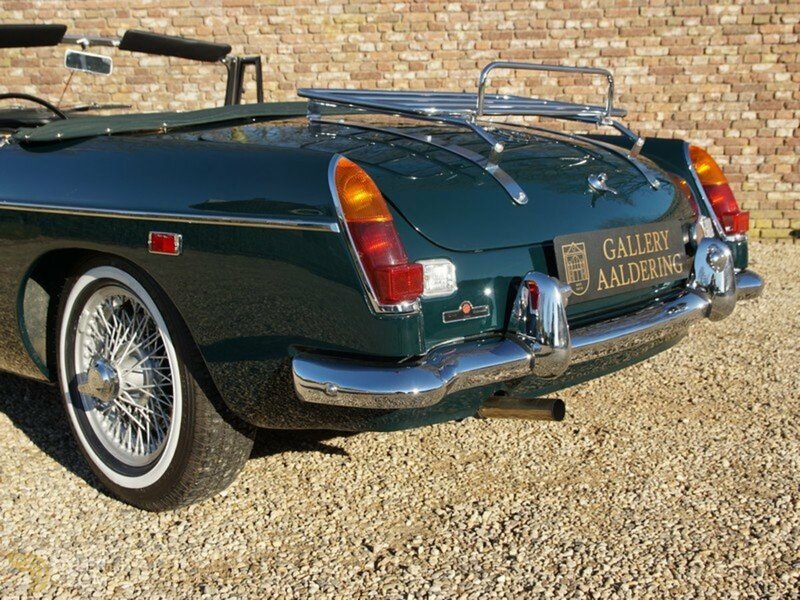 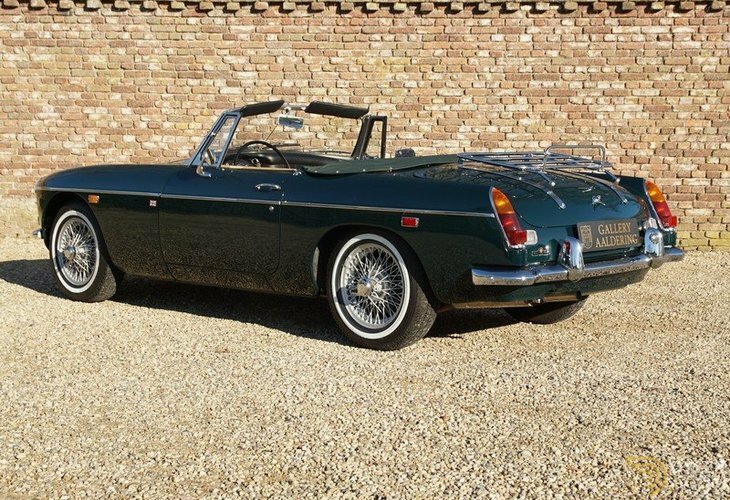 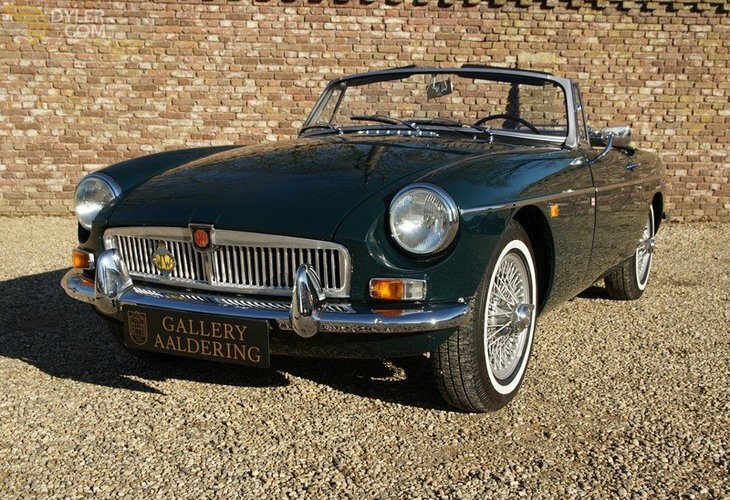 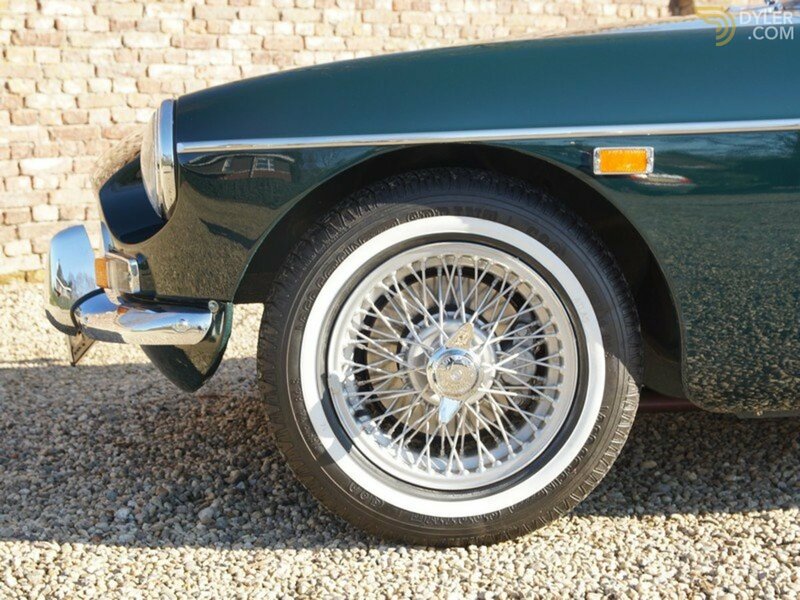 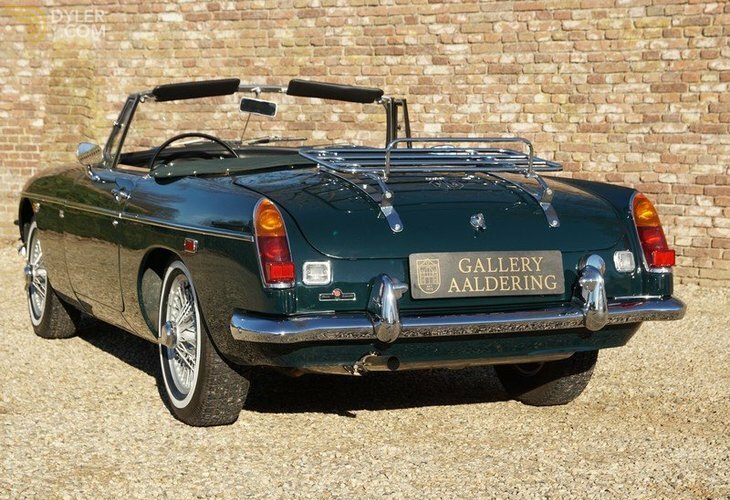 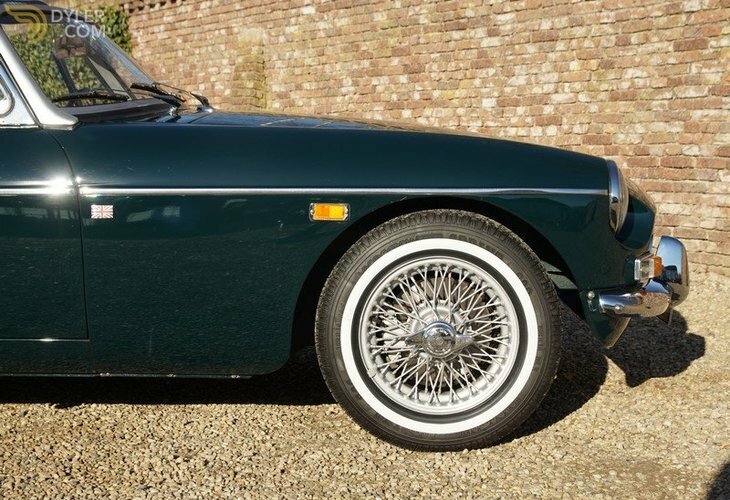 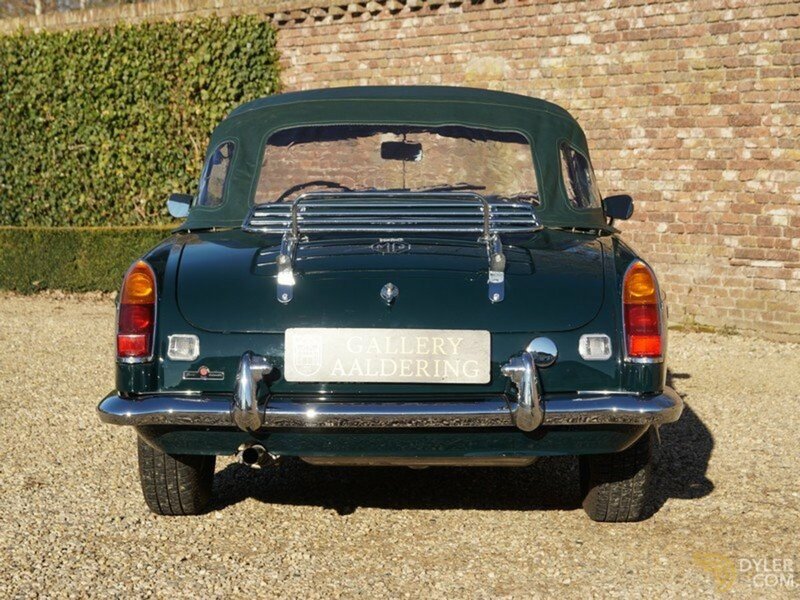 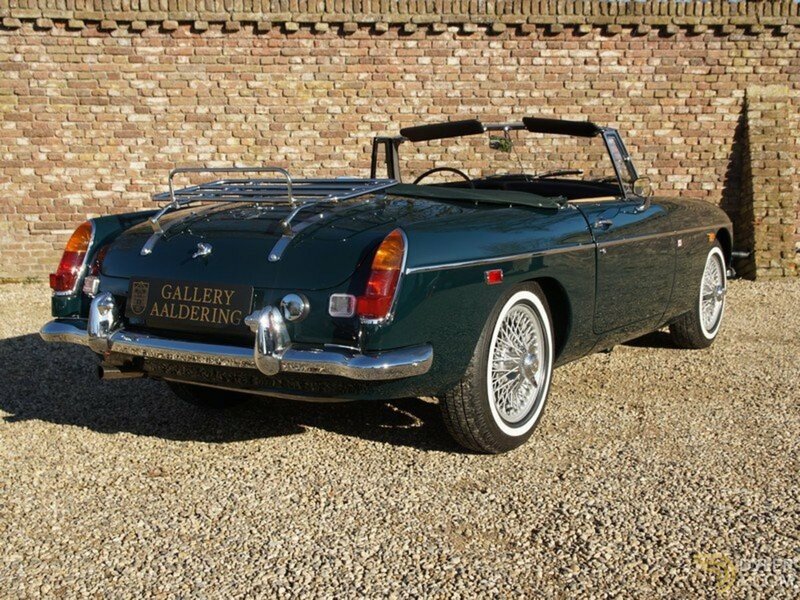 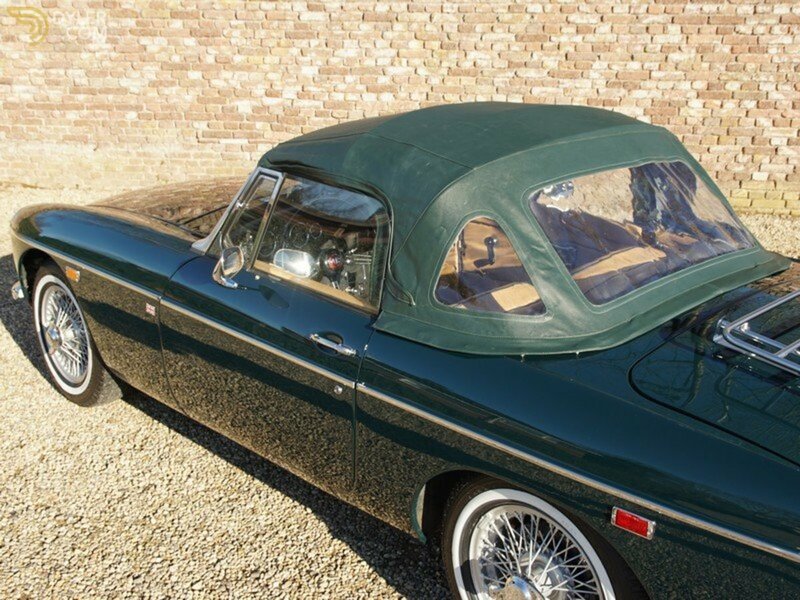 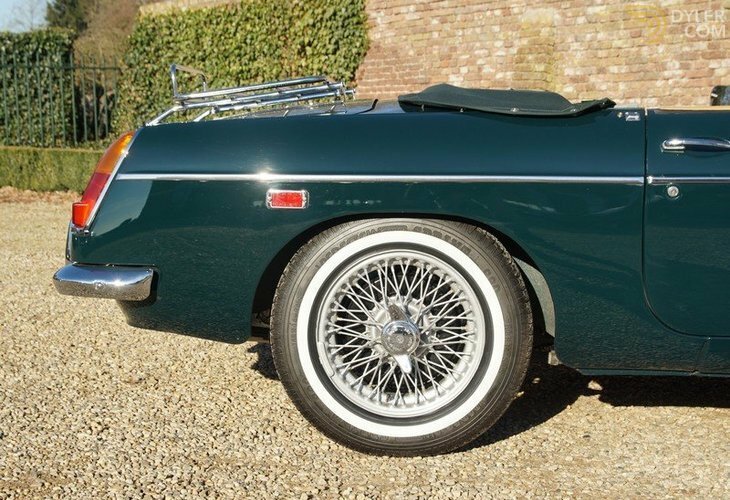 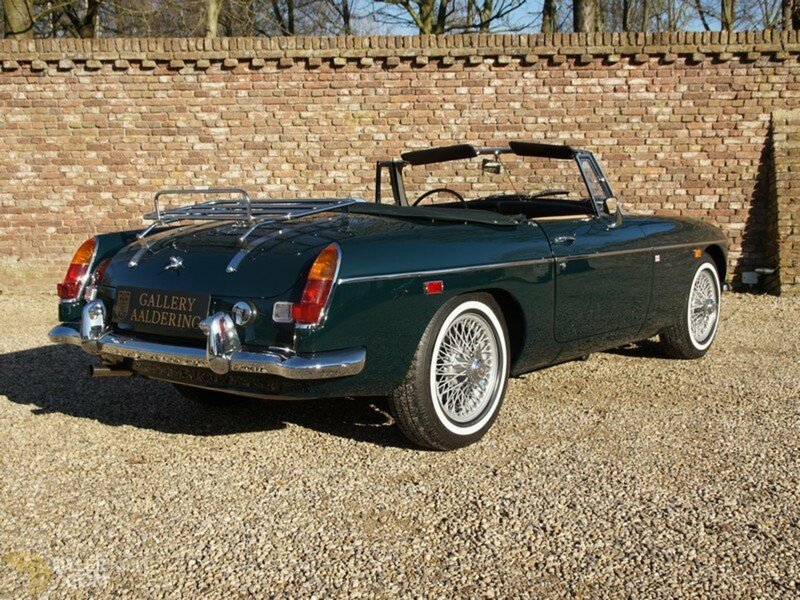 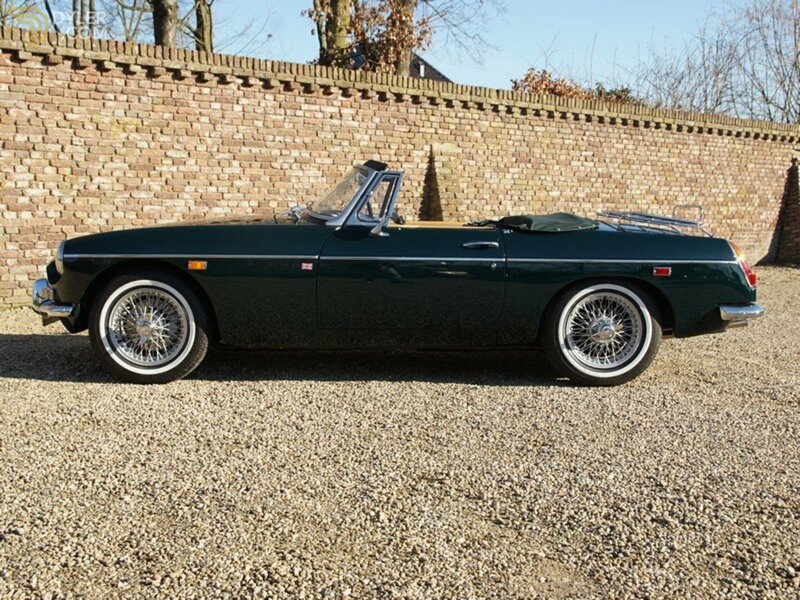 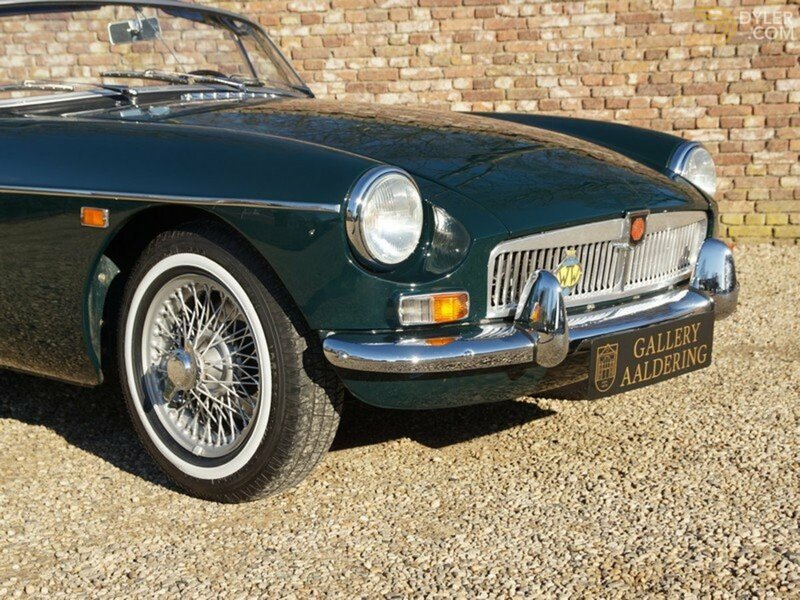 This is a very nice MGB indeed, especially with probably the most desirable finish available. 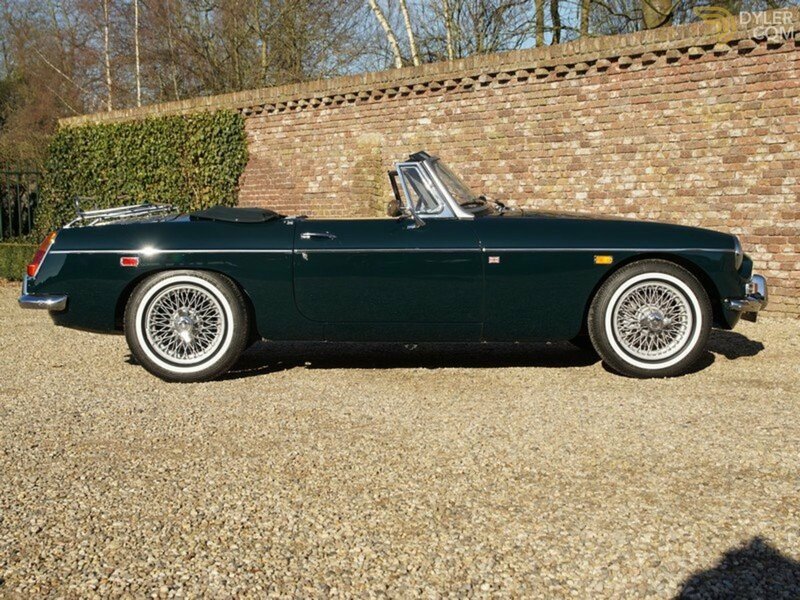 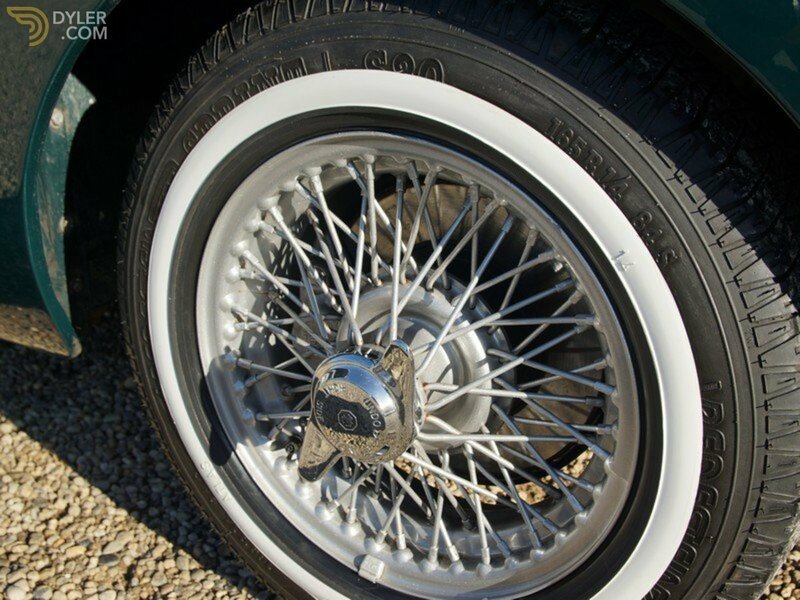 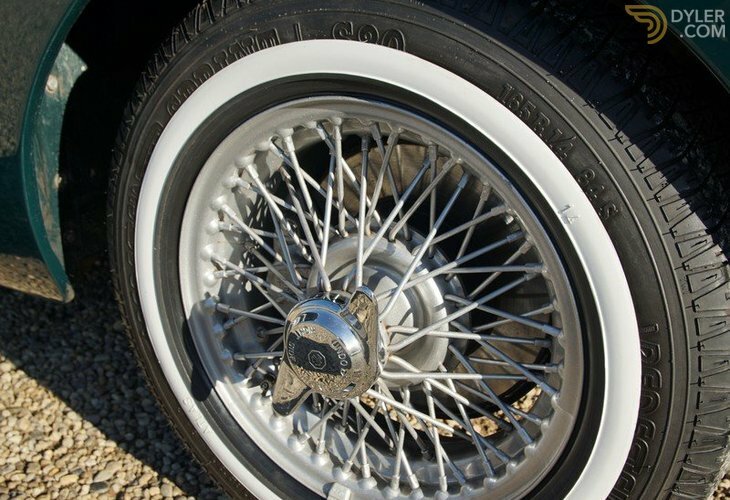 This car just simply screams ‘I’m British’!